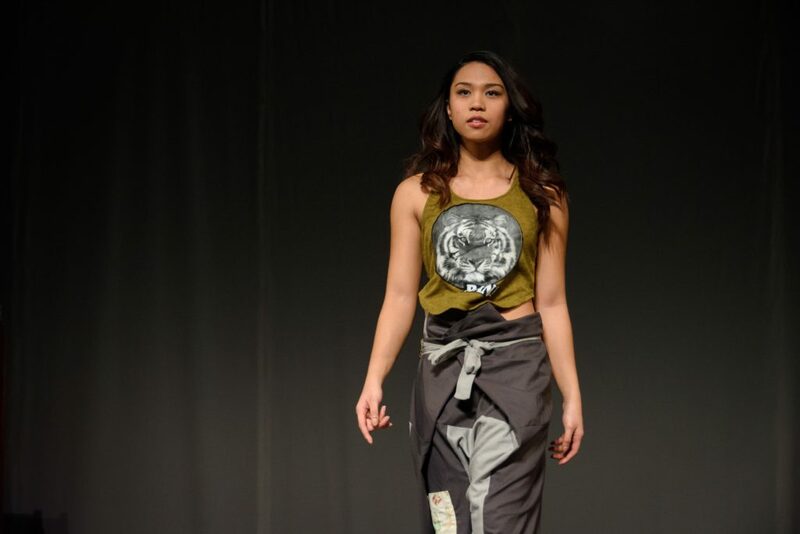 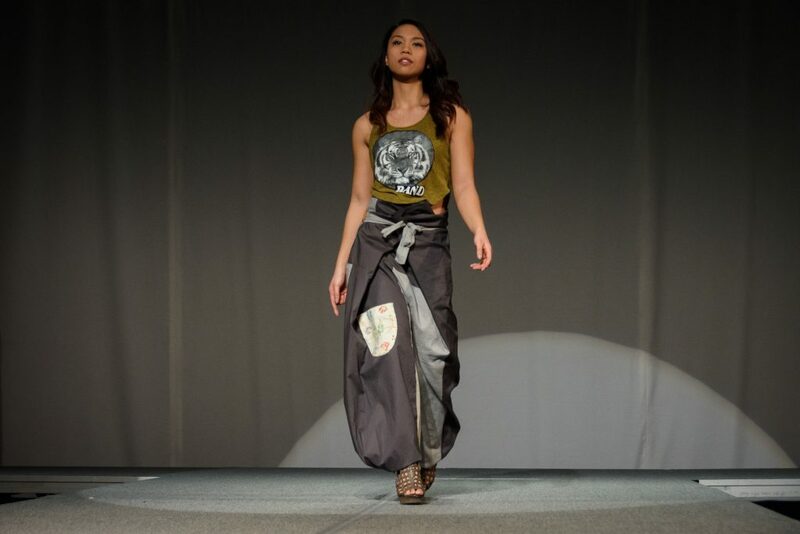 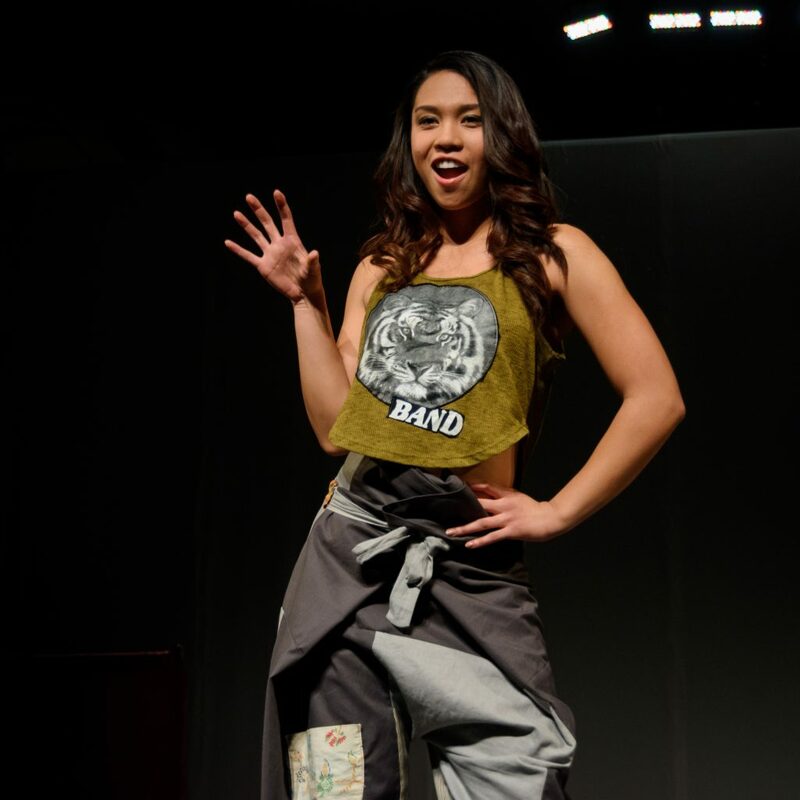 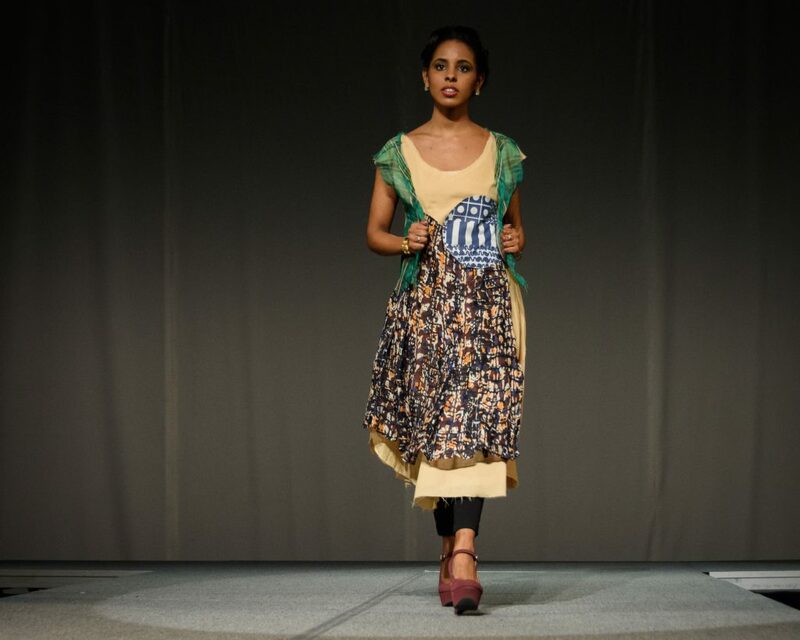 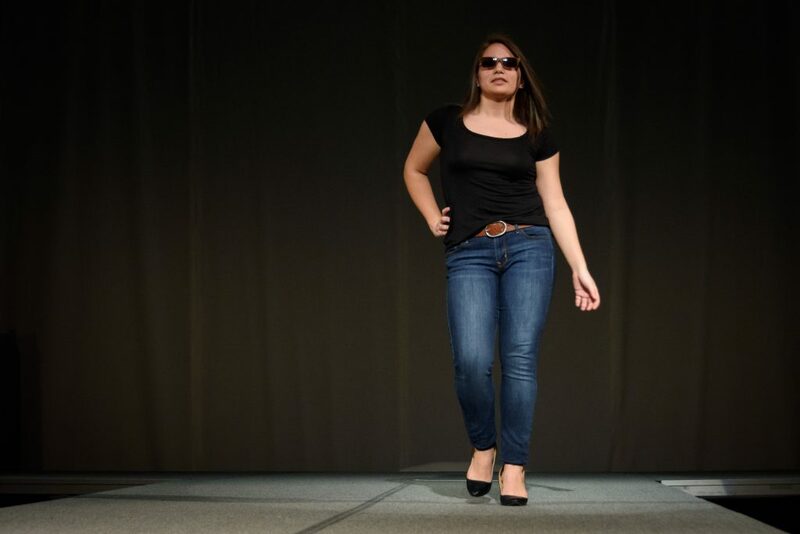 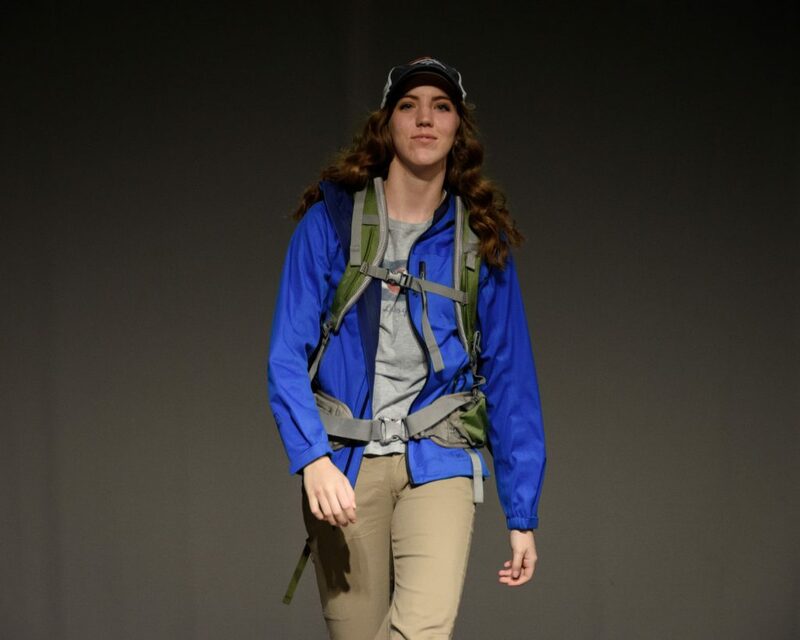 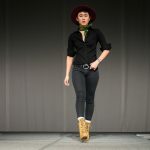 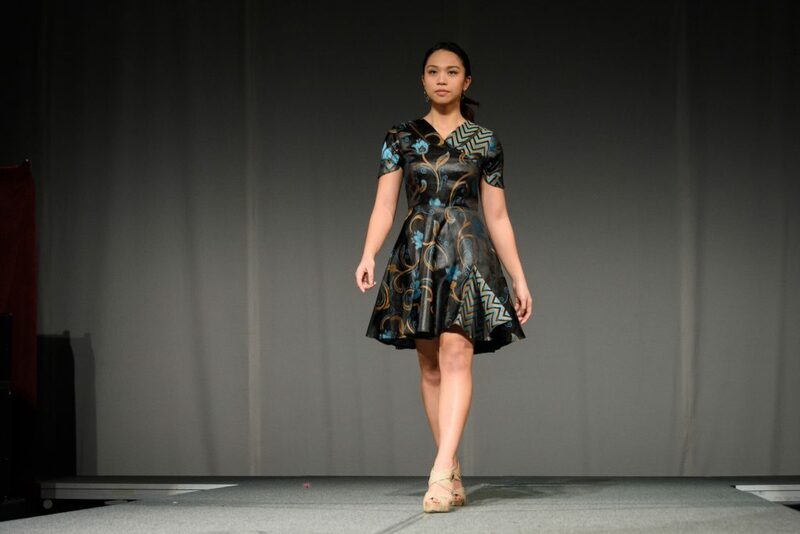 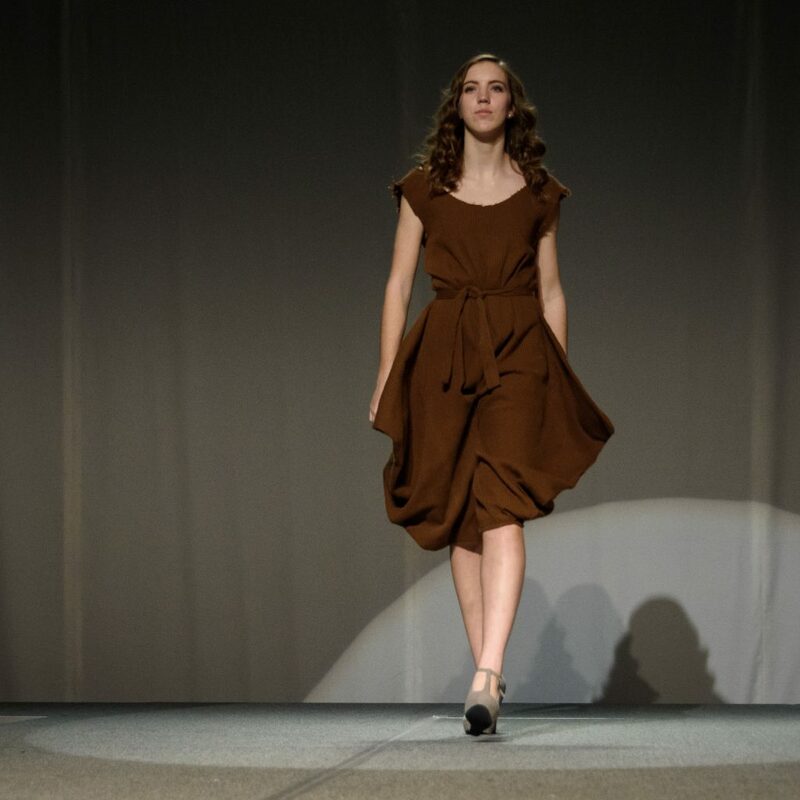 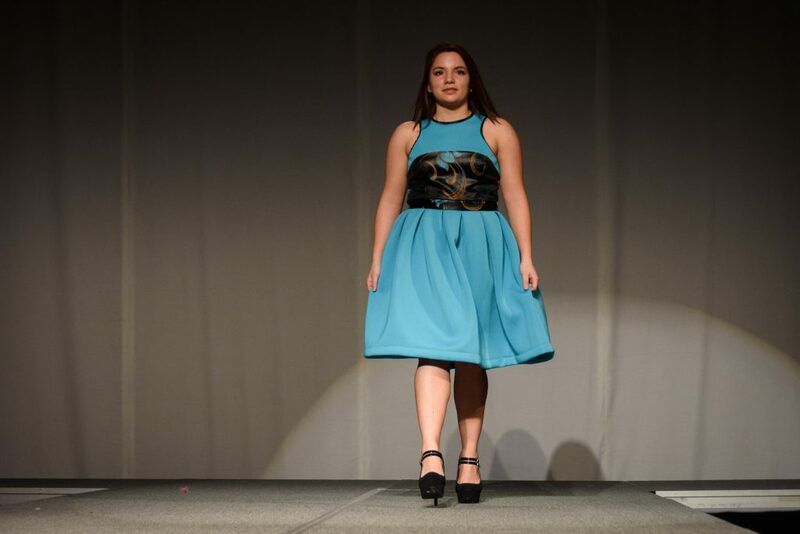 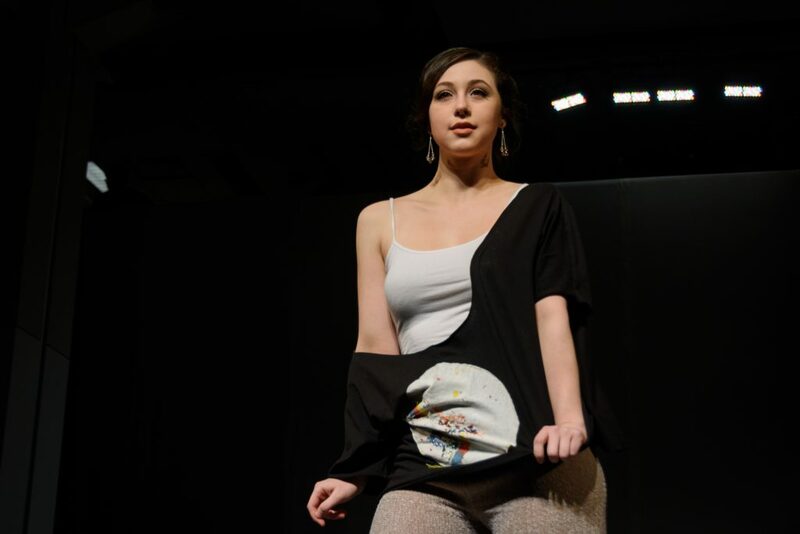 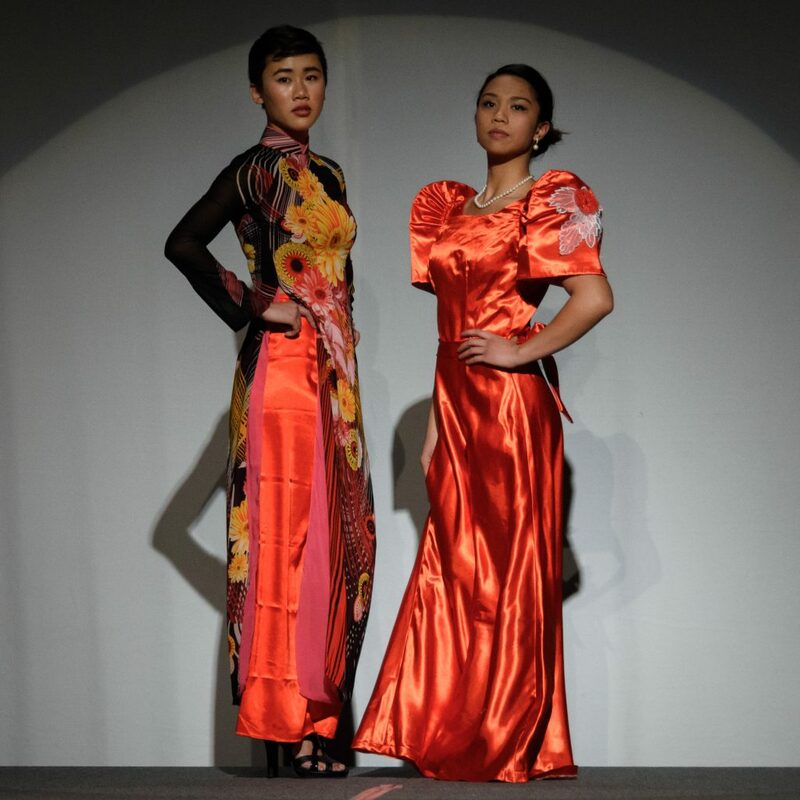 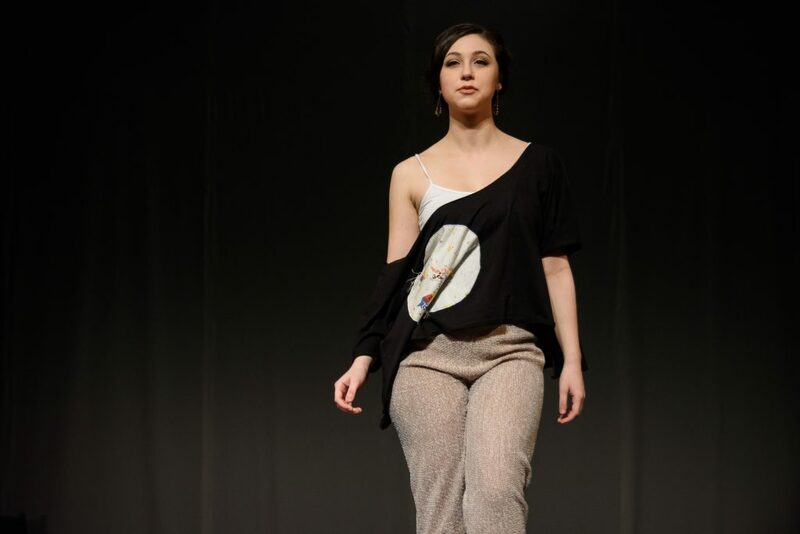 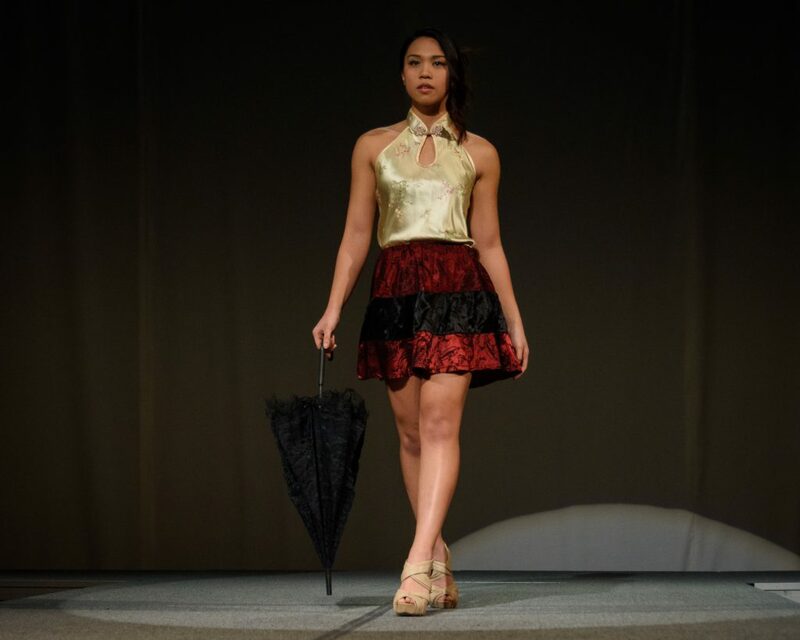 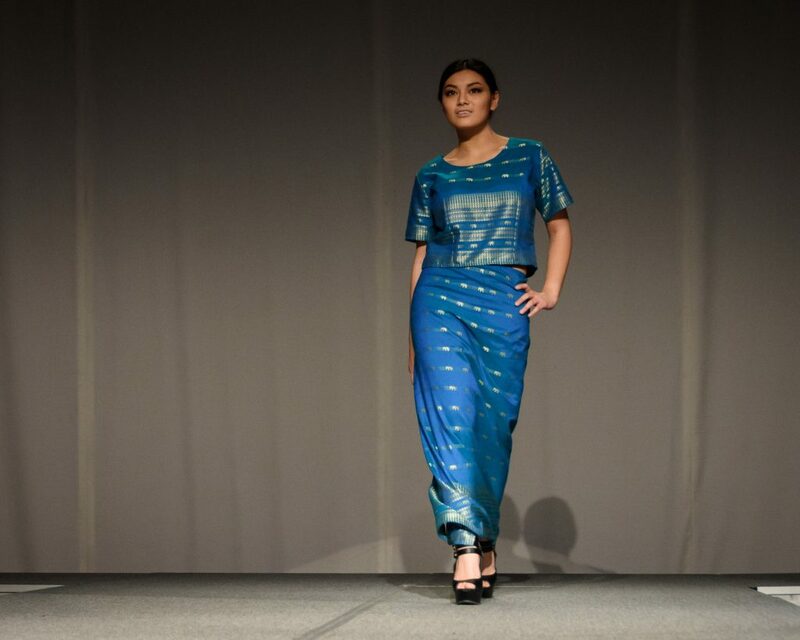 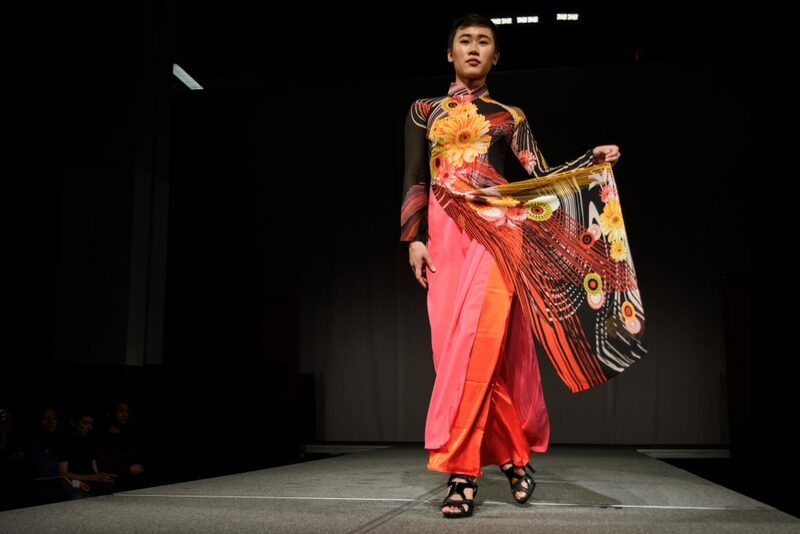 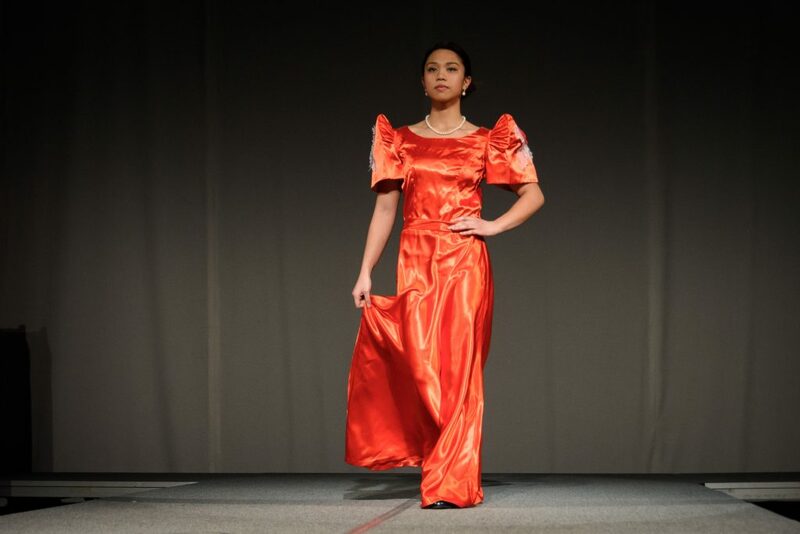 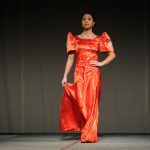 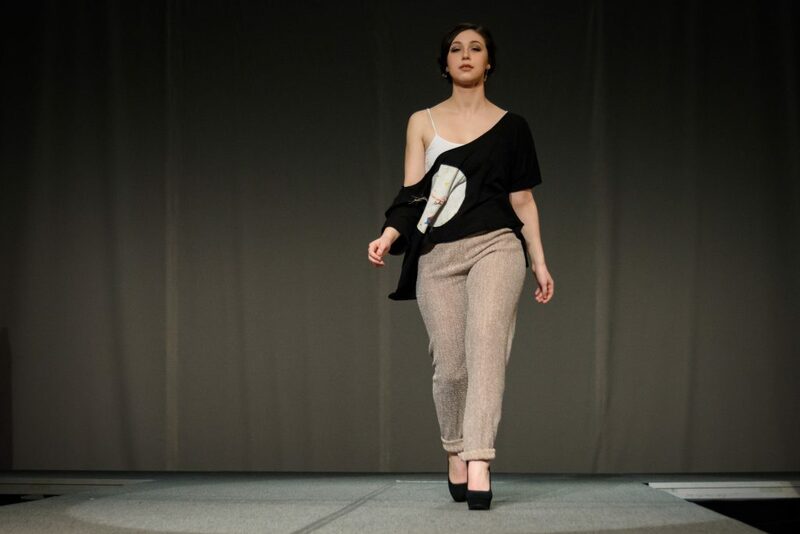 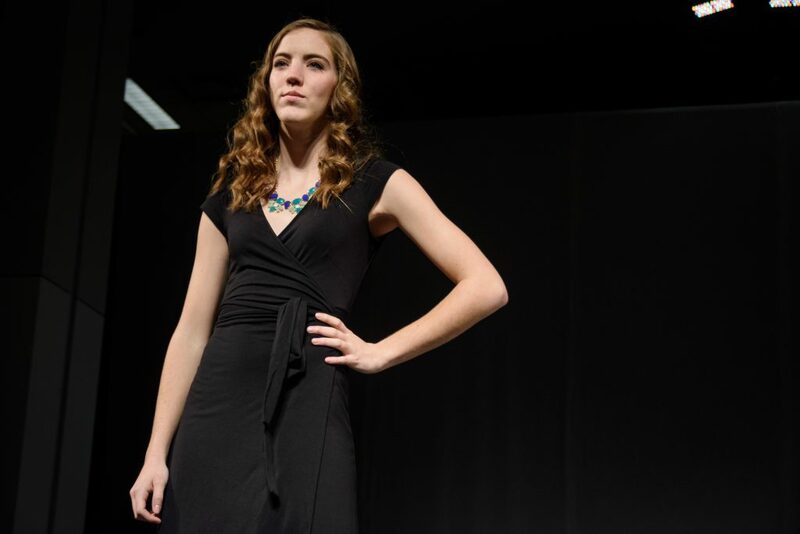 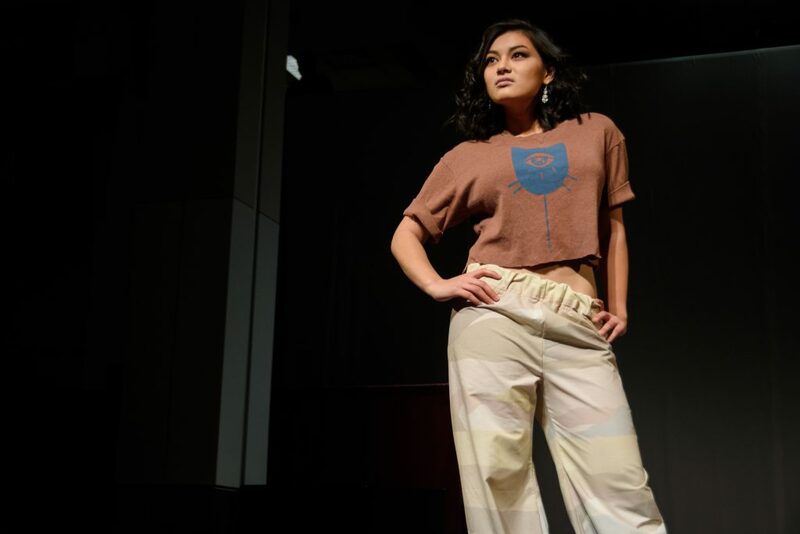 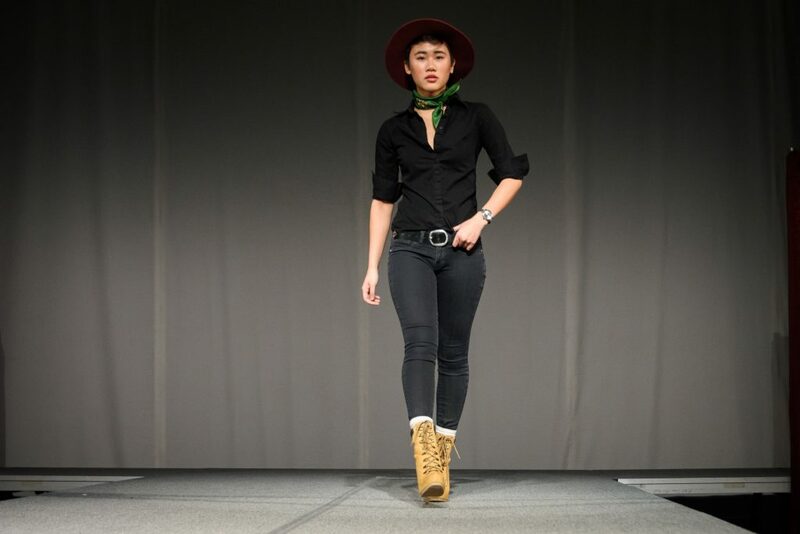 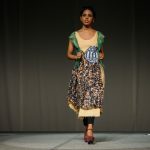 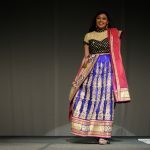 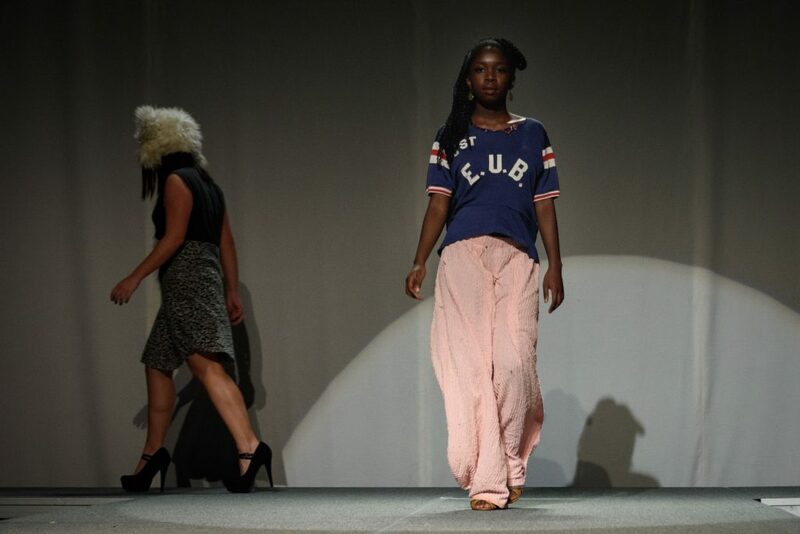 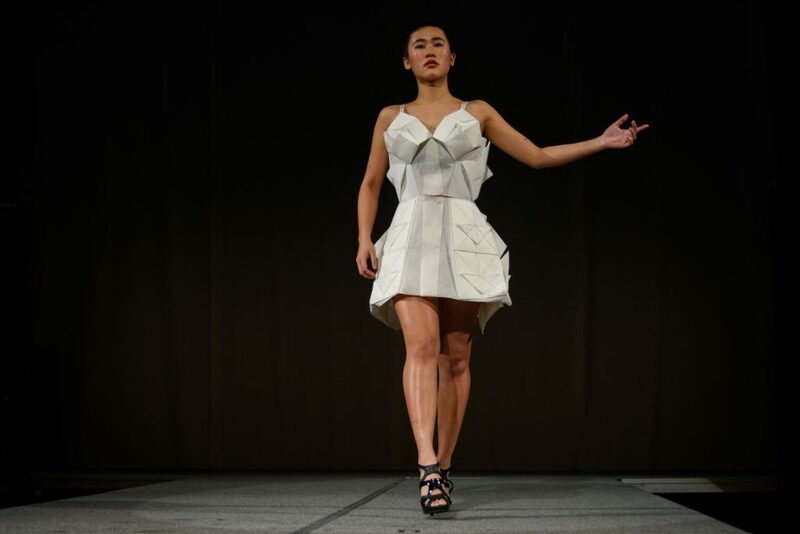 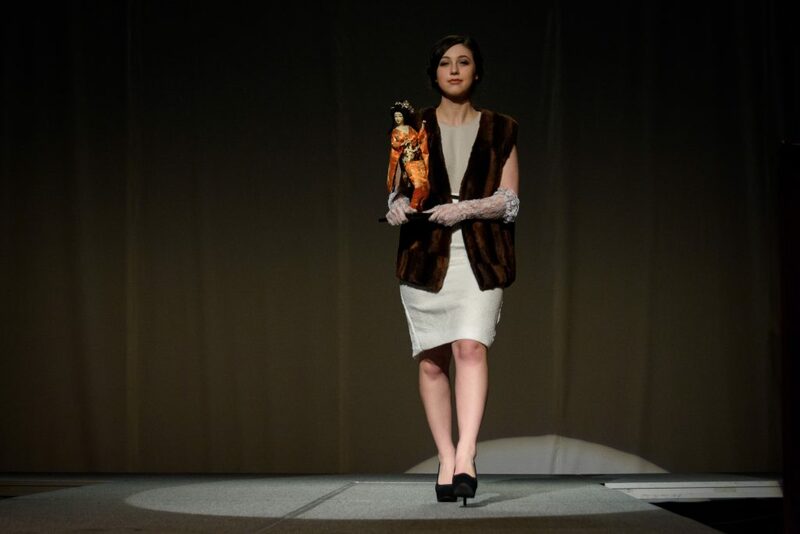 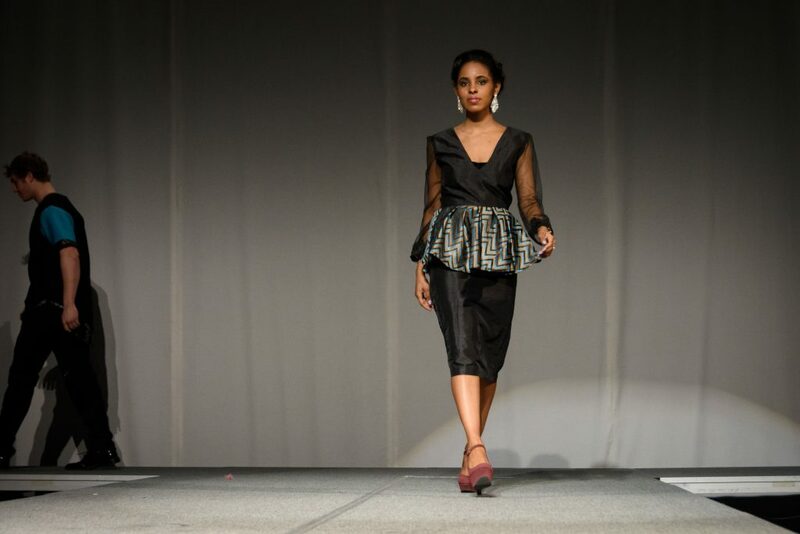 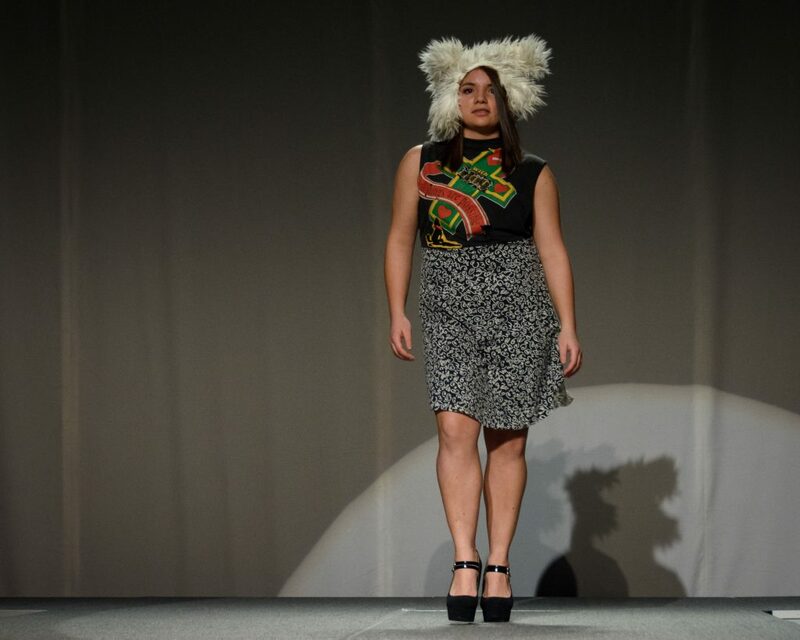 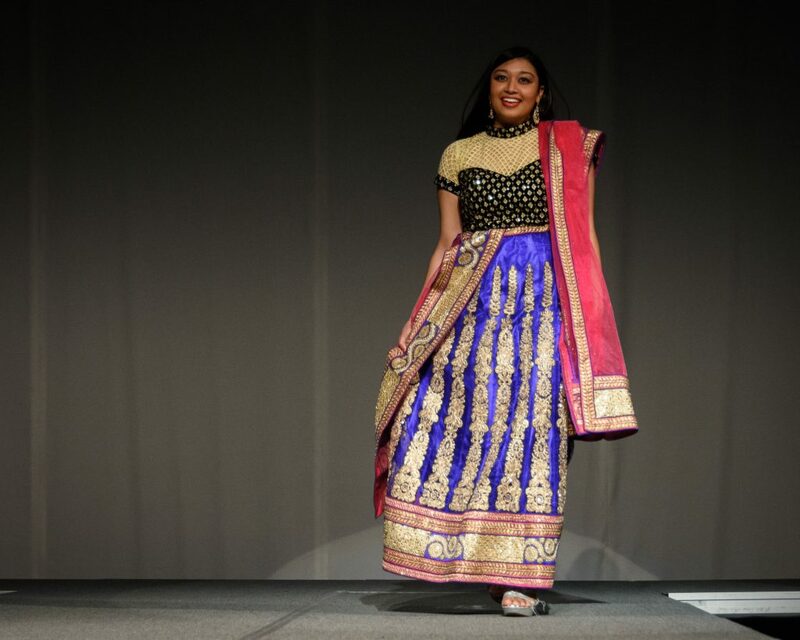 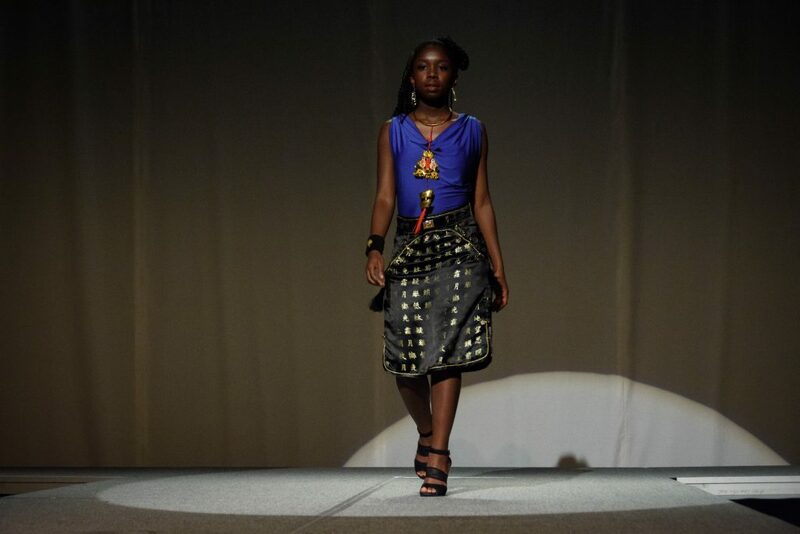 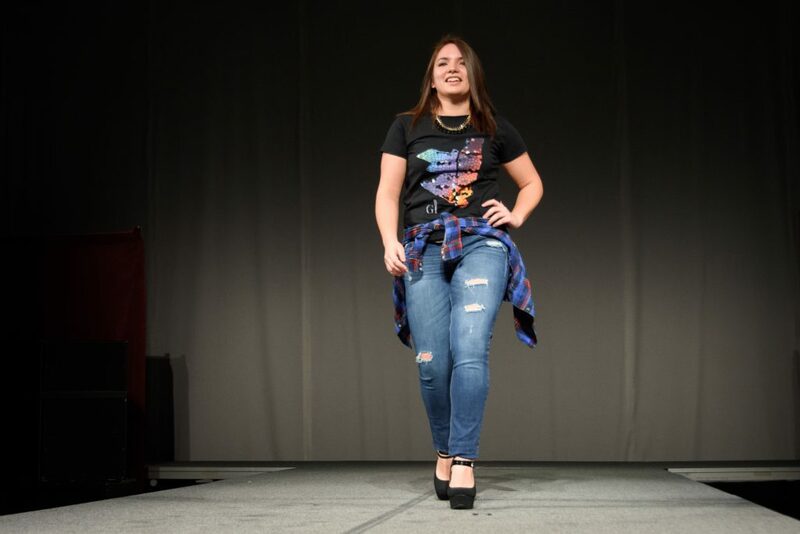 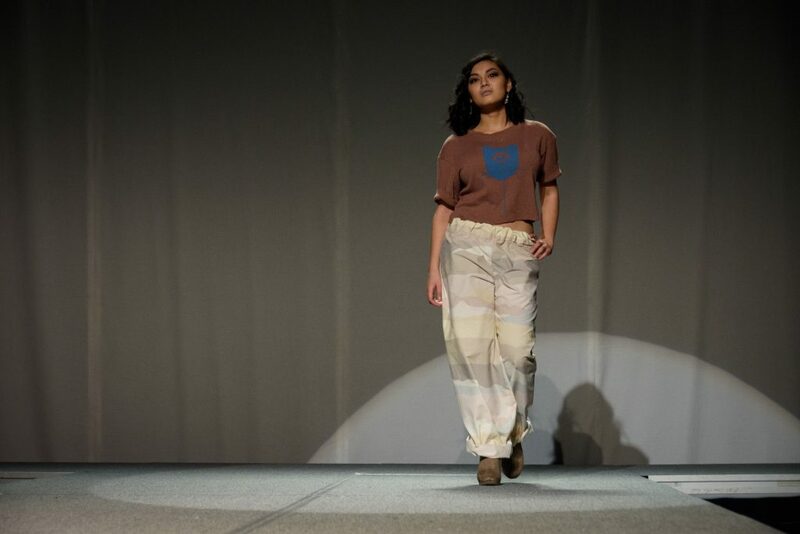 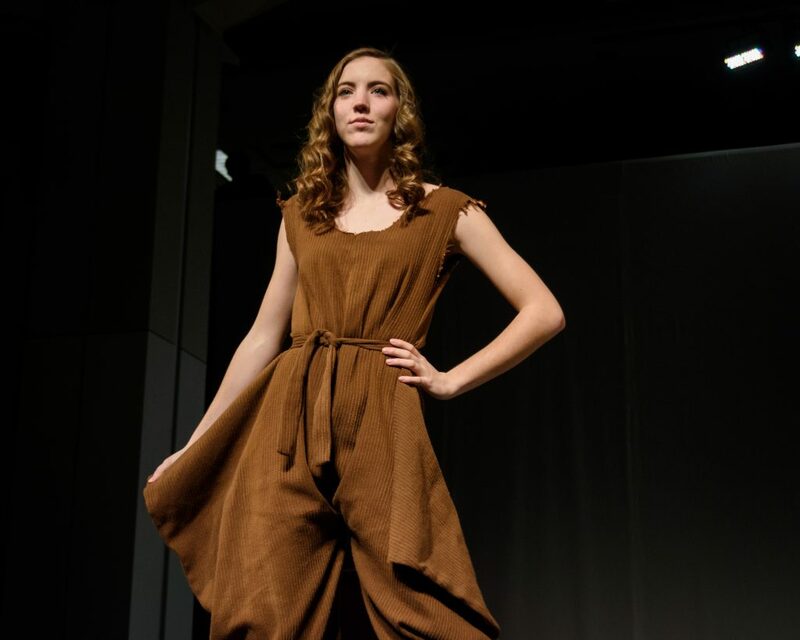 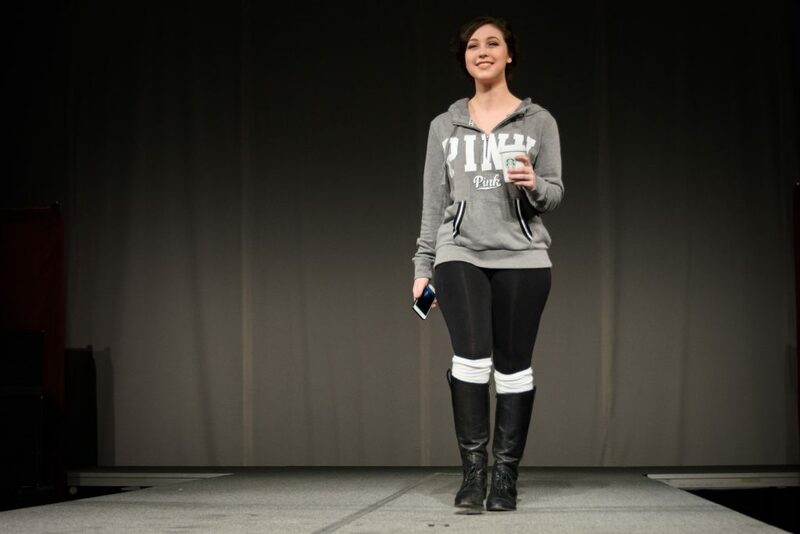 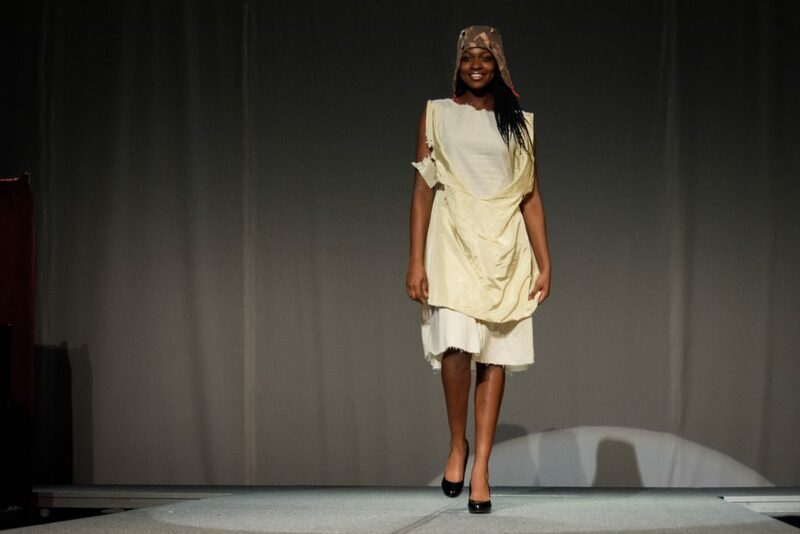 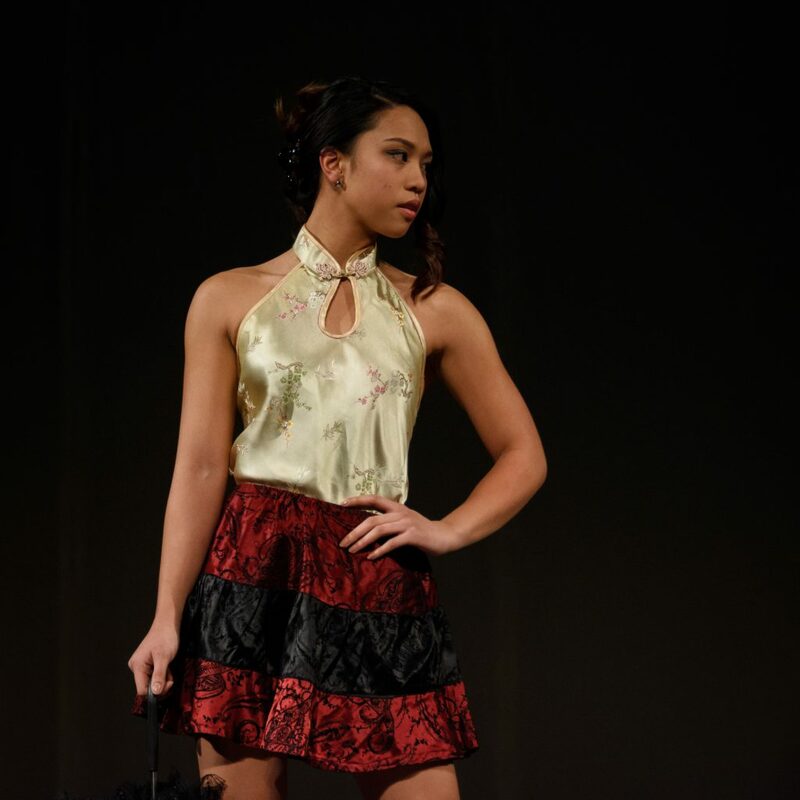 A MODEL STRUTS confidently onto the BSA runway in her outfit for the fashion line for individual cultures. 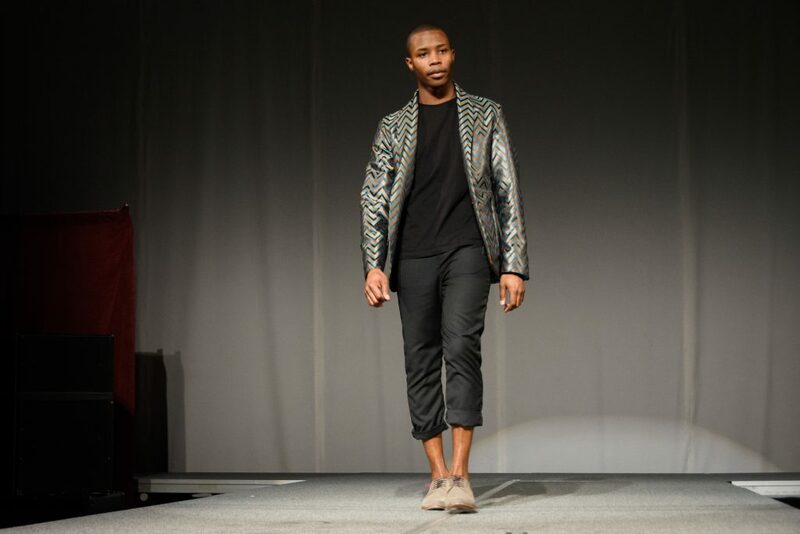 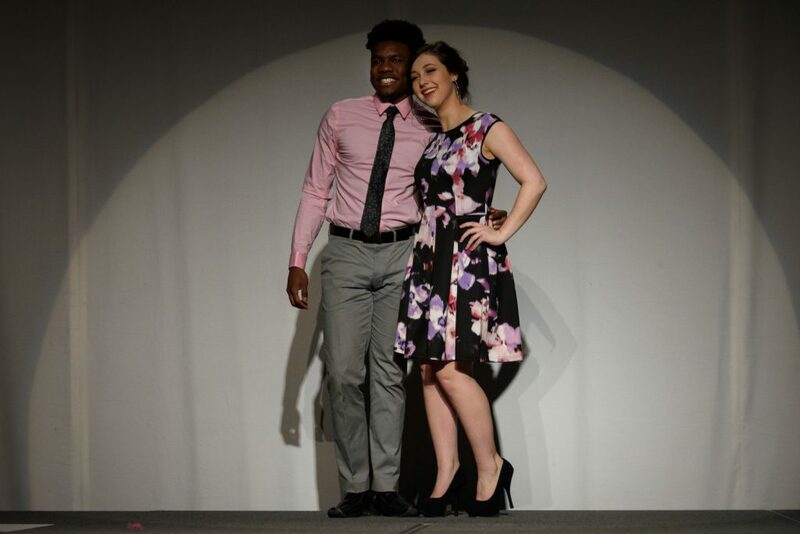 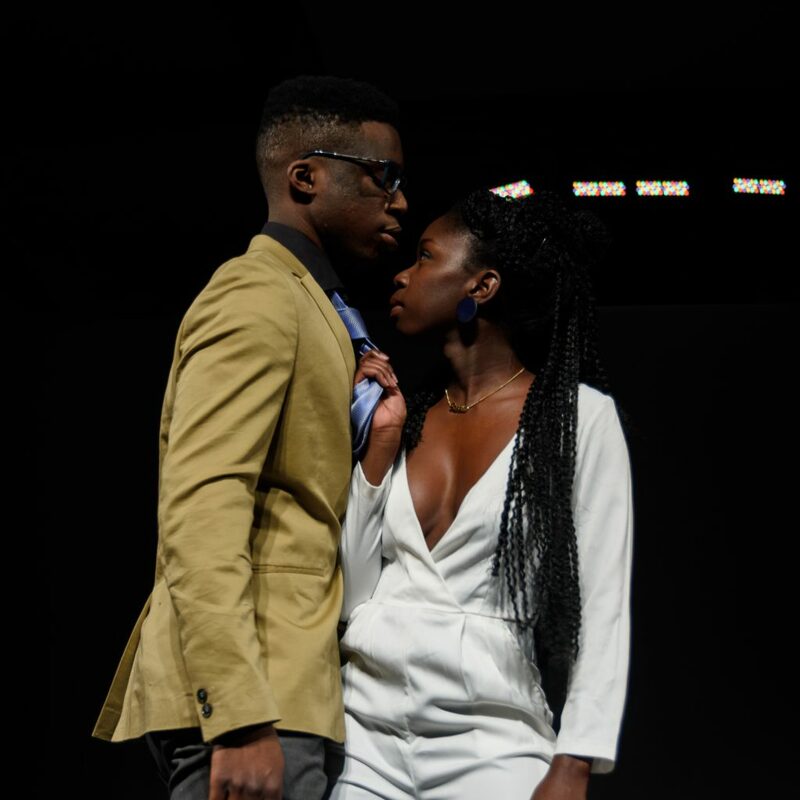 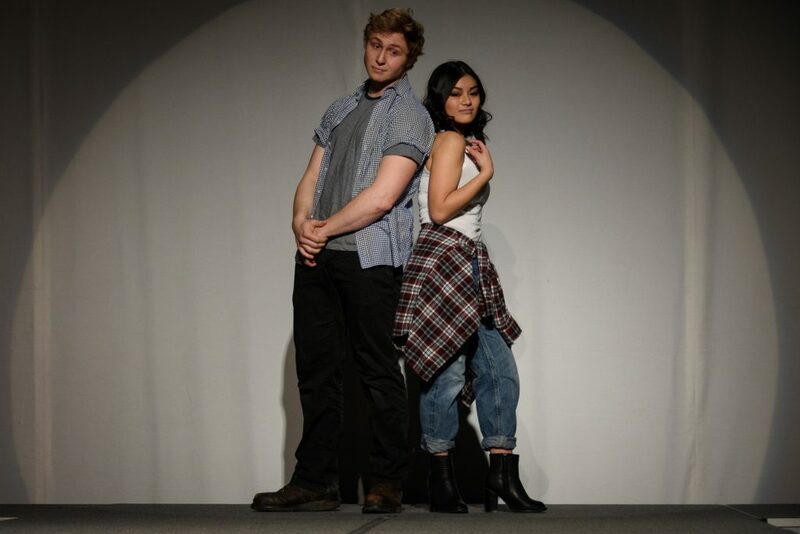 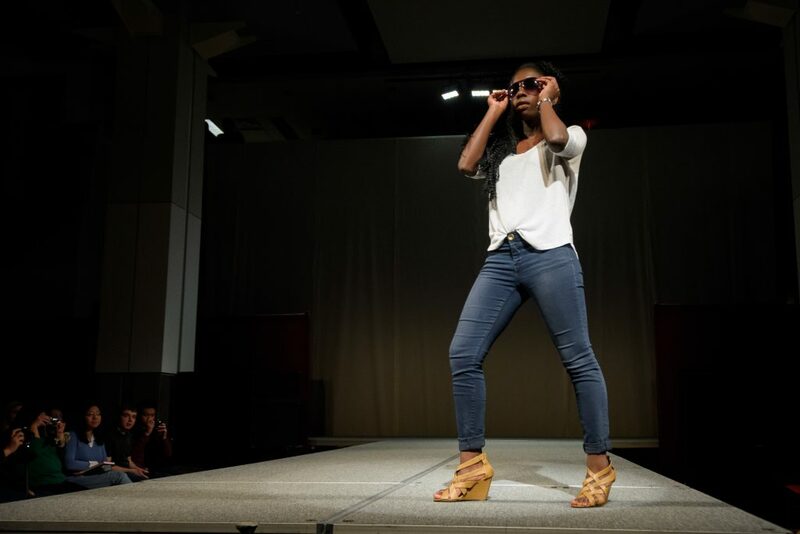 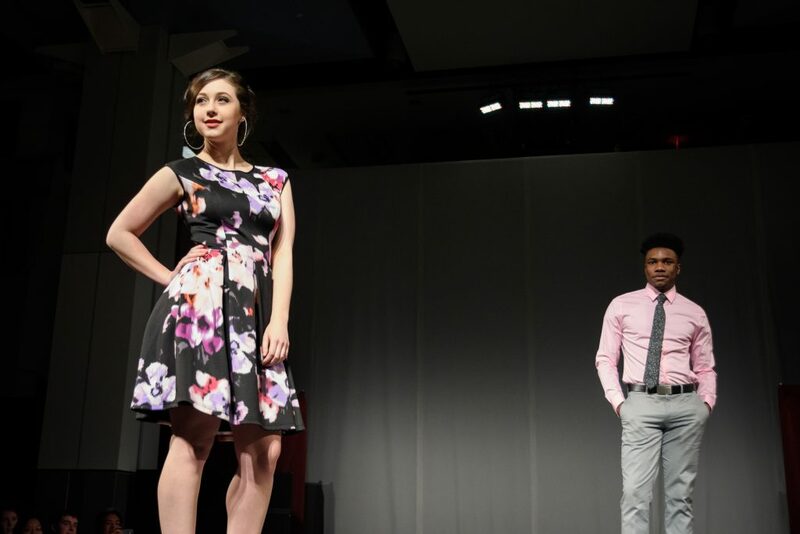 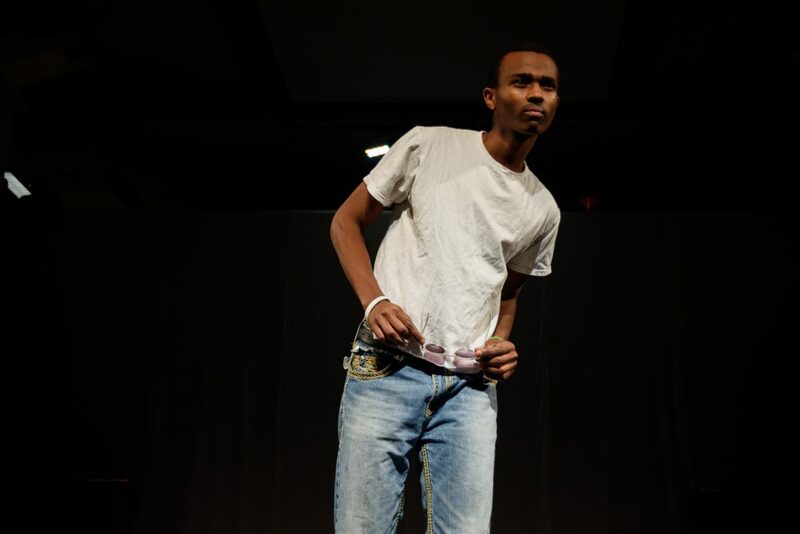 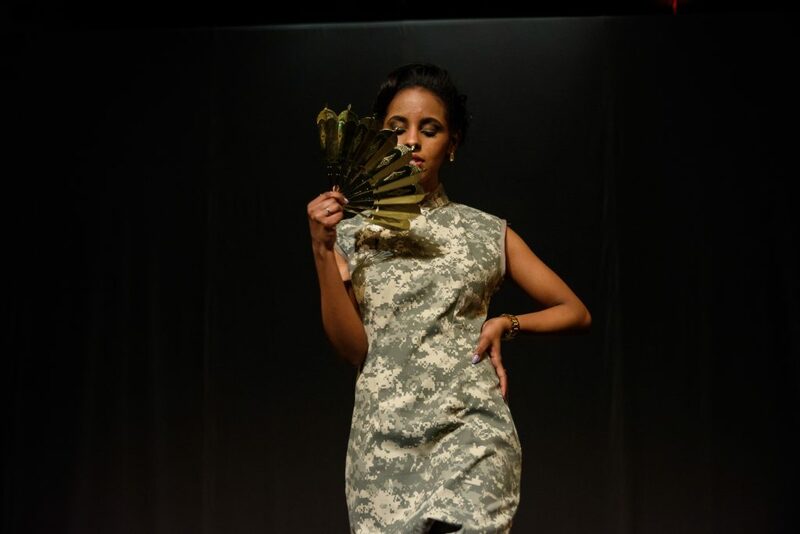 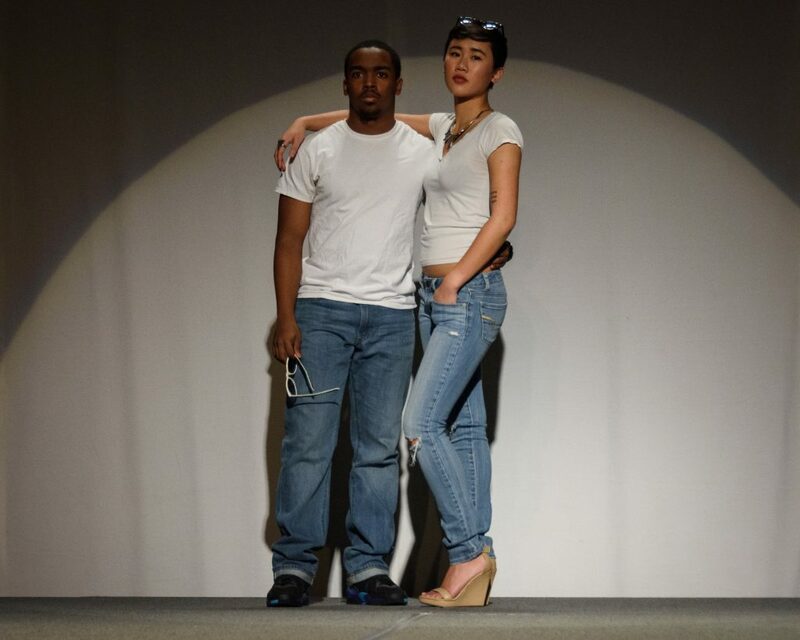 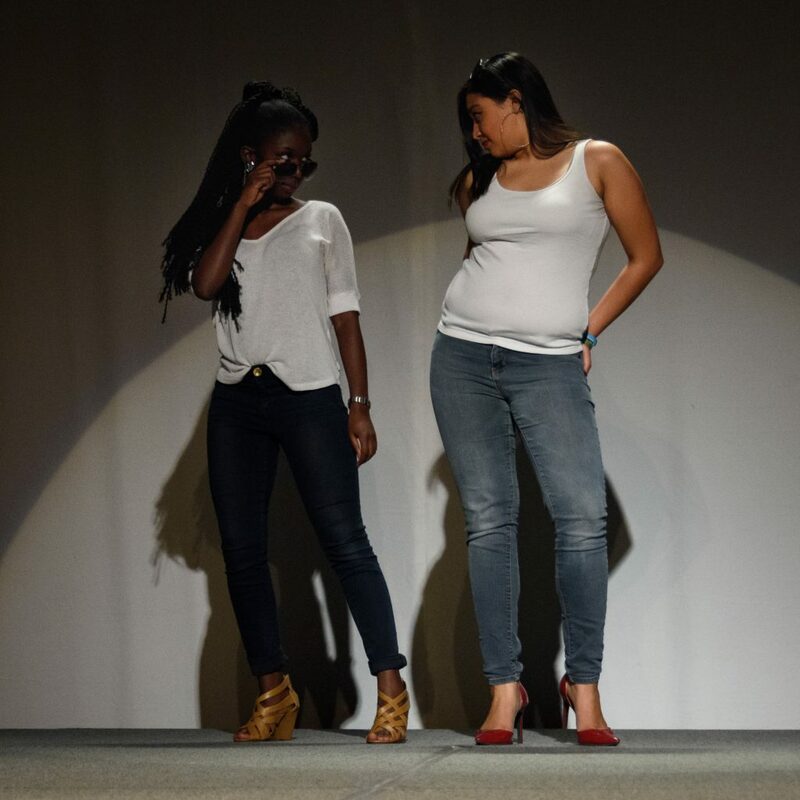 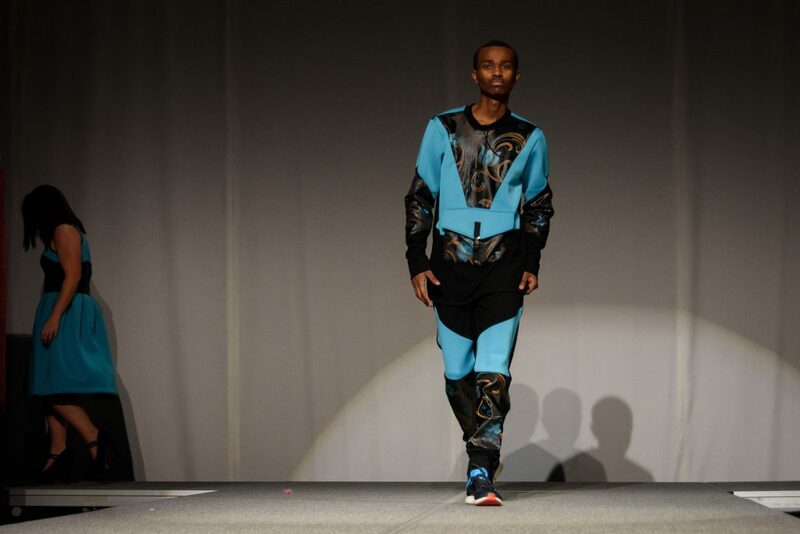 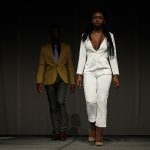 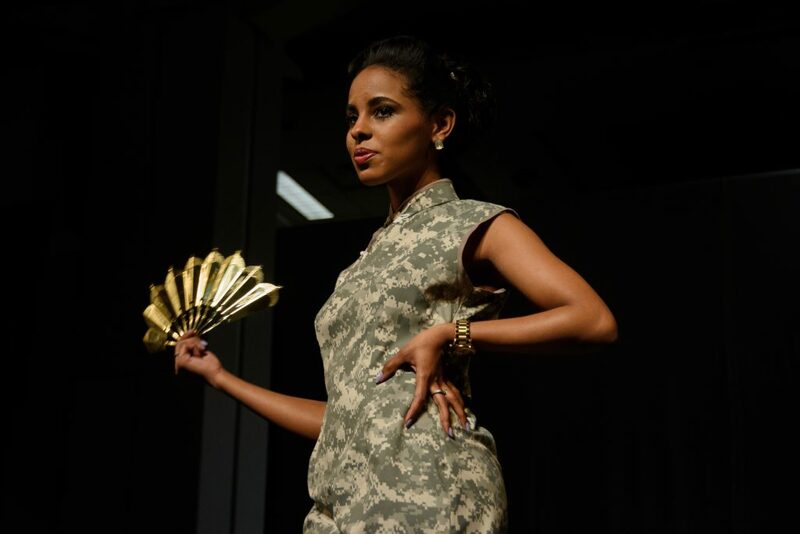 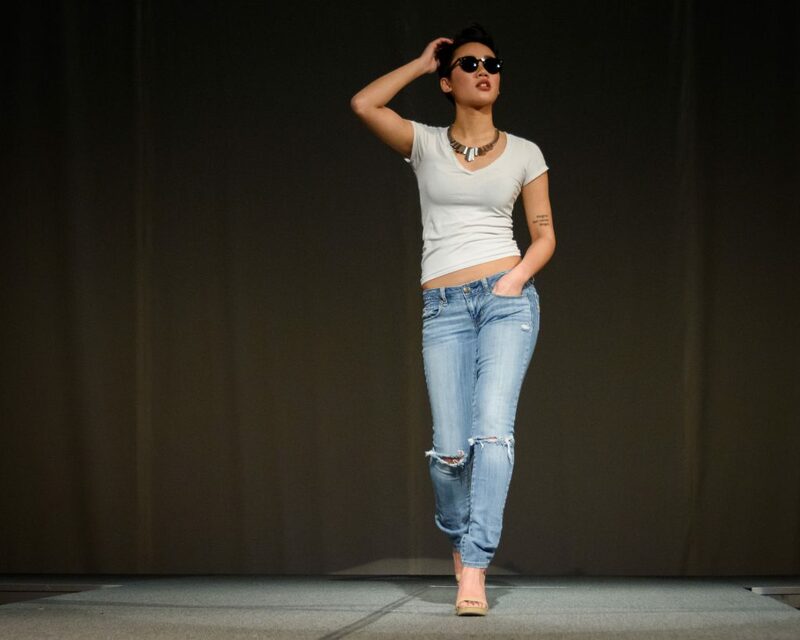 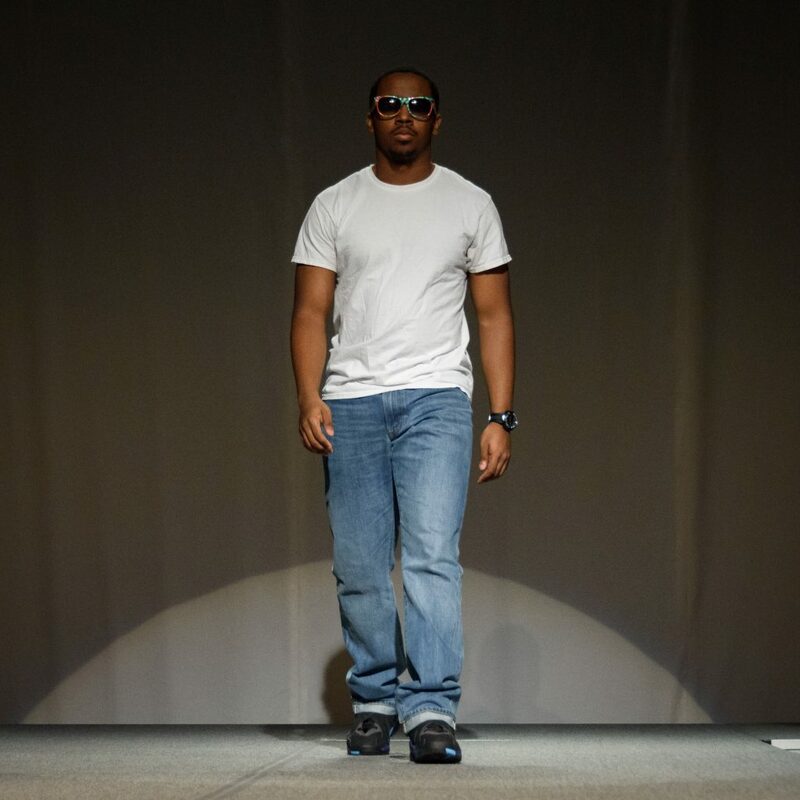 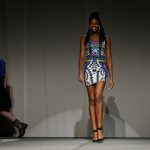 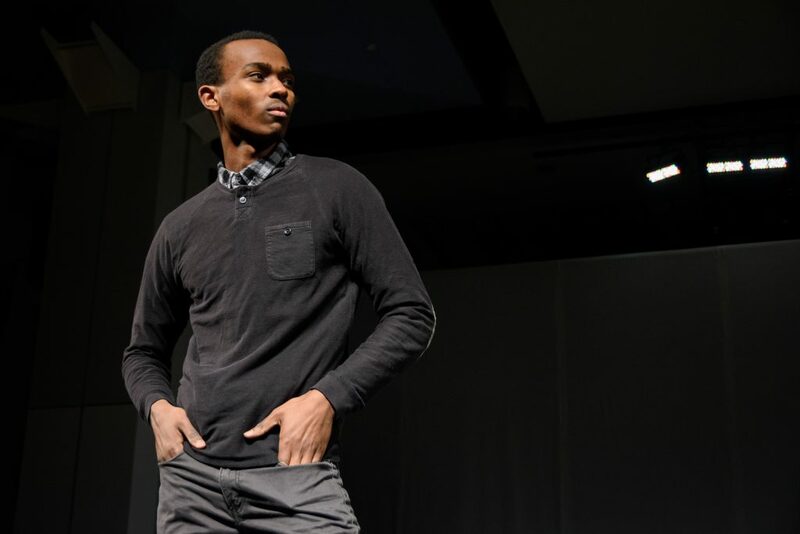 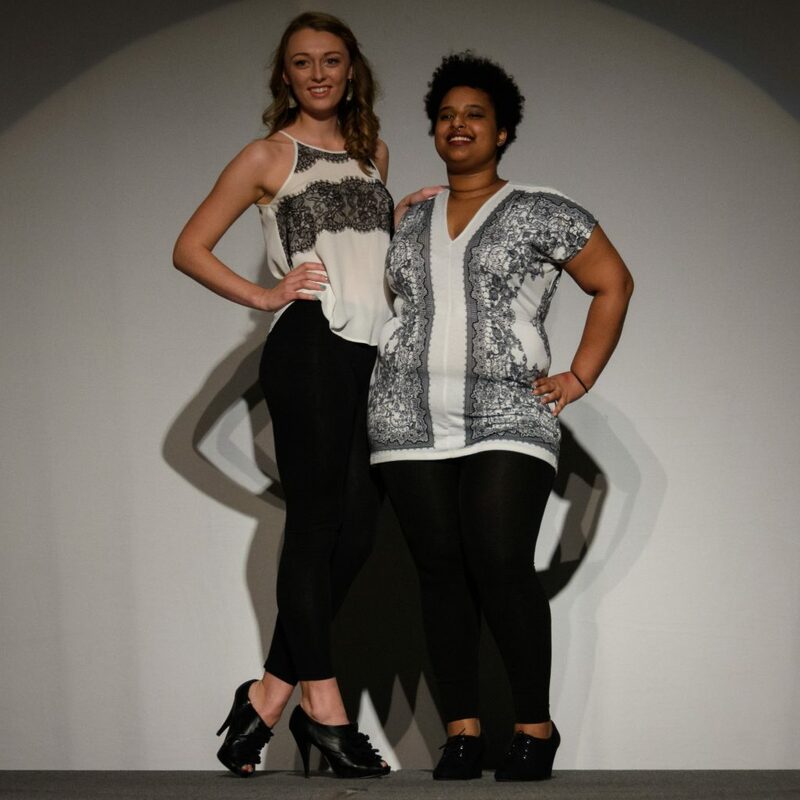 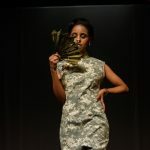 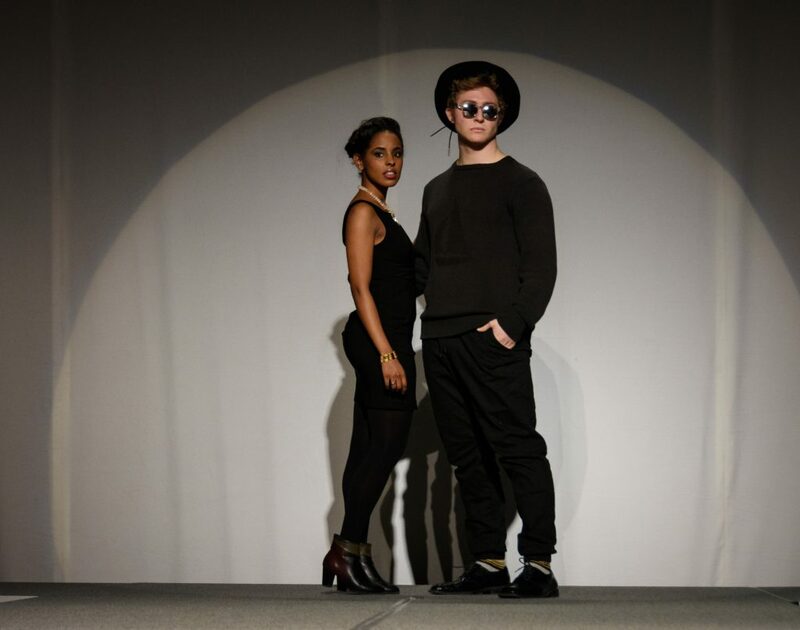 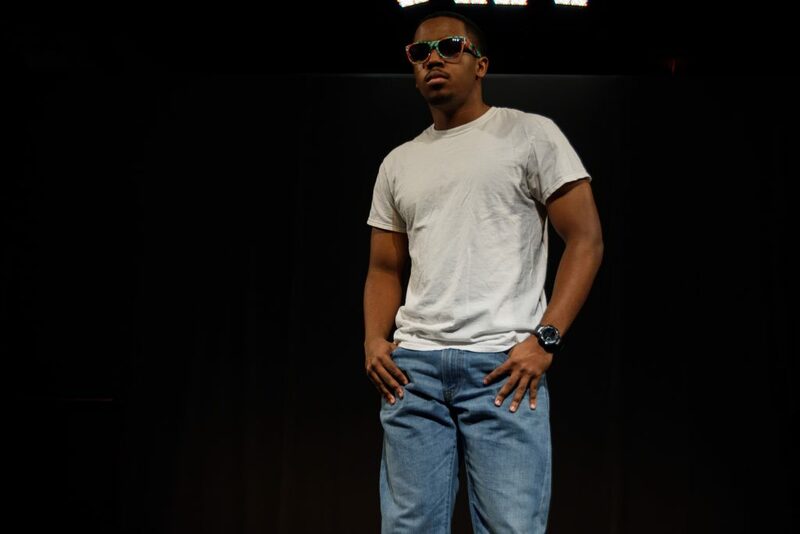 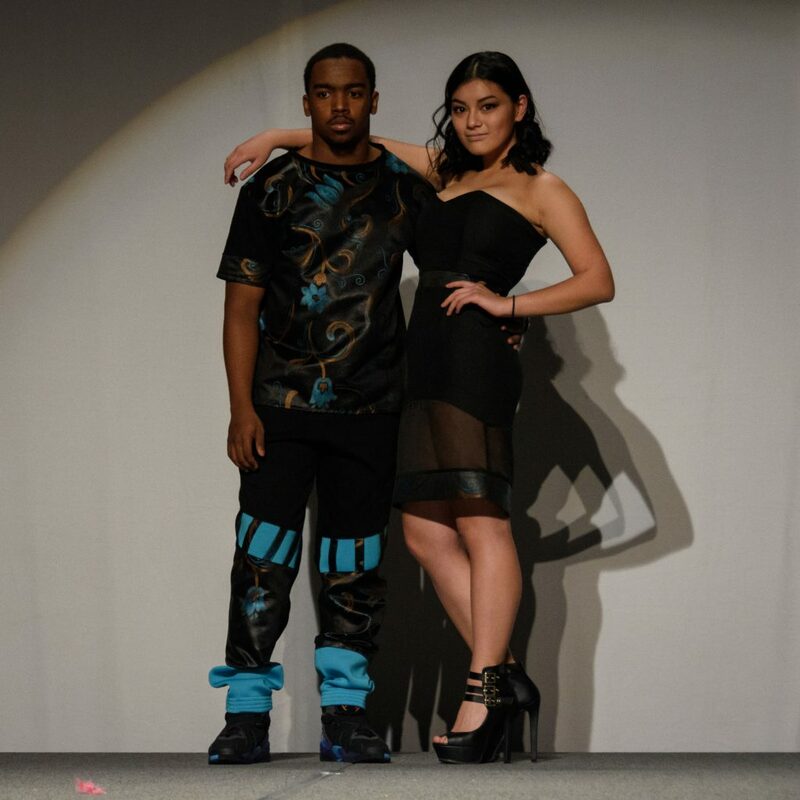 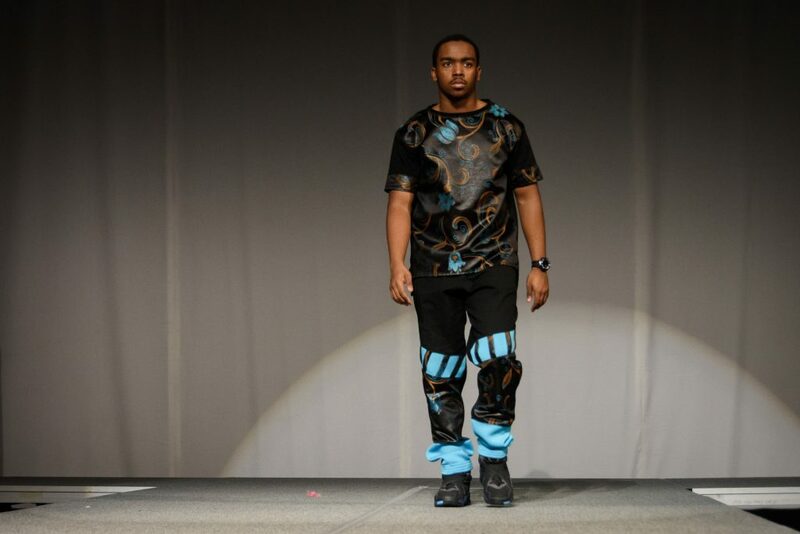 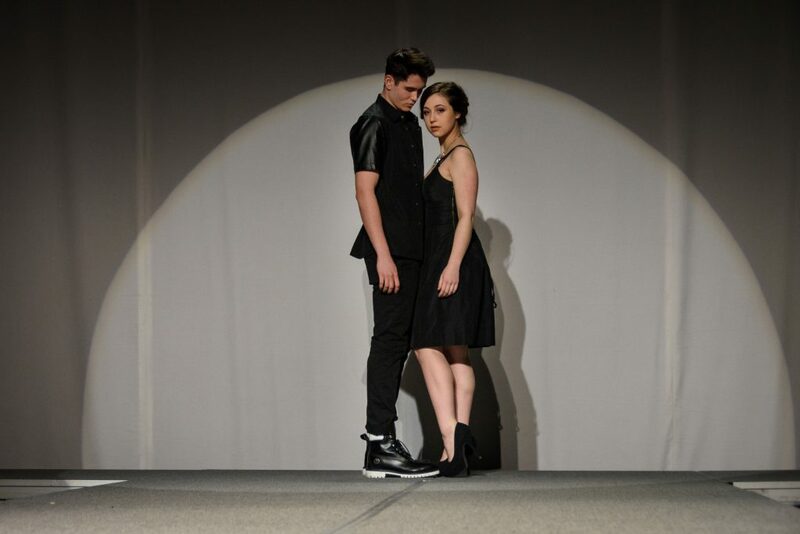 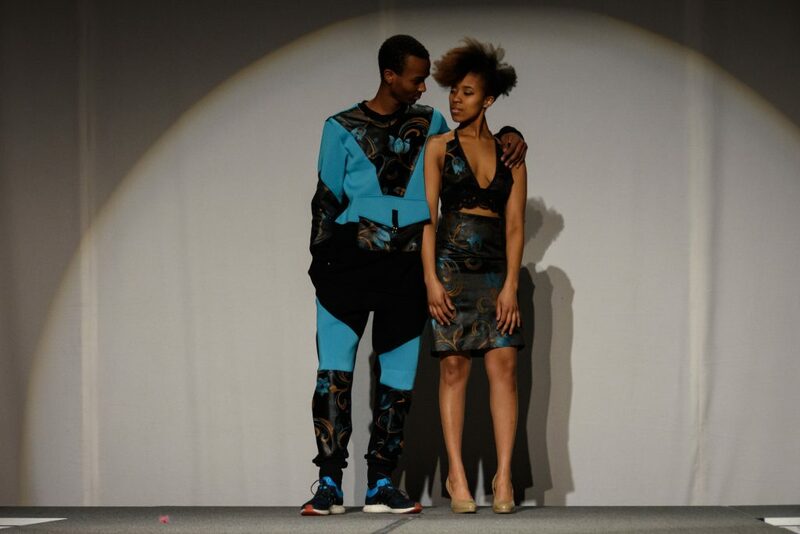 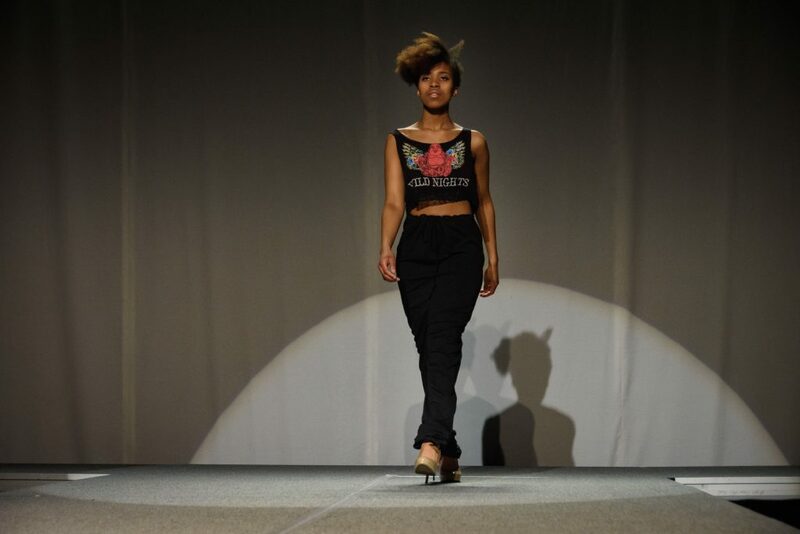 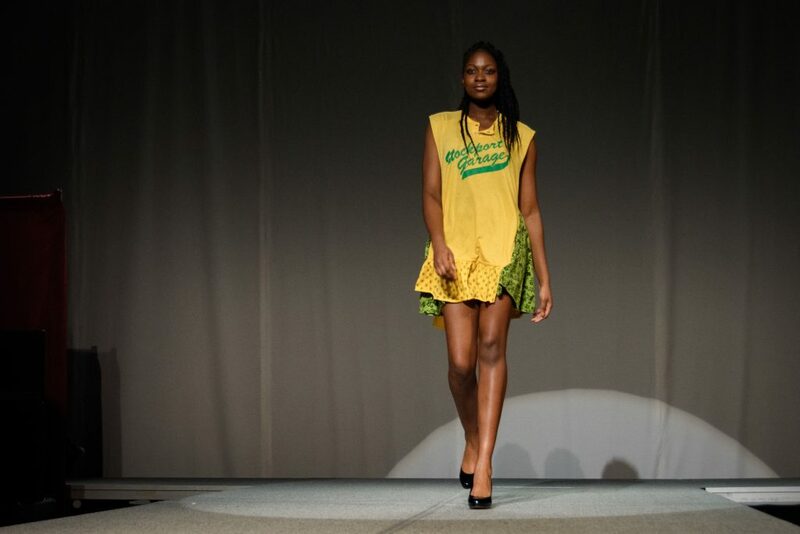 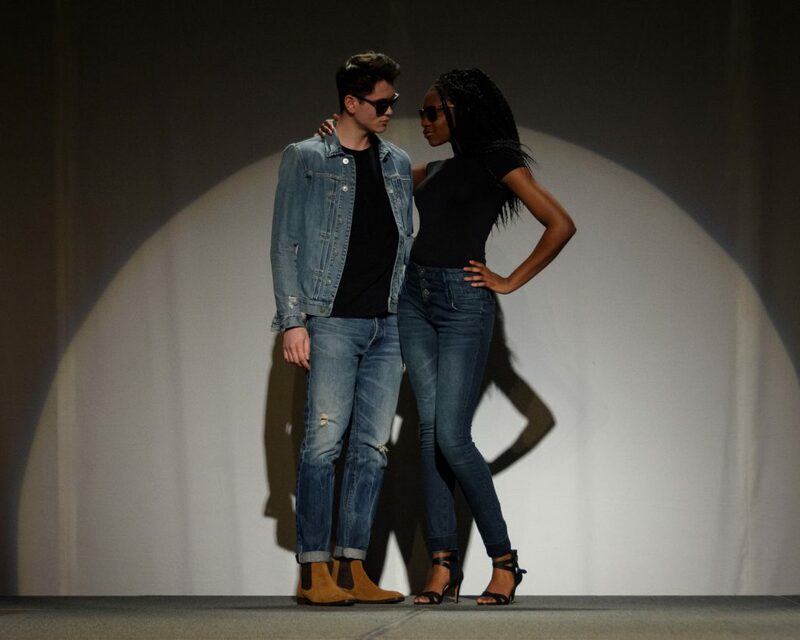 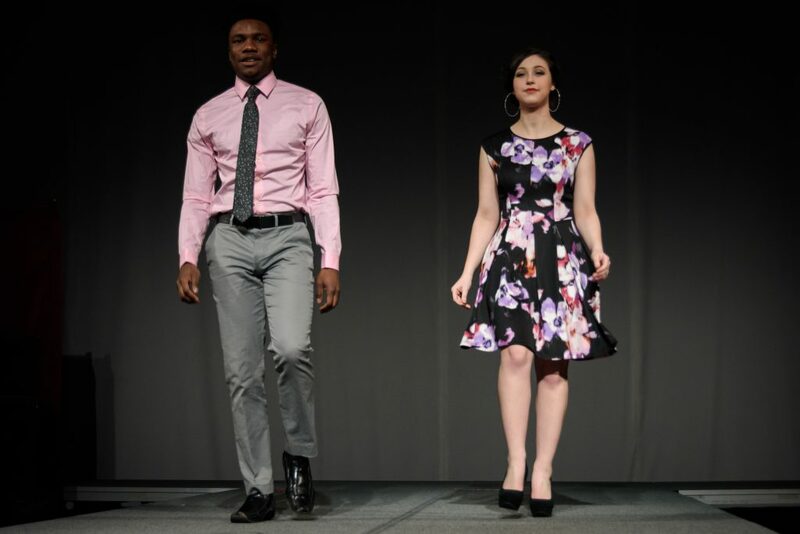 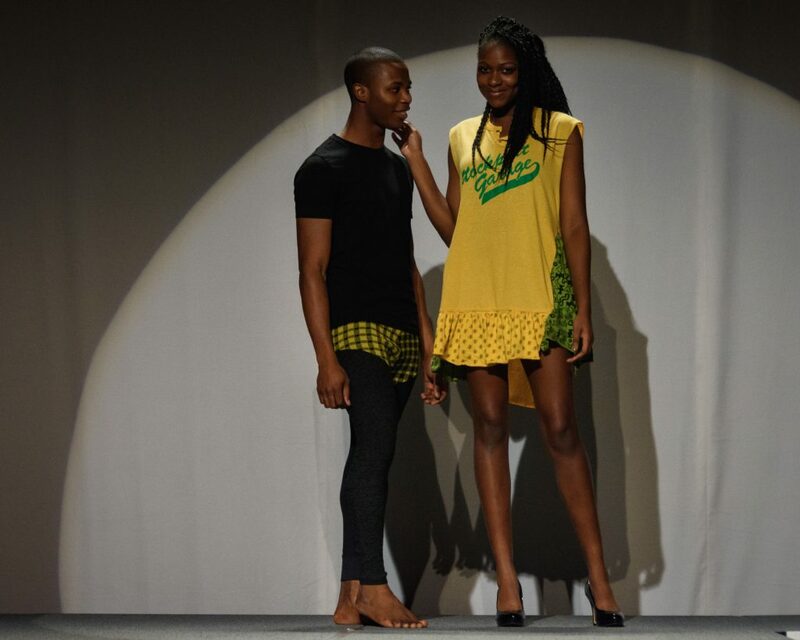 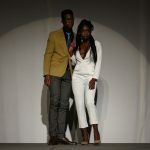 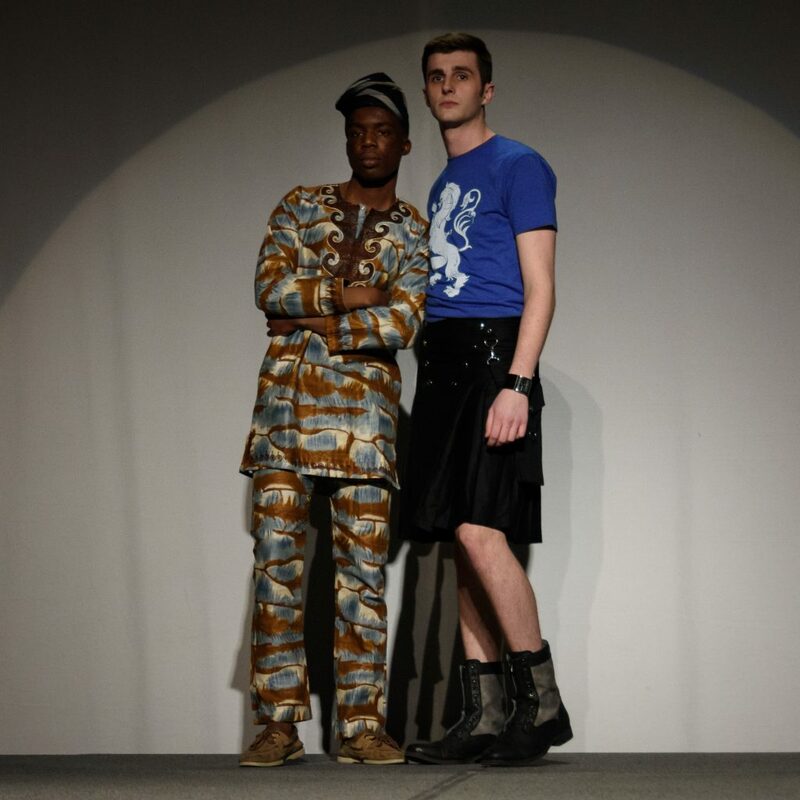 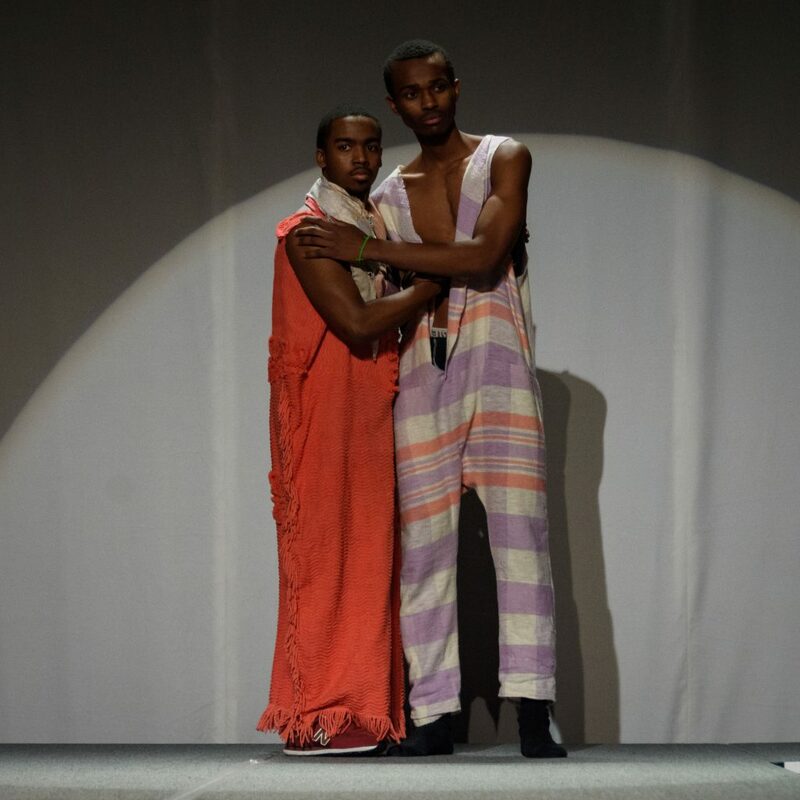 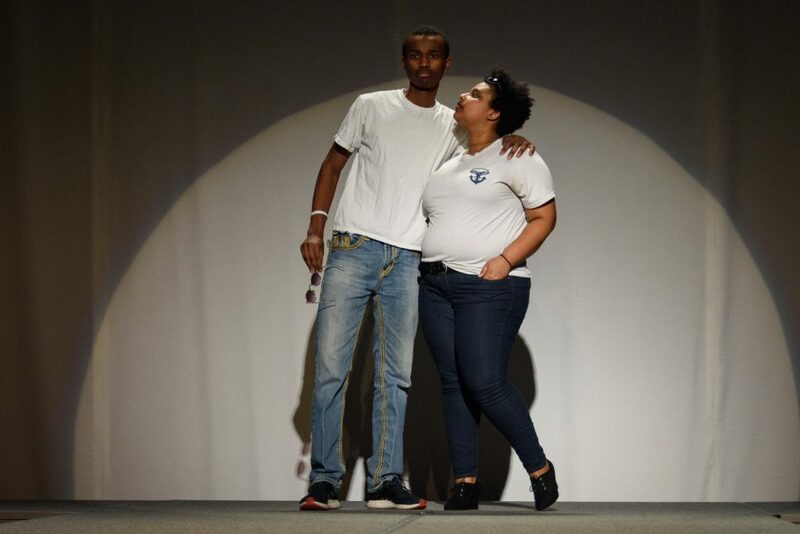 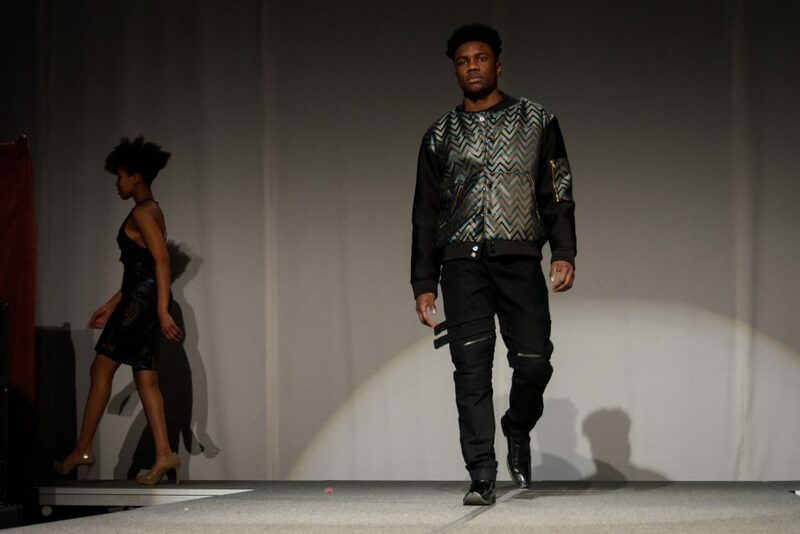 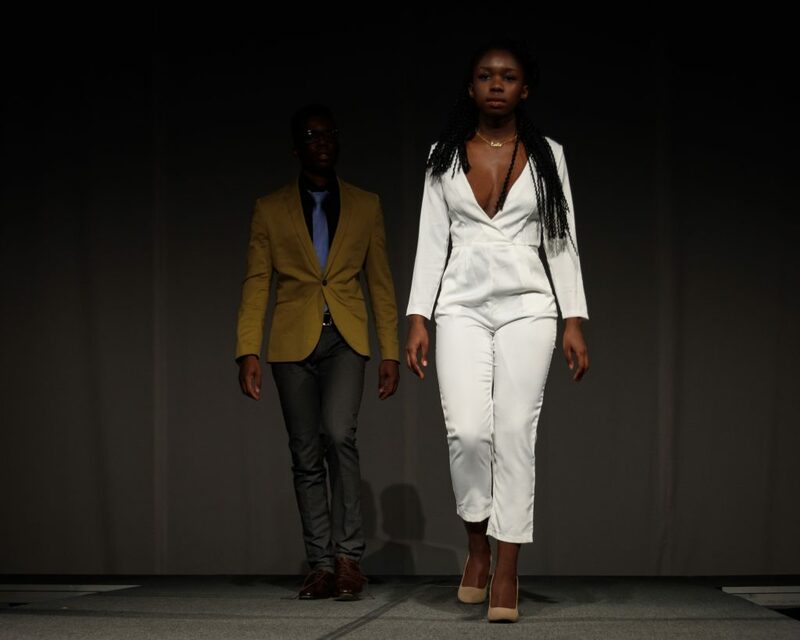 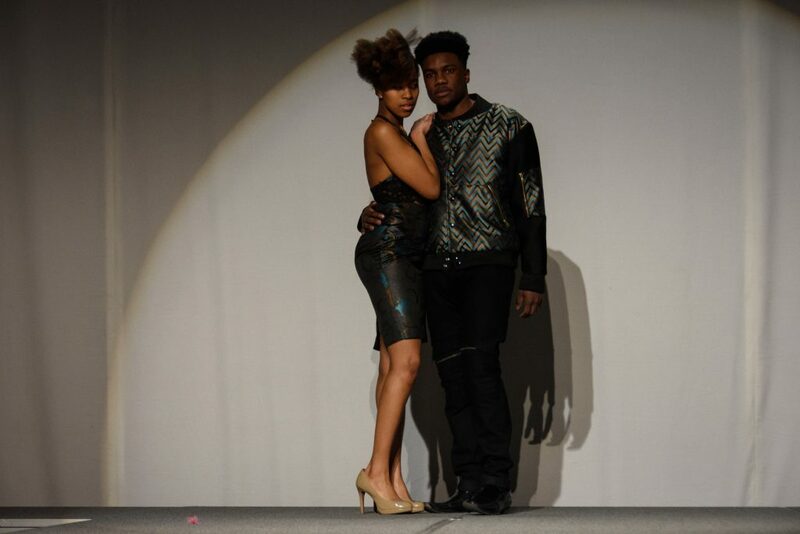 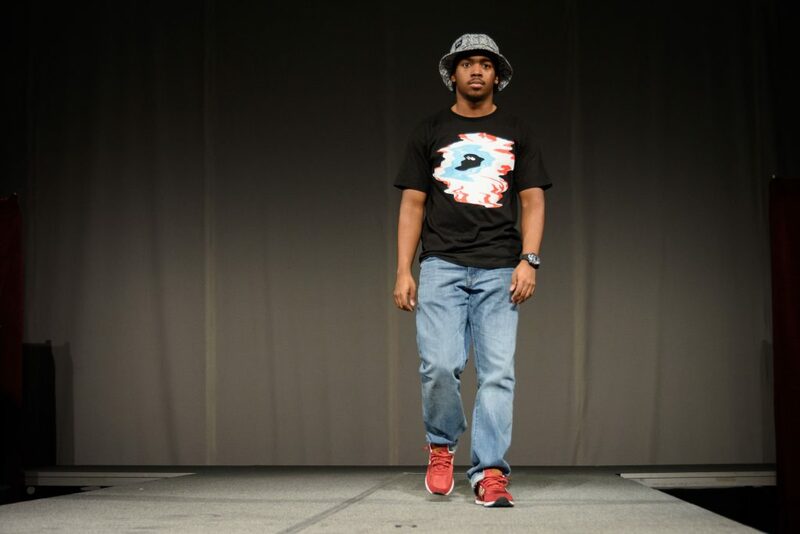 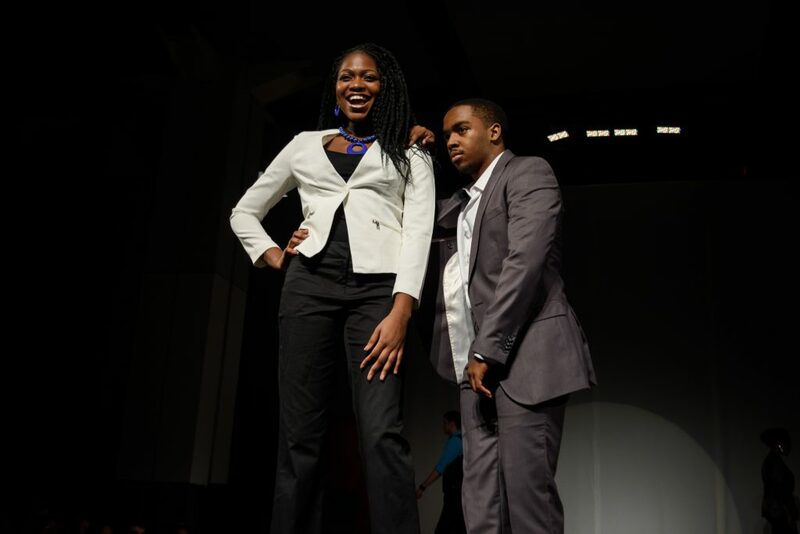 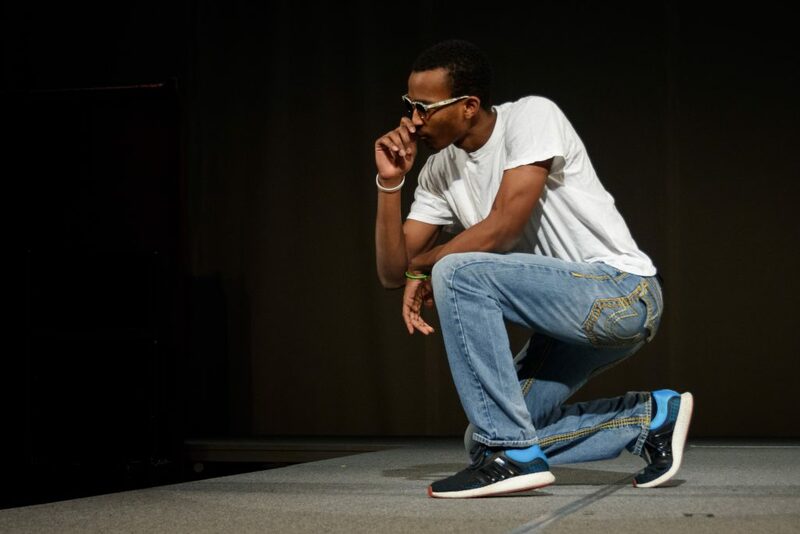 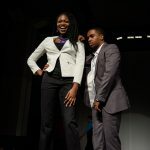 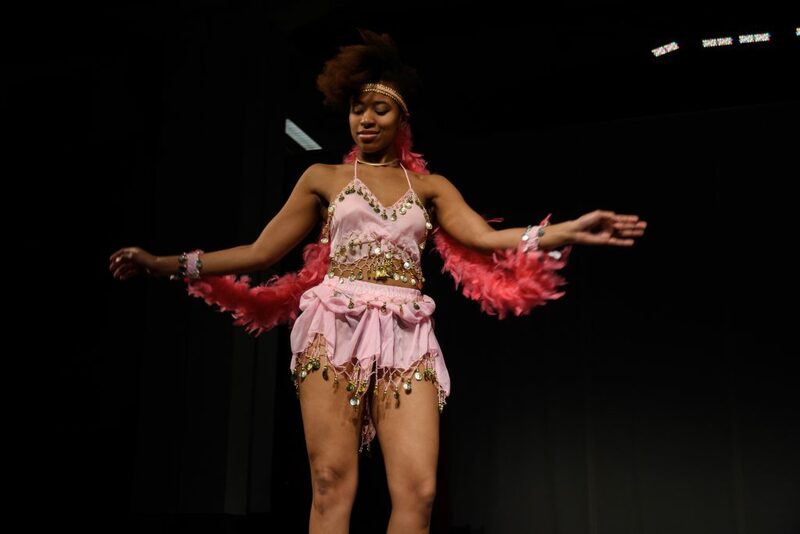 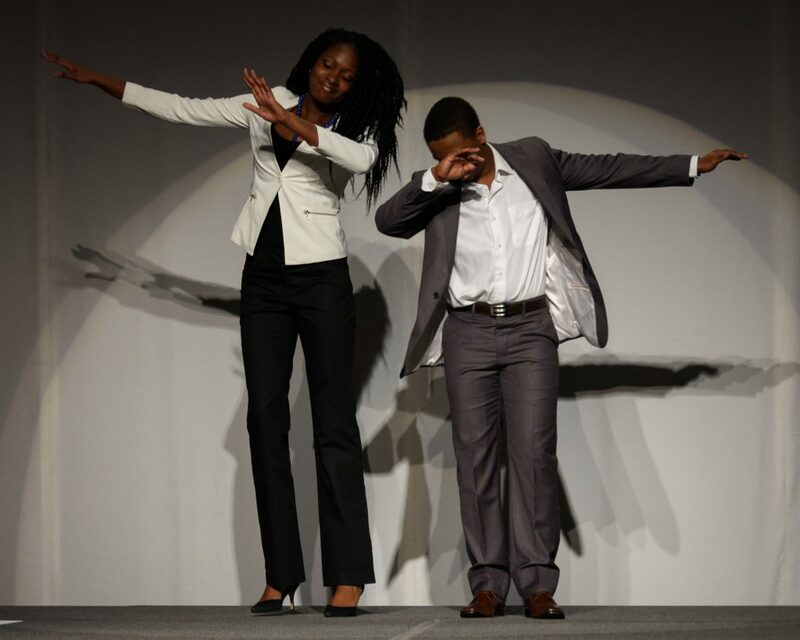 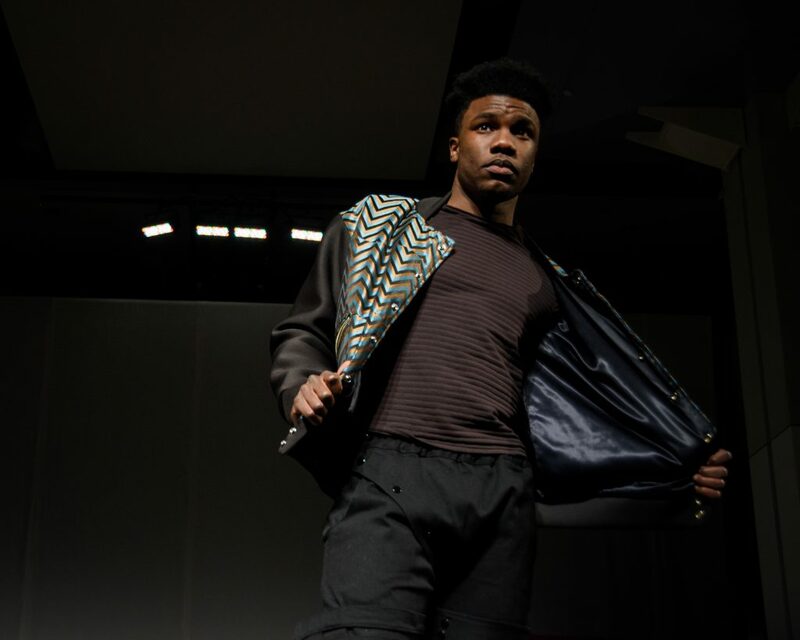 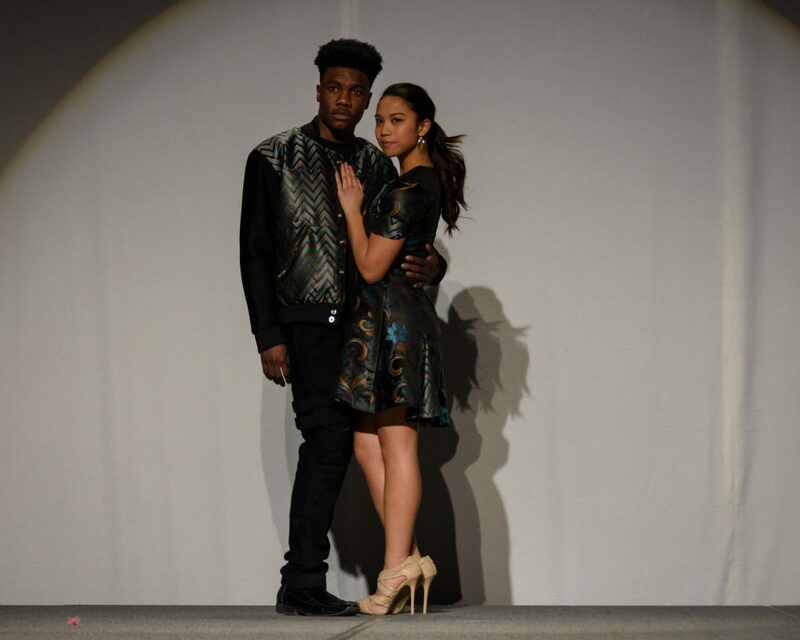 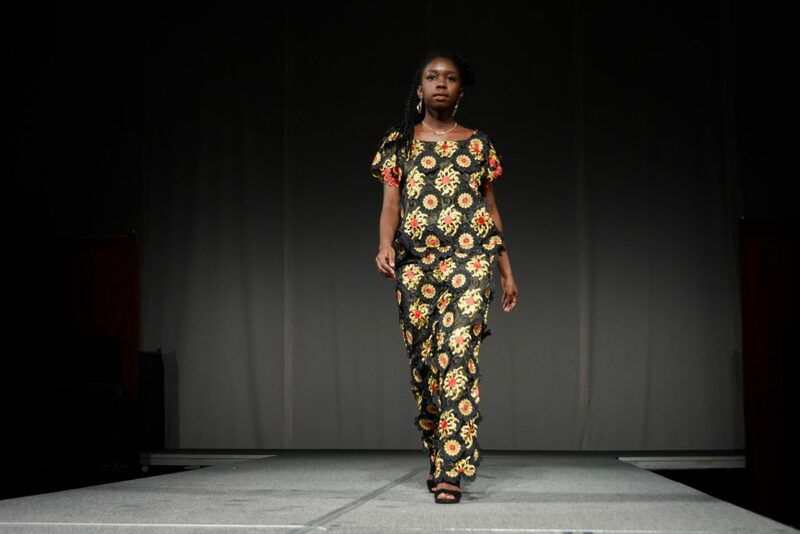 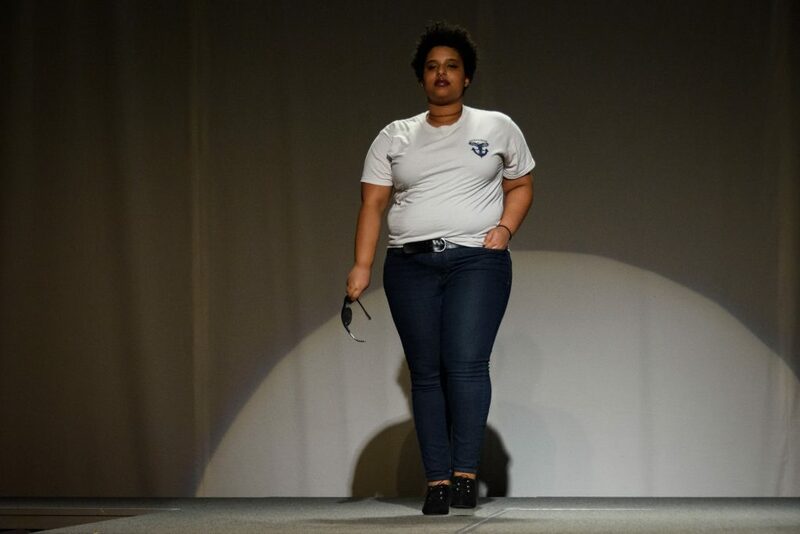 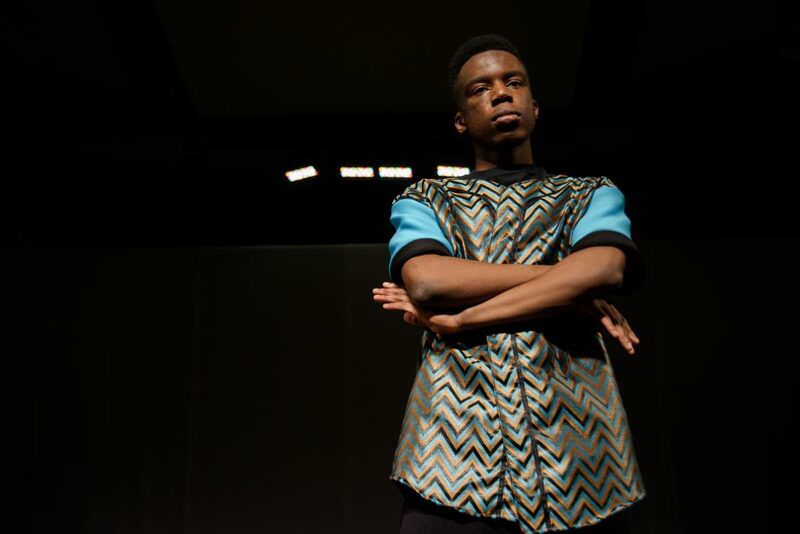 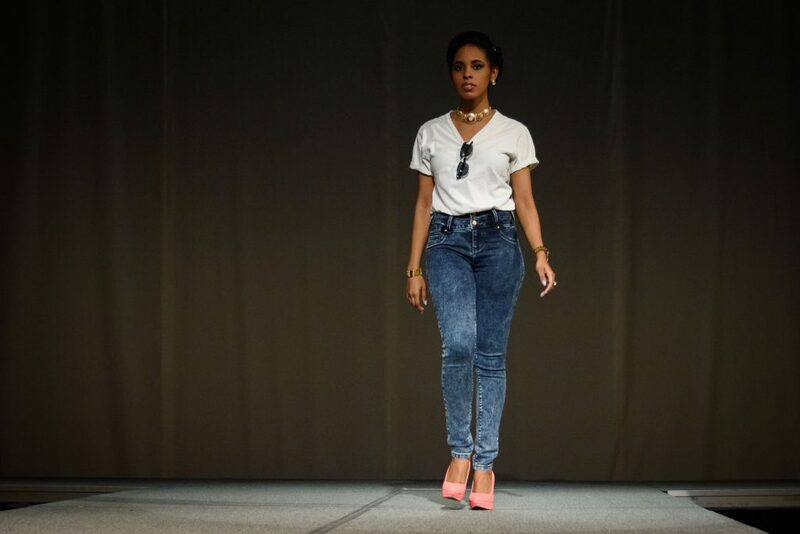 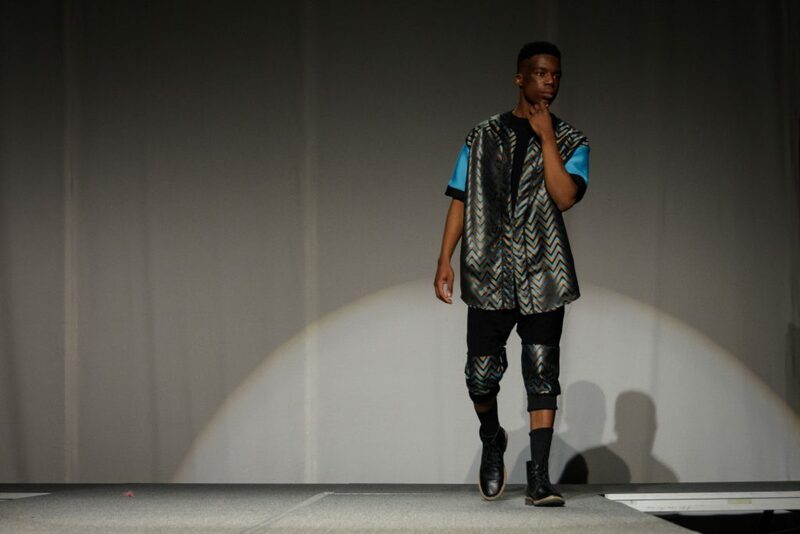 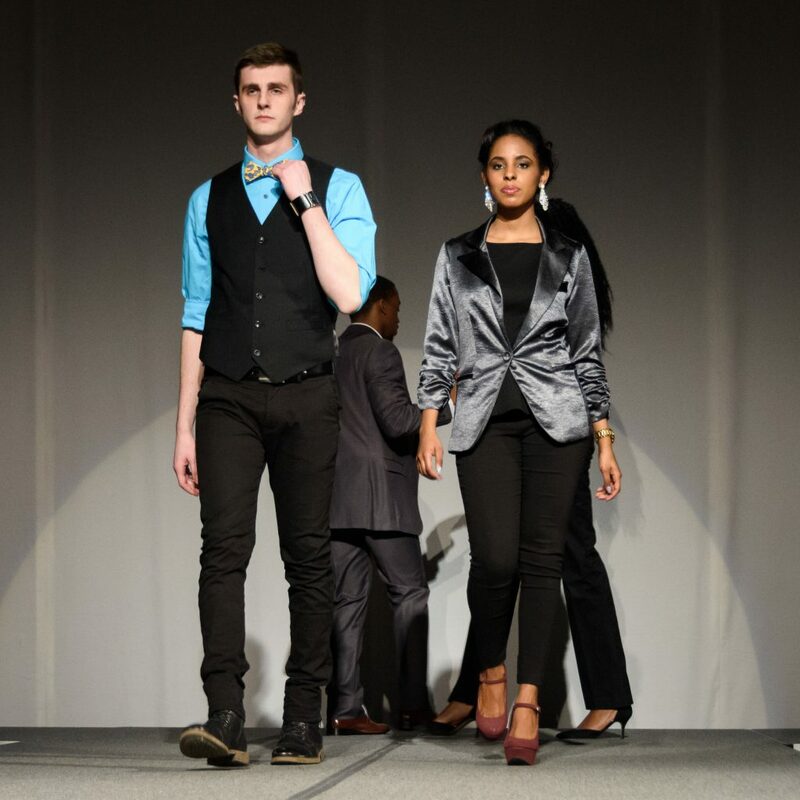 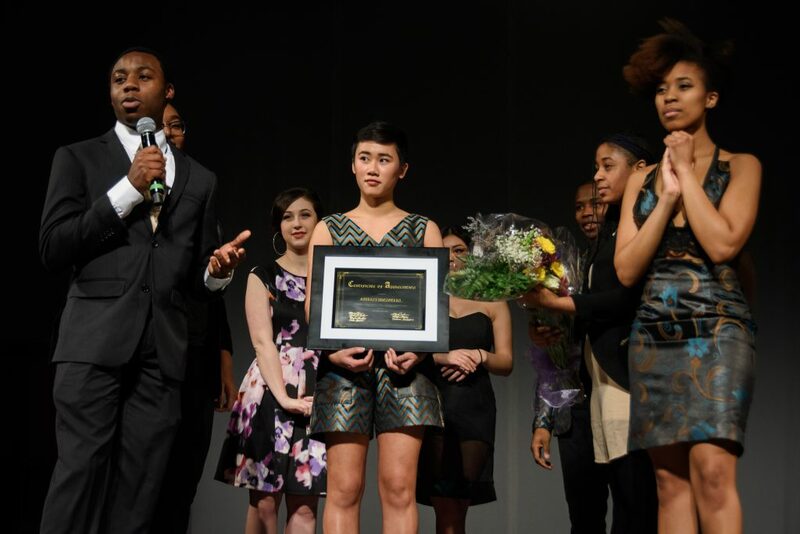 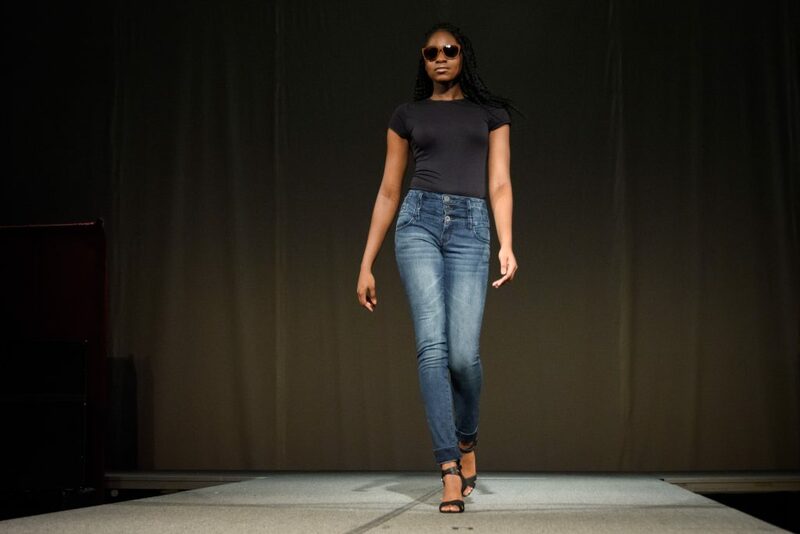 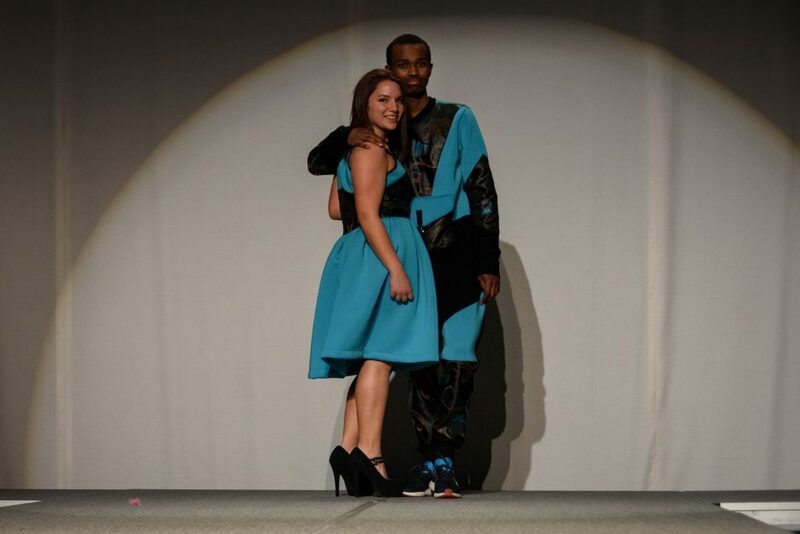 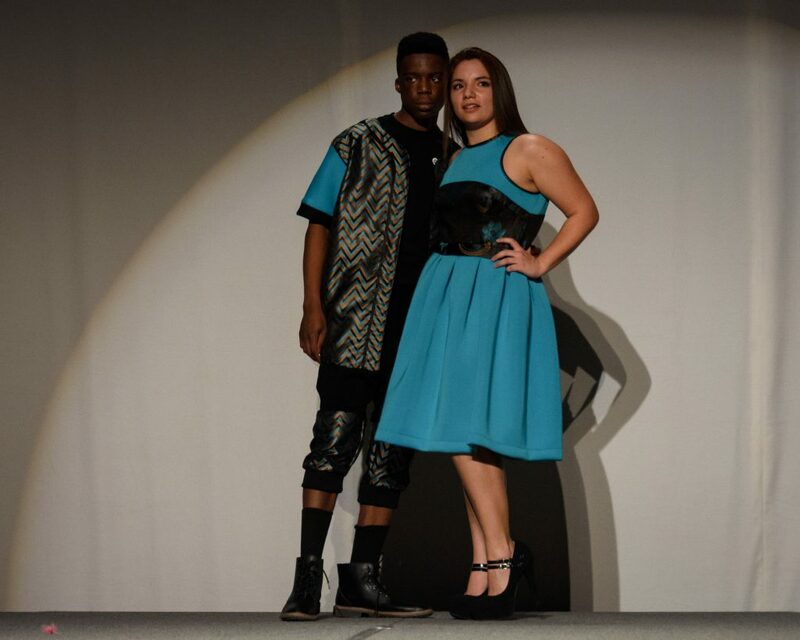 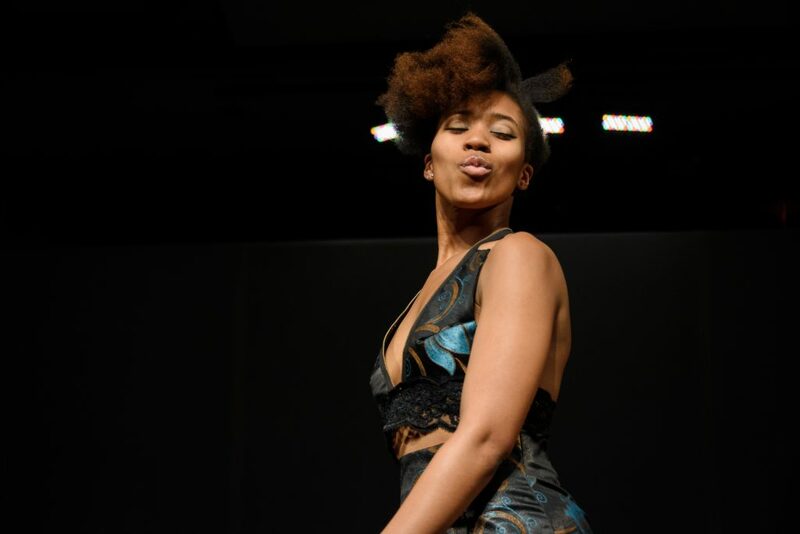 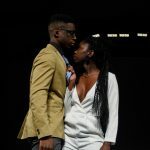 Last Saturday, the Black Students’ Alliance hosted its annual BSA Fashion Show. 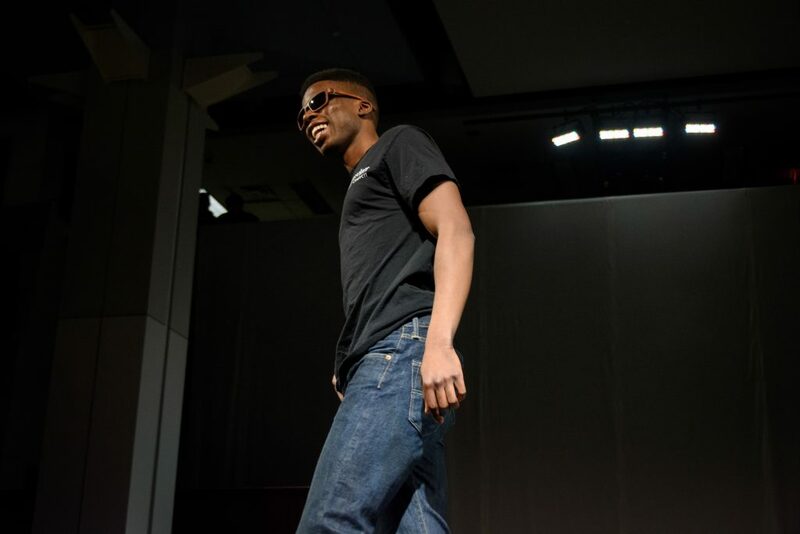 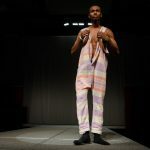 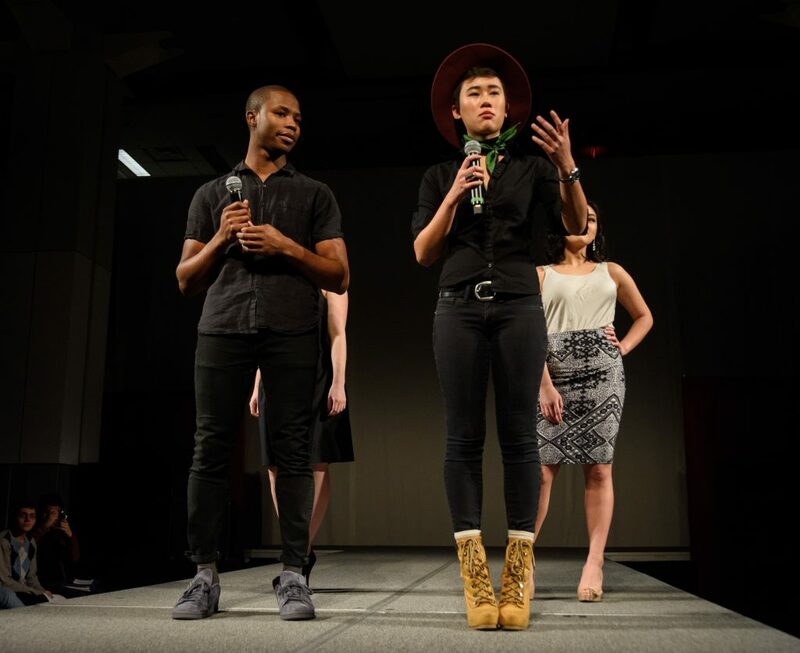 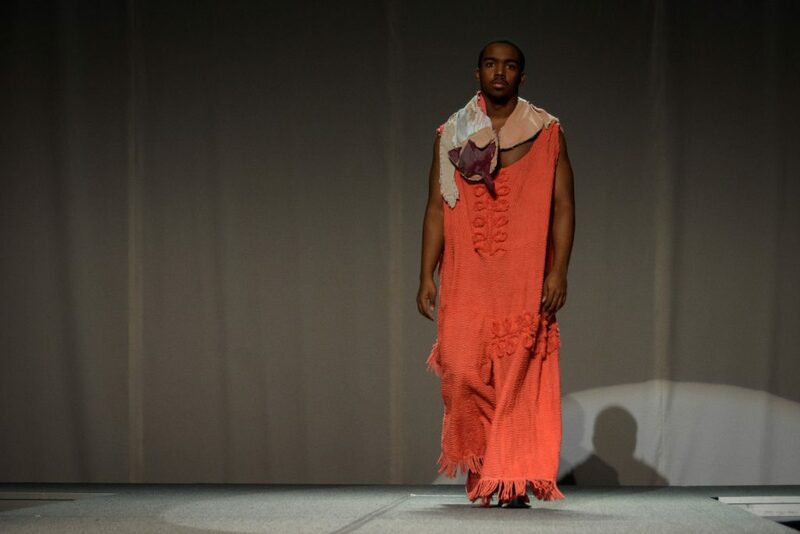 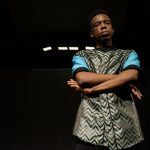 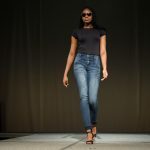 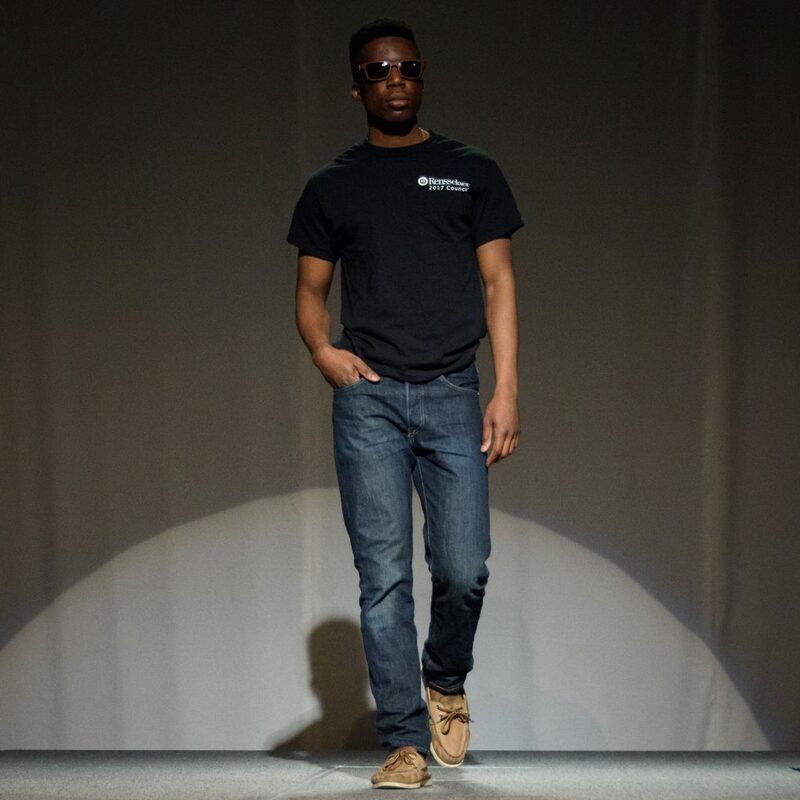 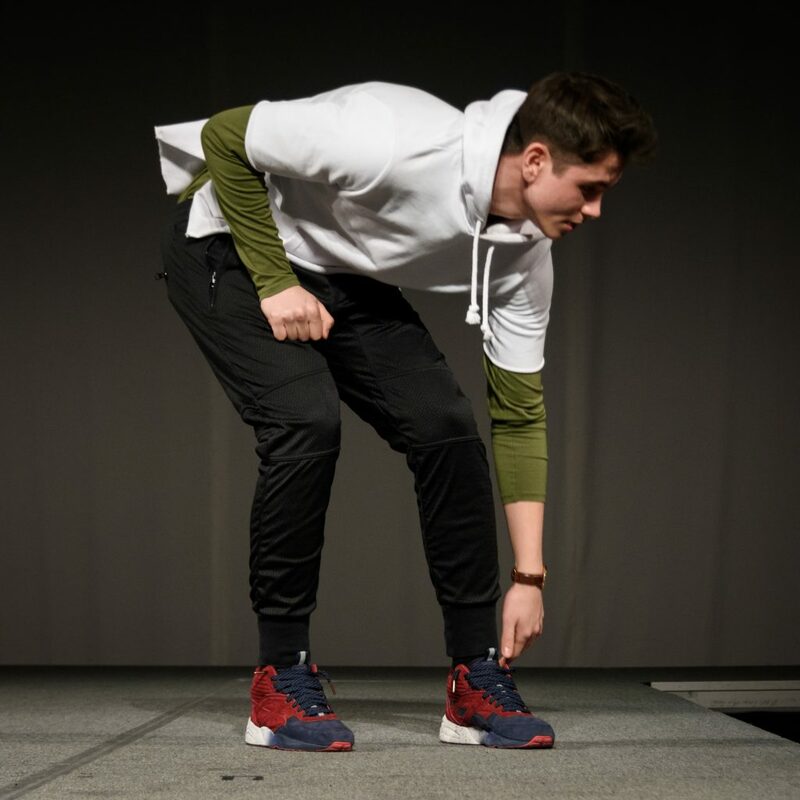 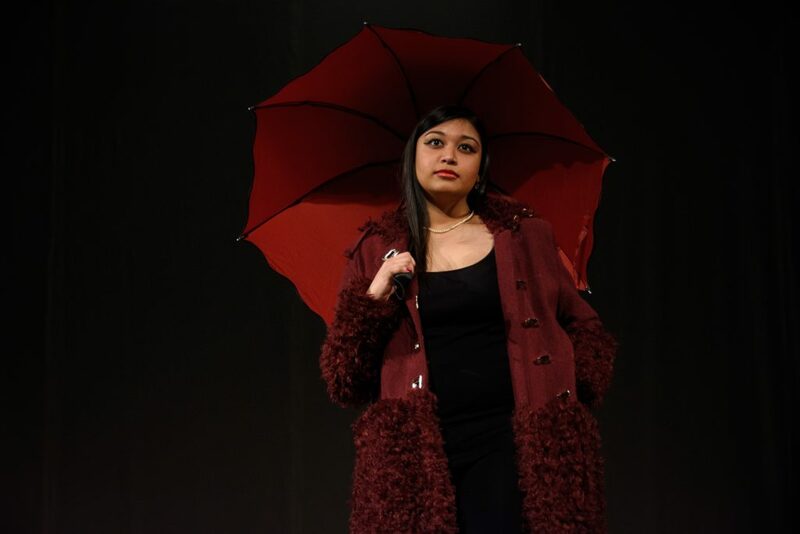 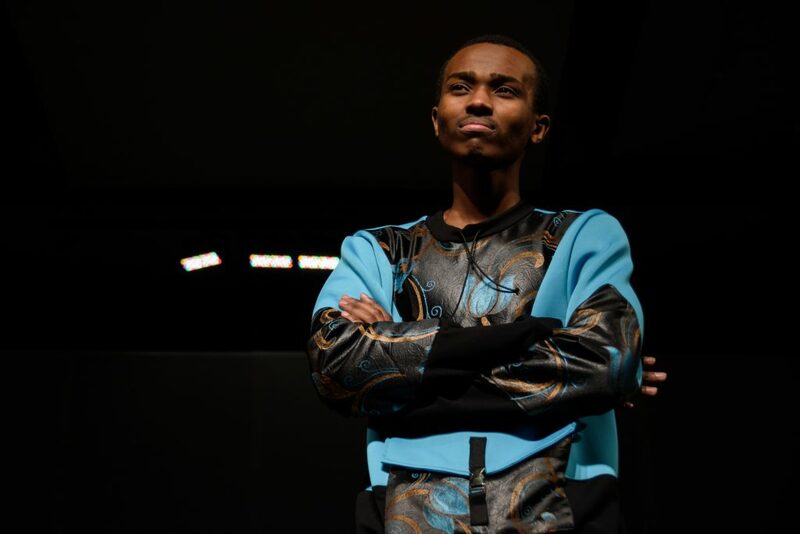 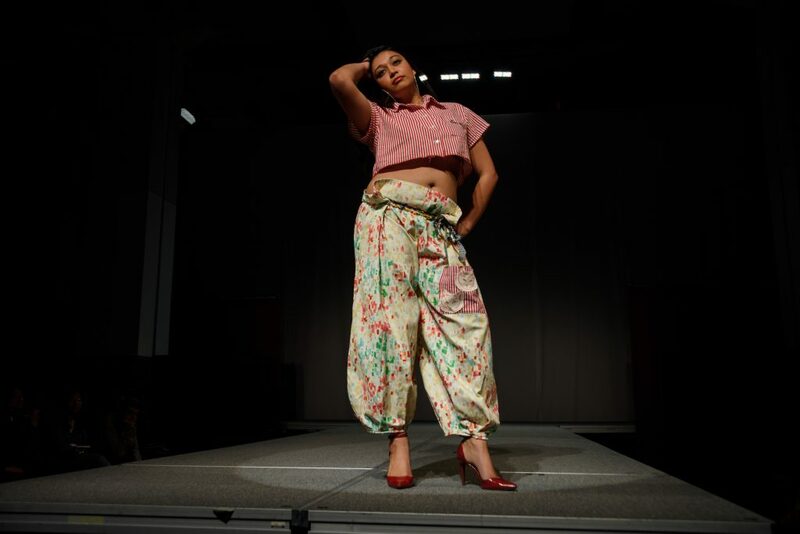 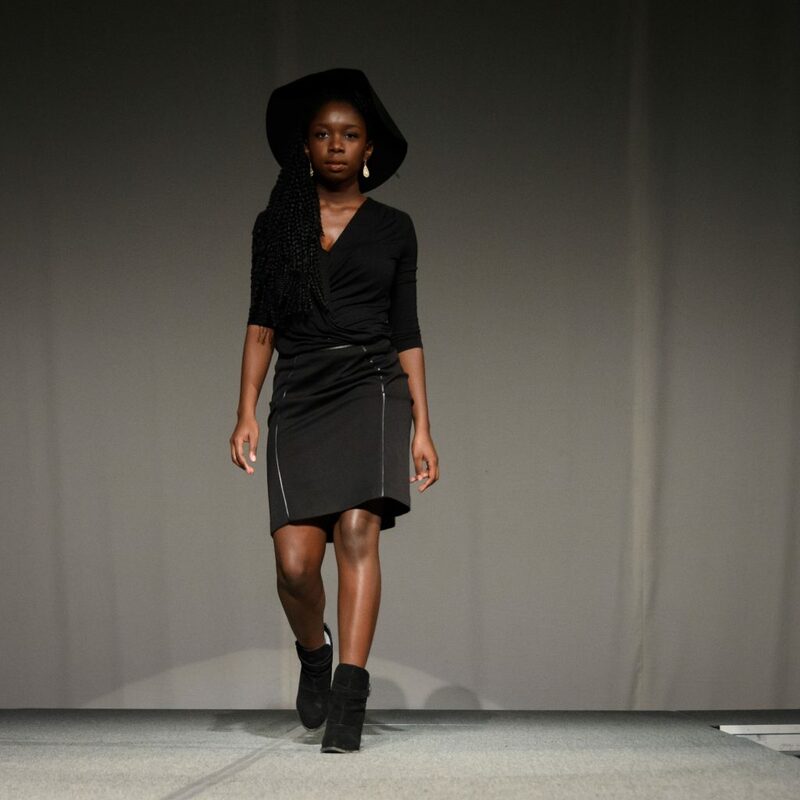 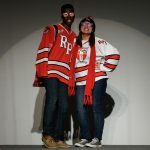 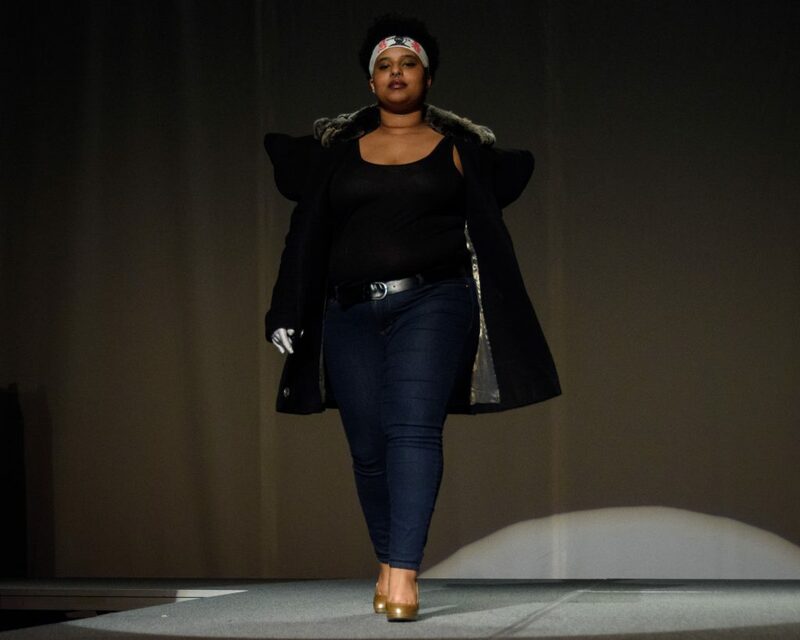 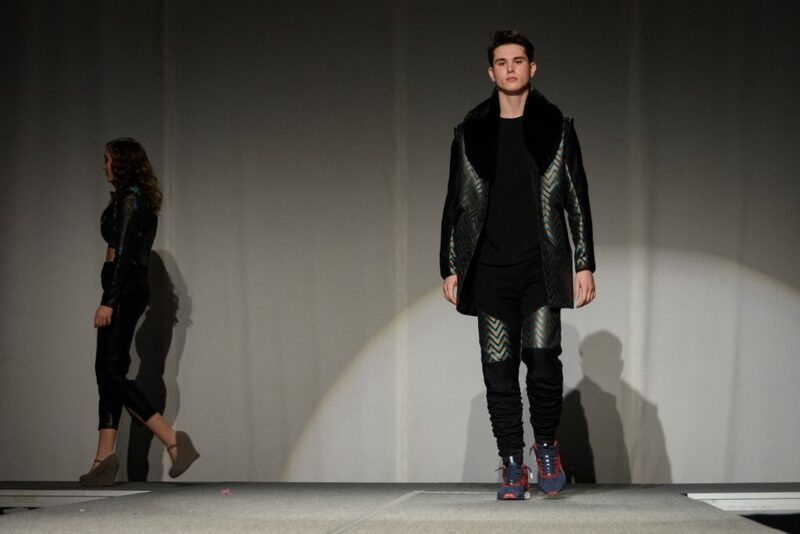 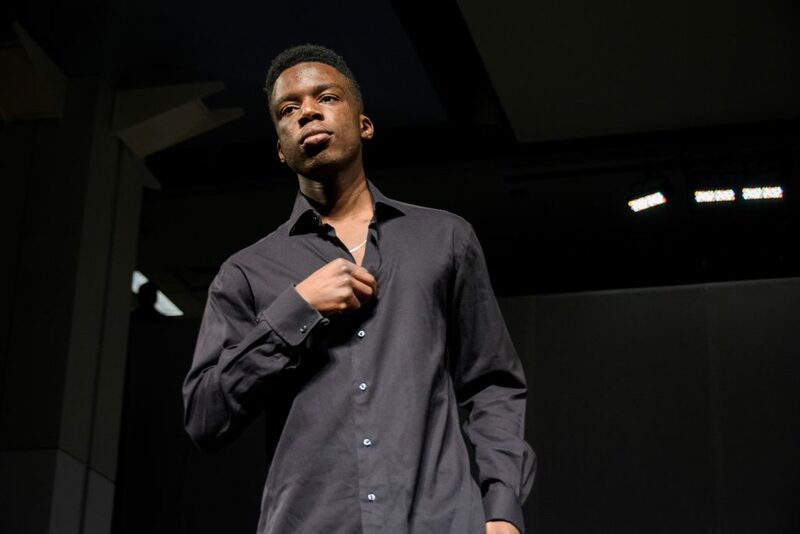 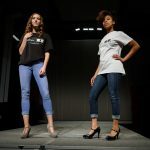 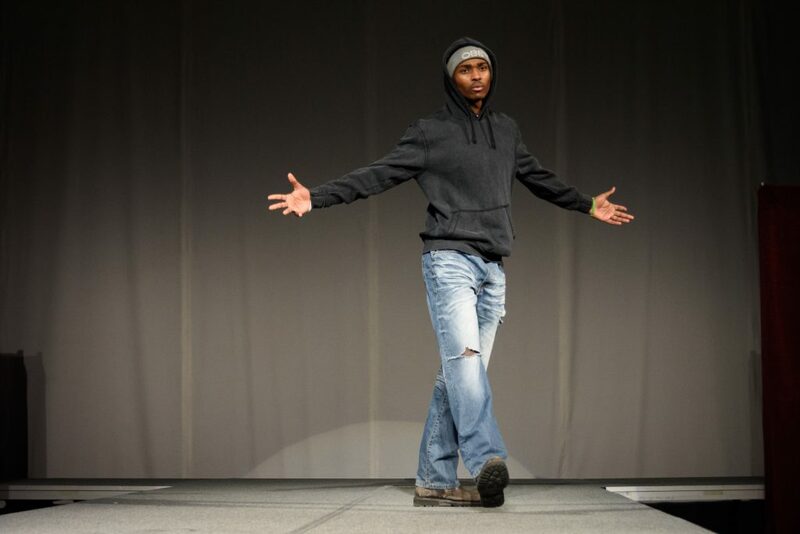 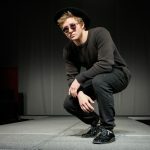 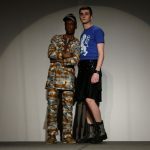 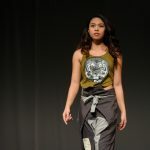 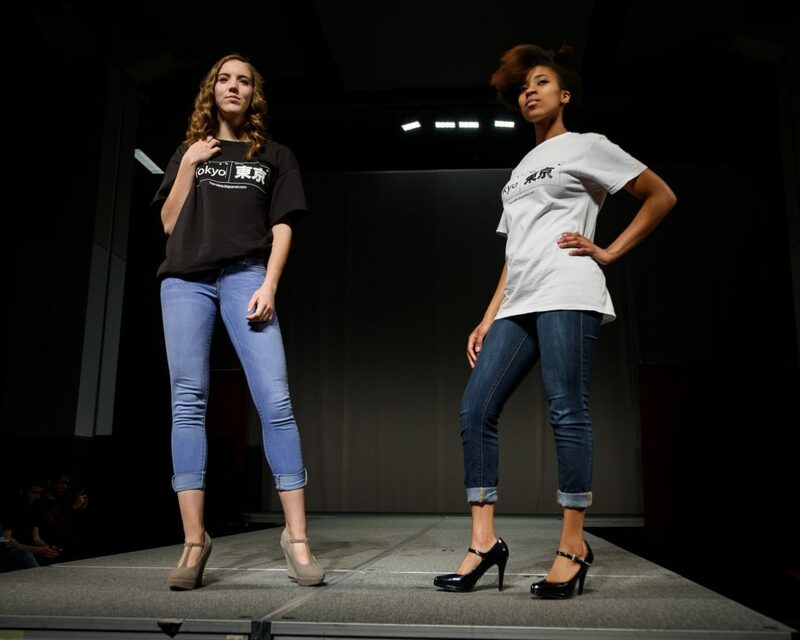 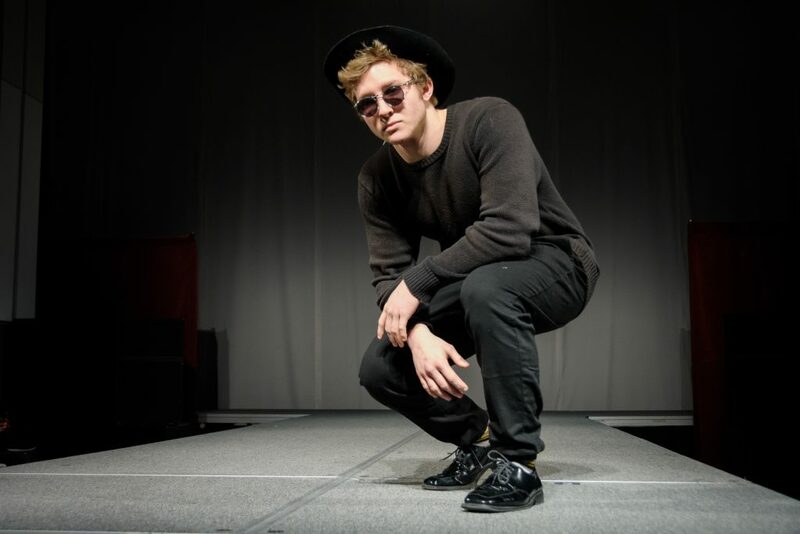 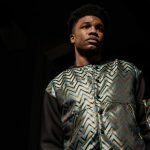 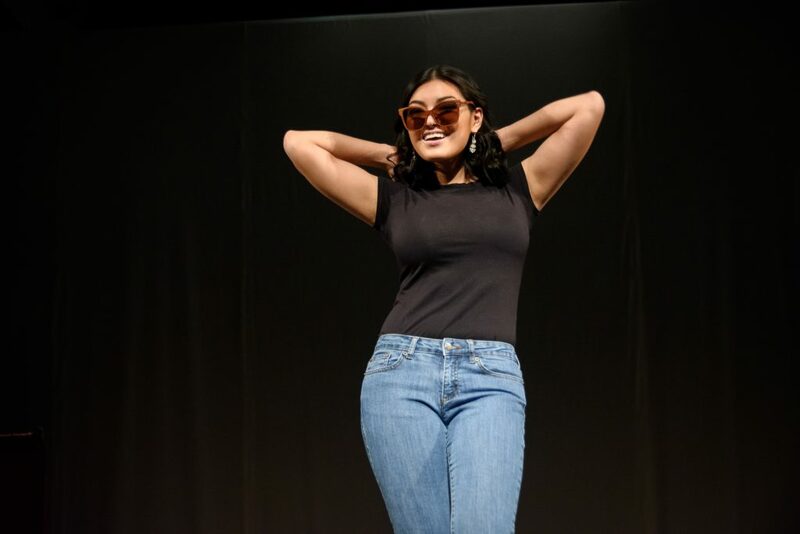 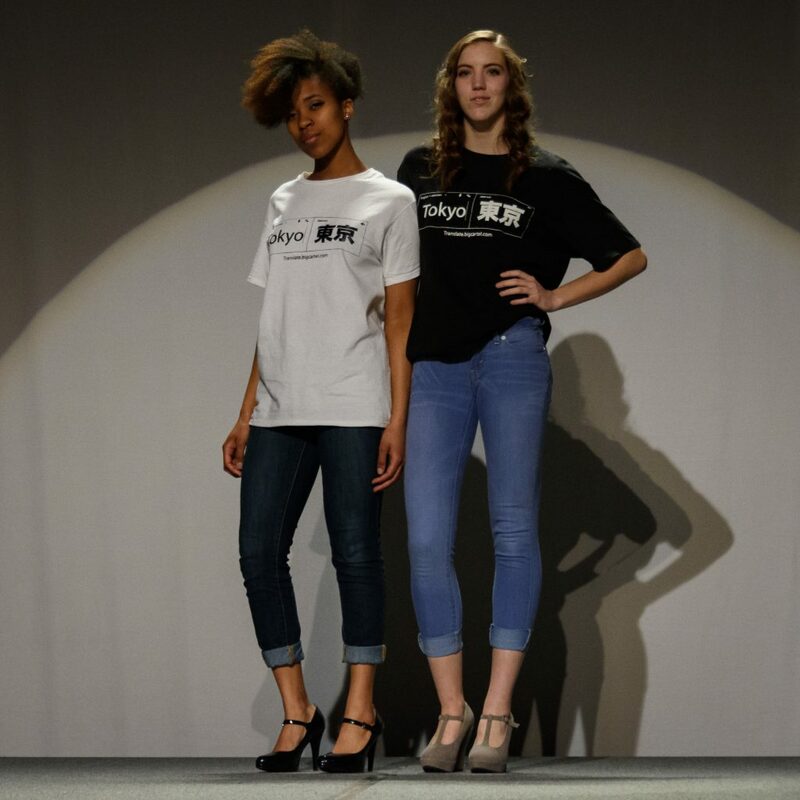 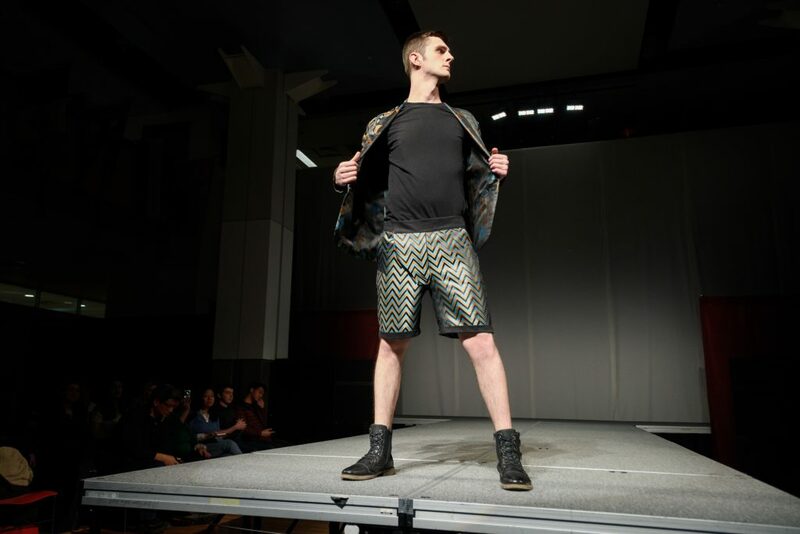 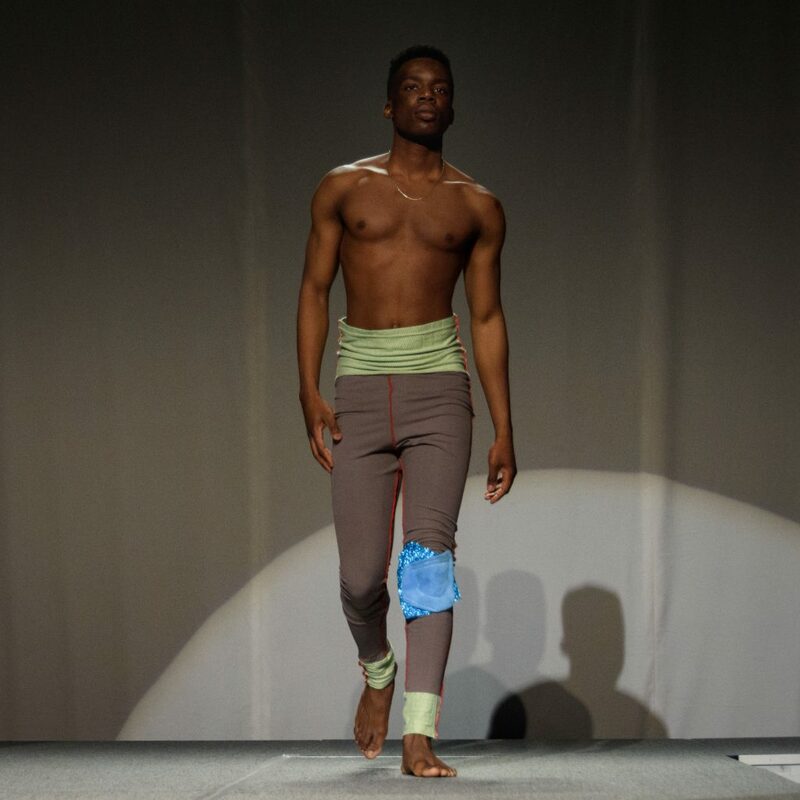 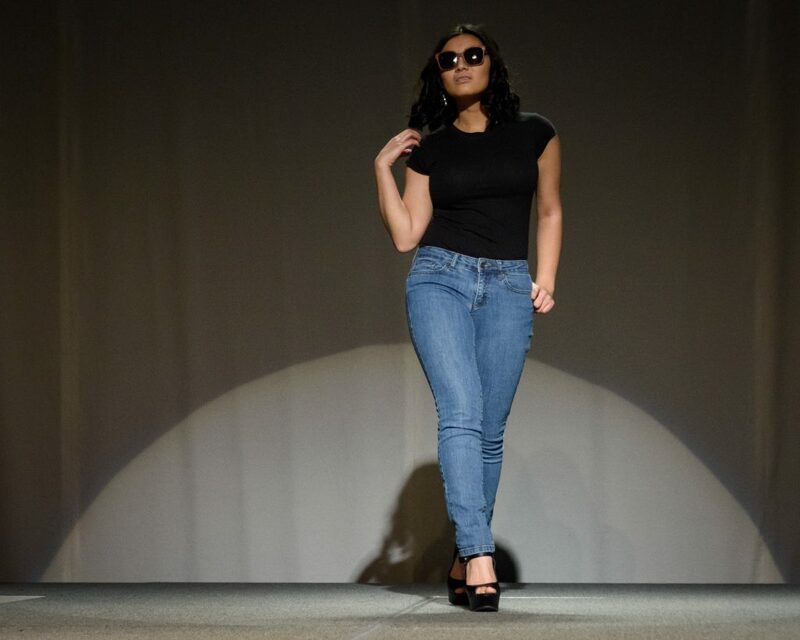 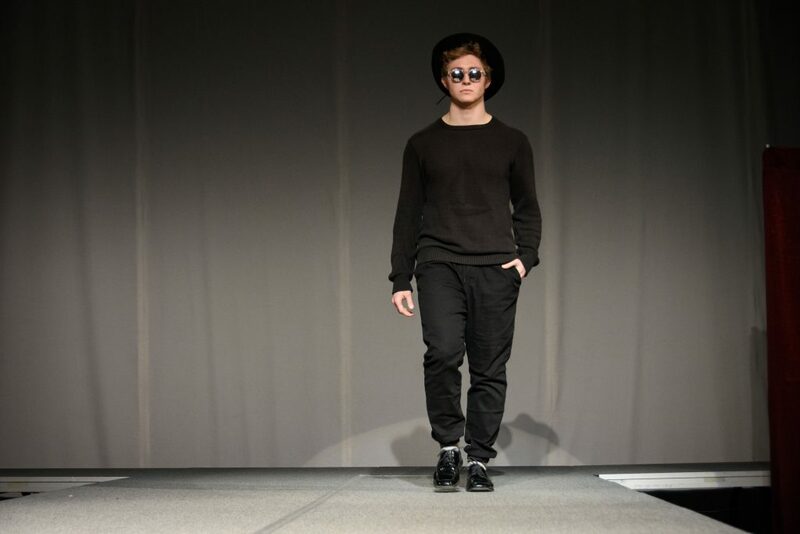 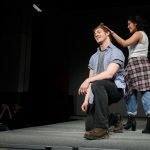 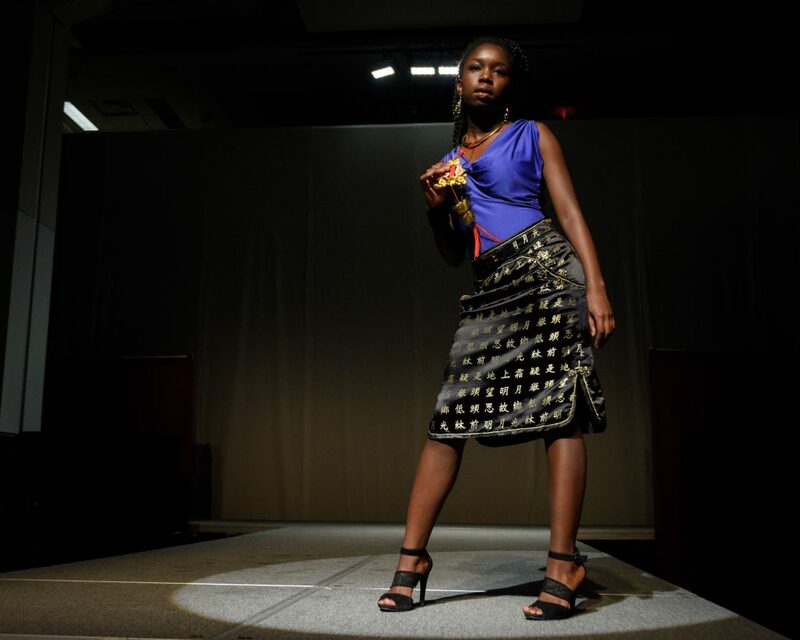 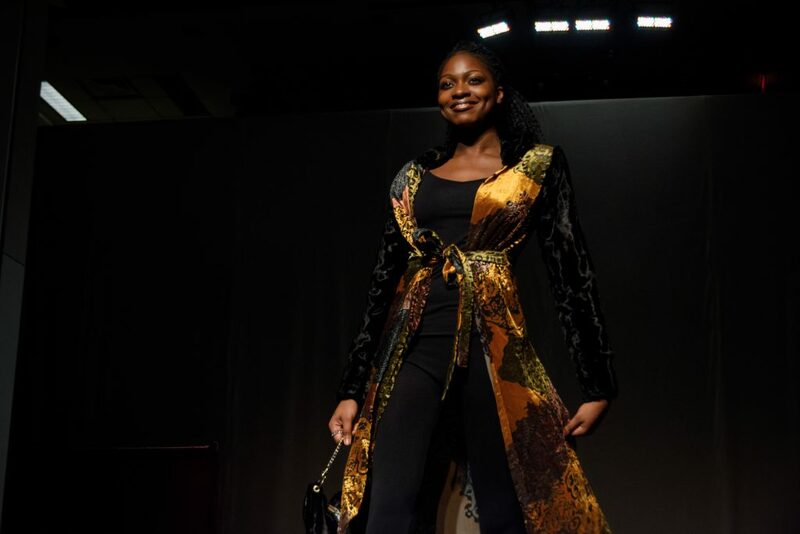 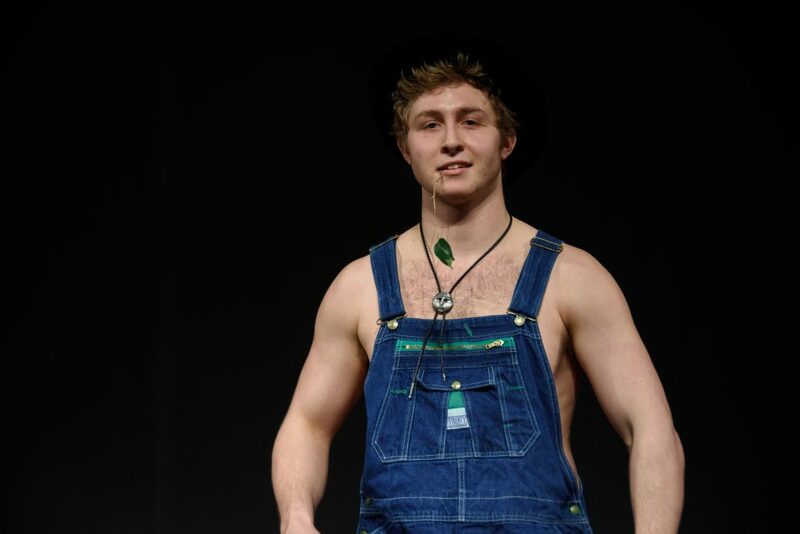 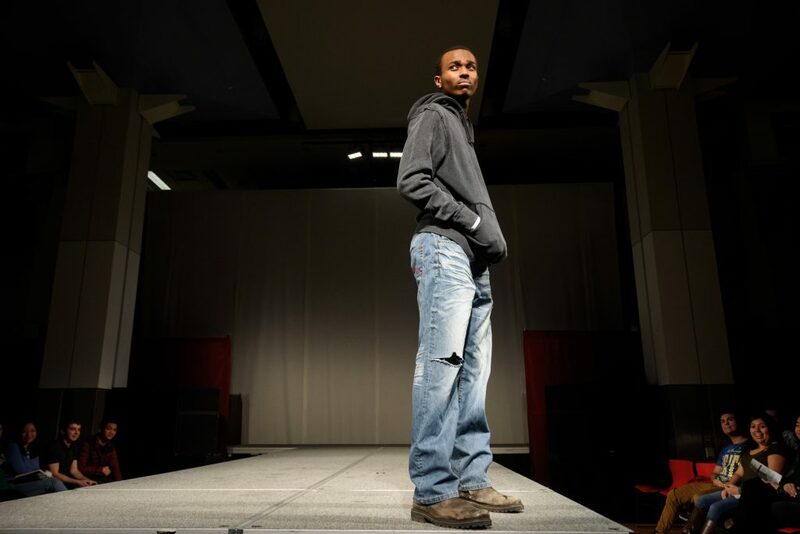 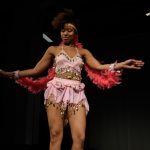 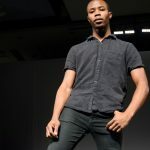 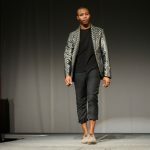 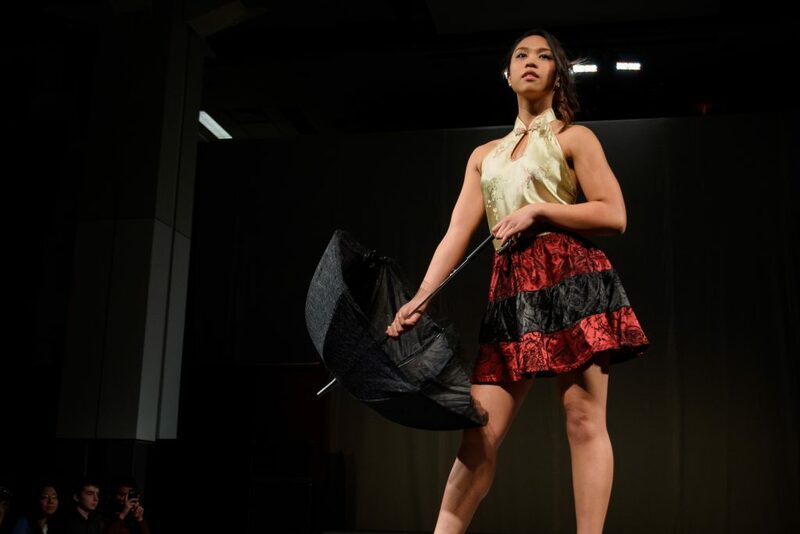 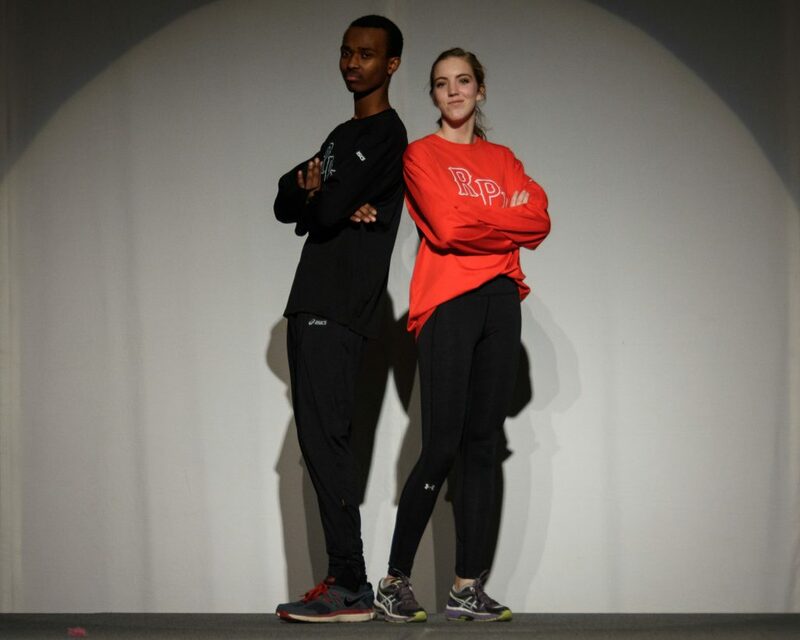 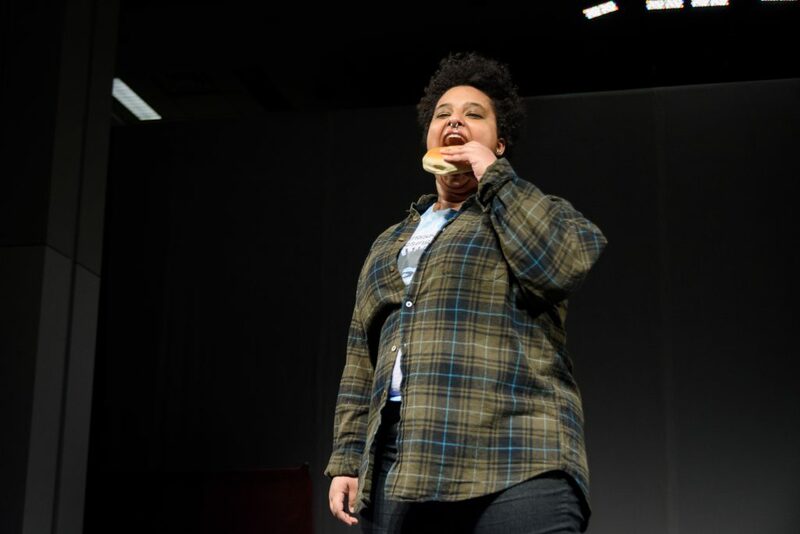 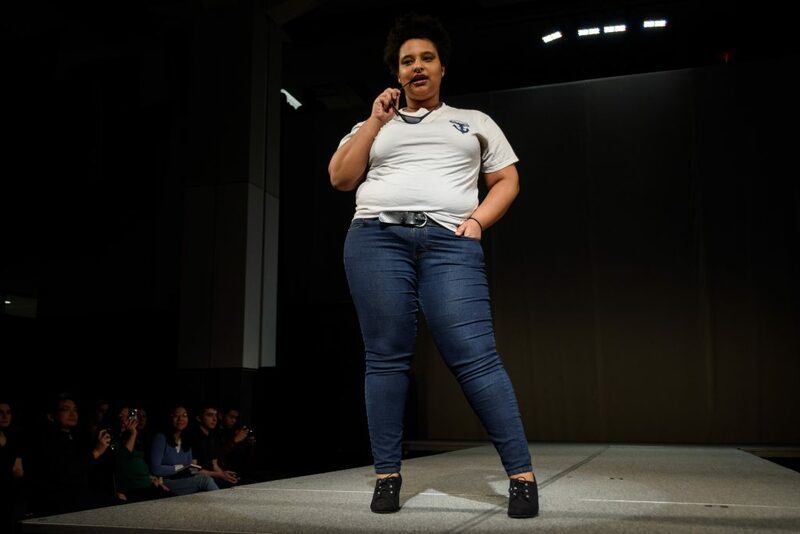 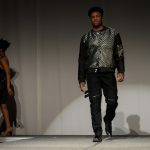 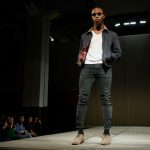 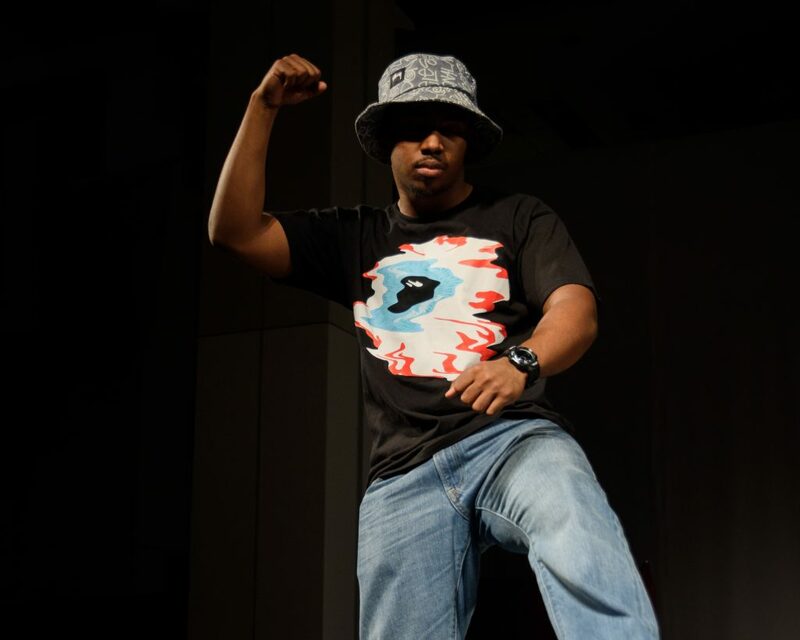 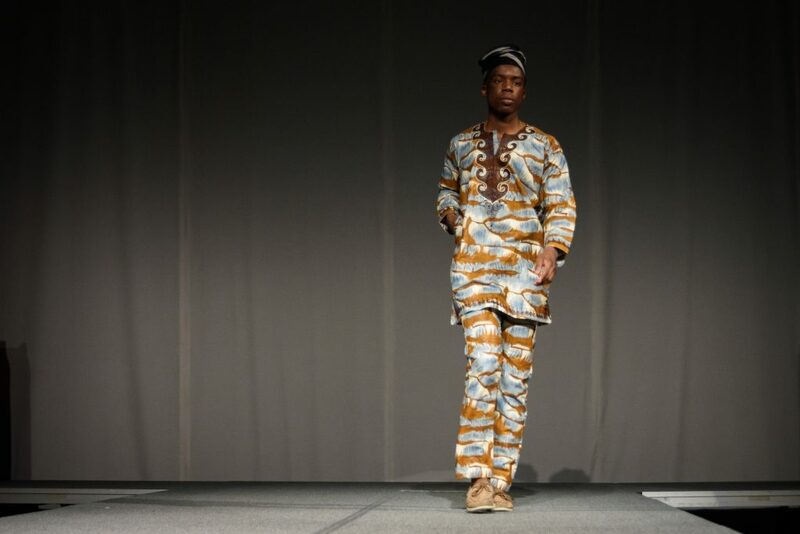 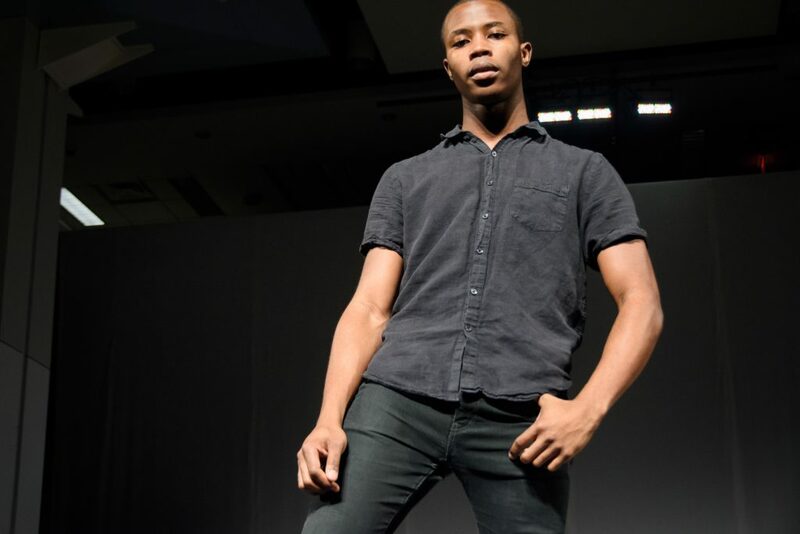 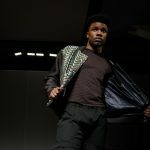 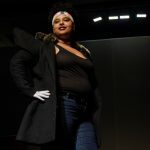 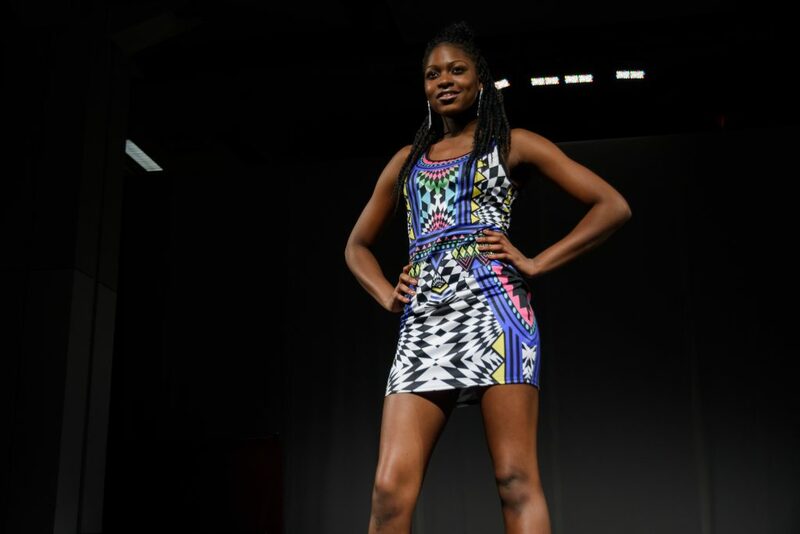 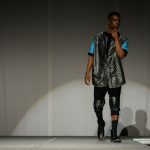 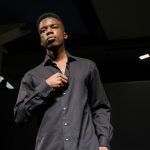 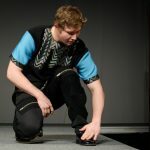 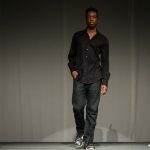 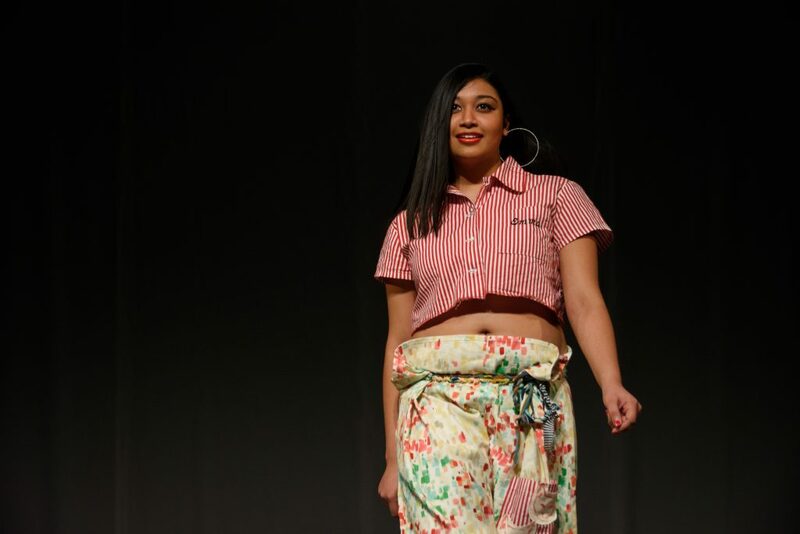 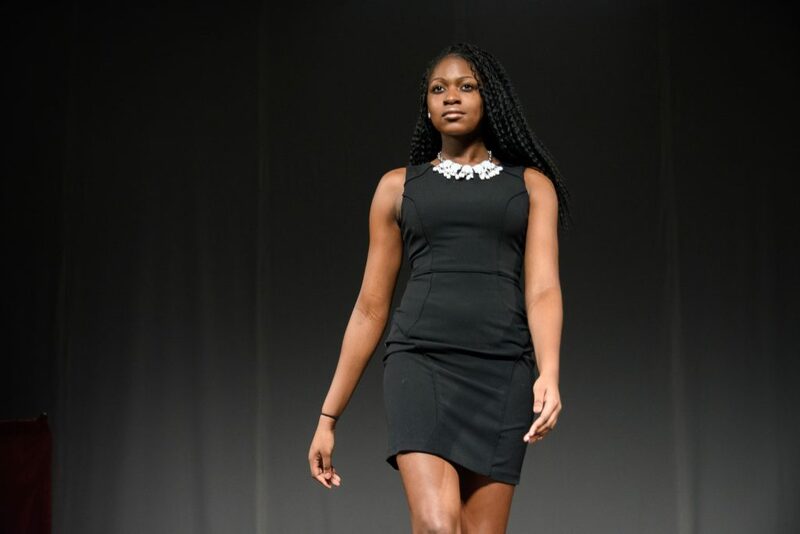 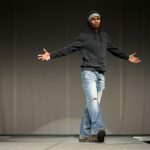 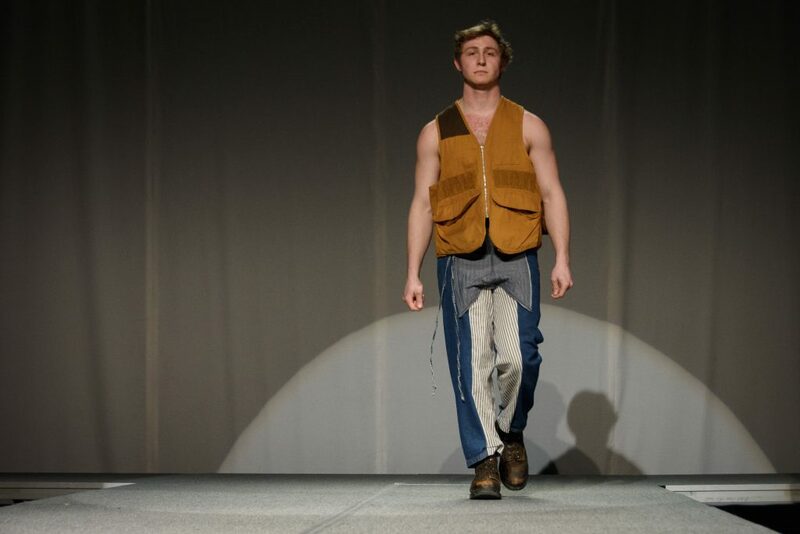 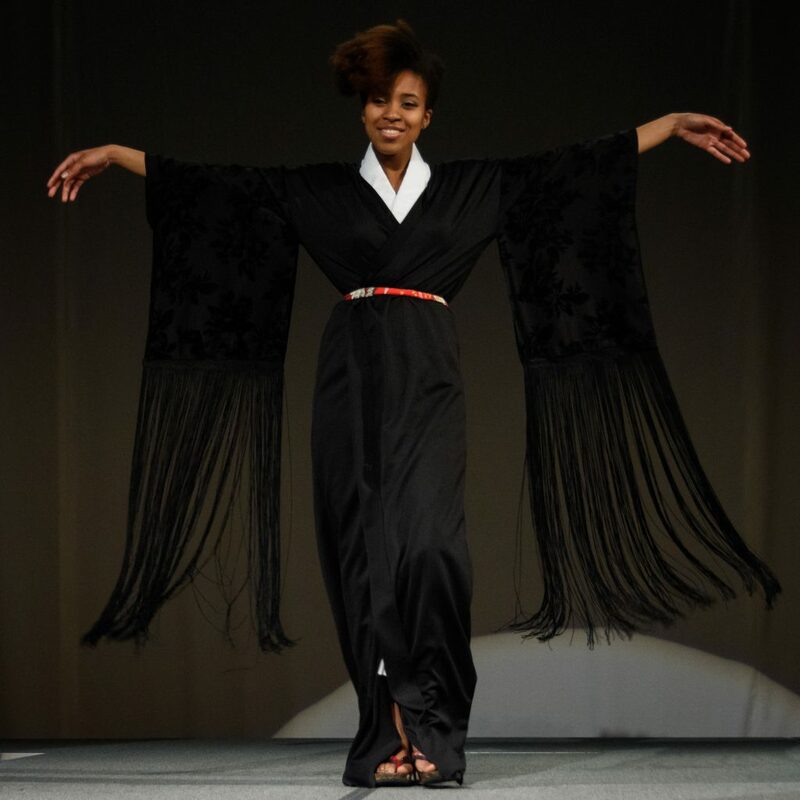 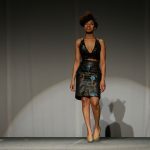 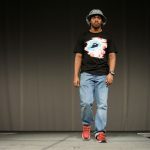 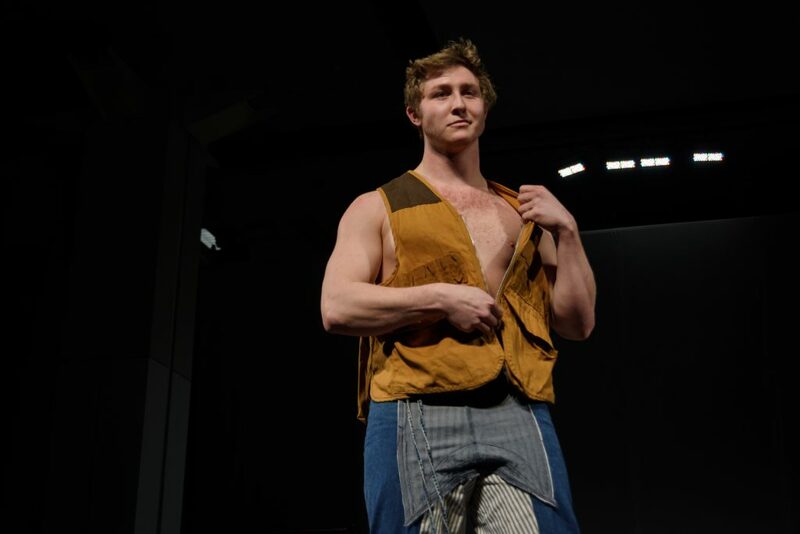 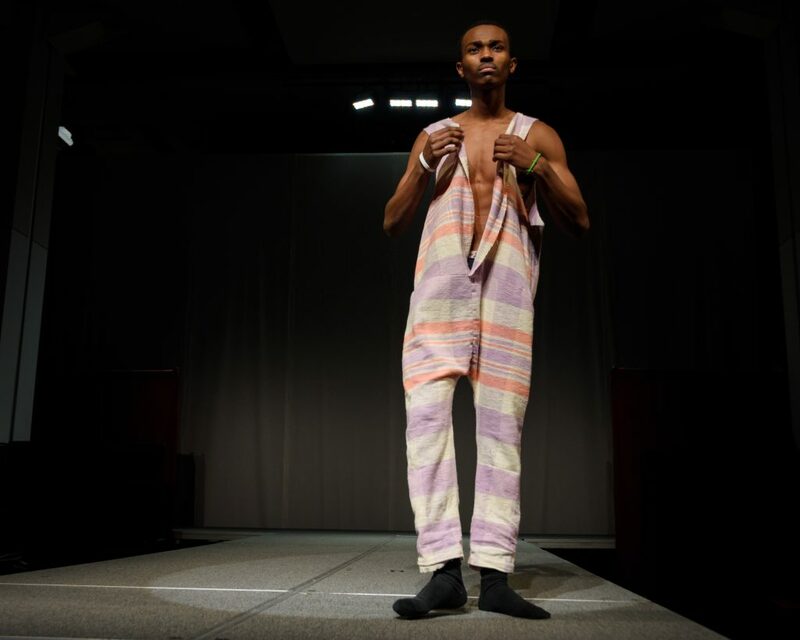 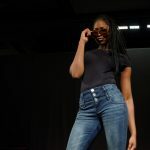 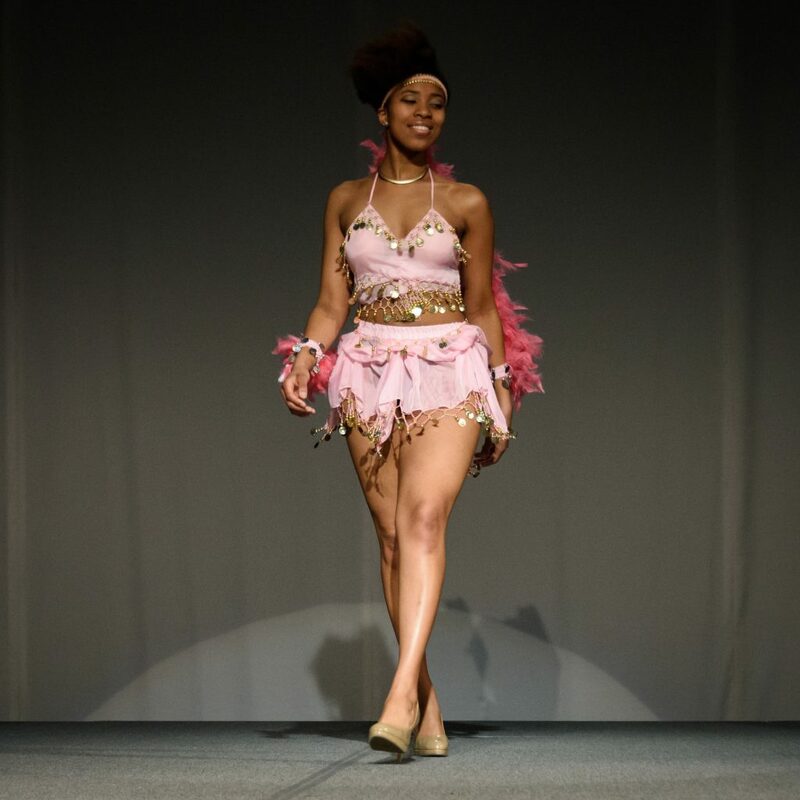 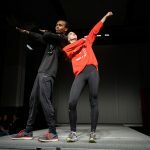 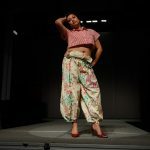 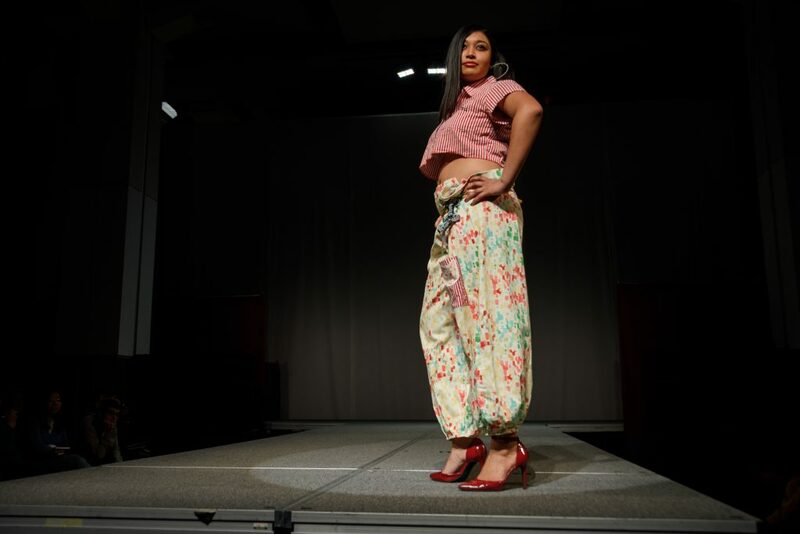 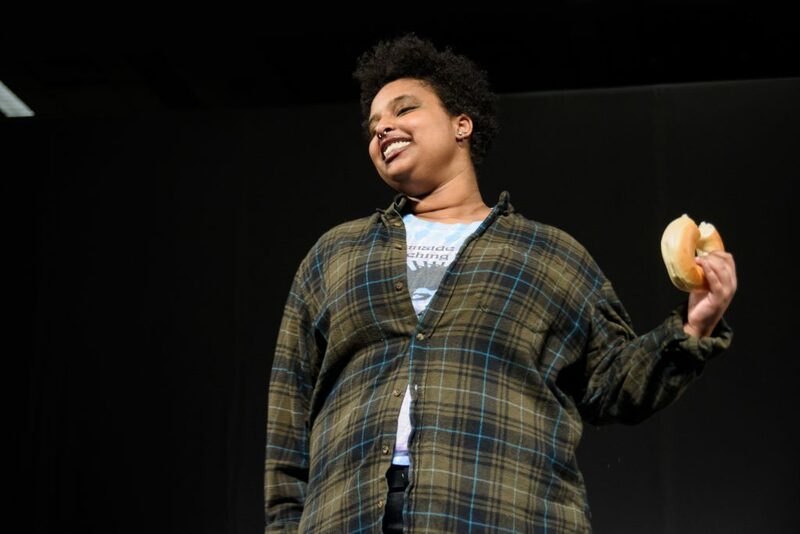 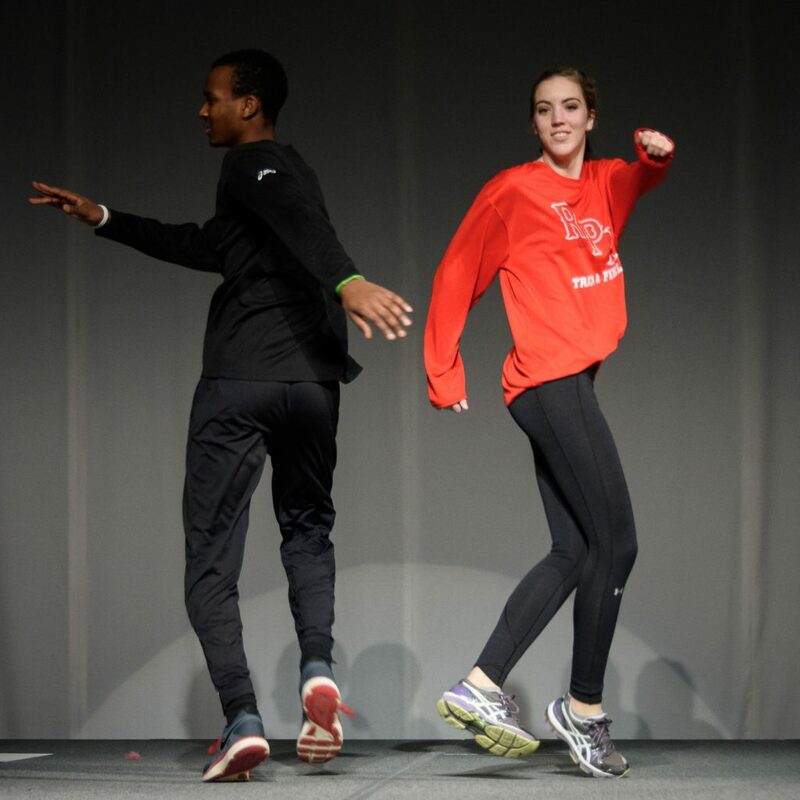 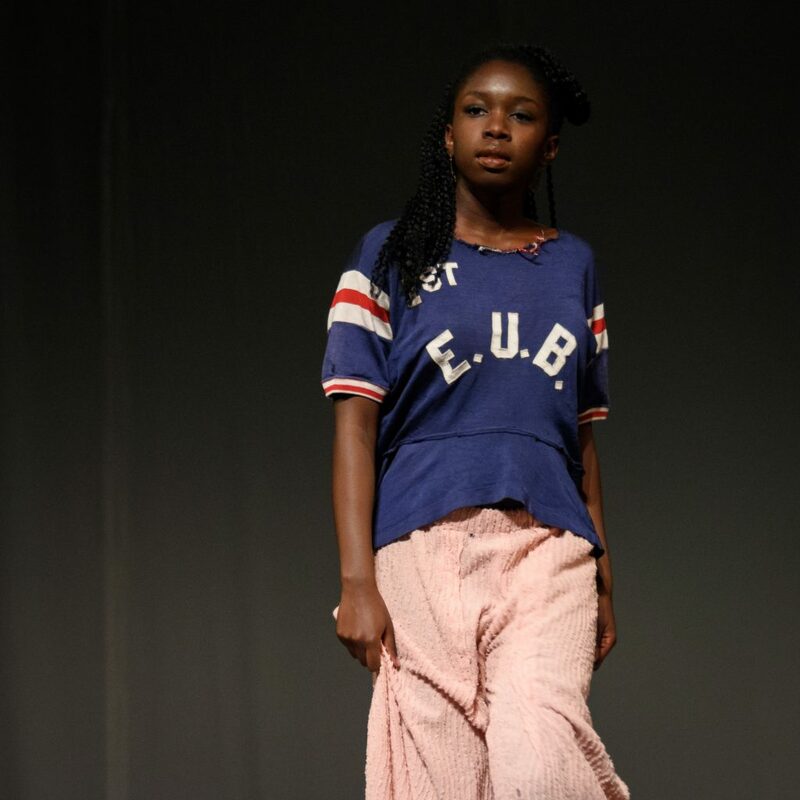 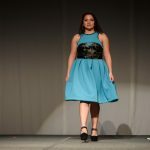 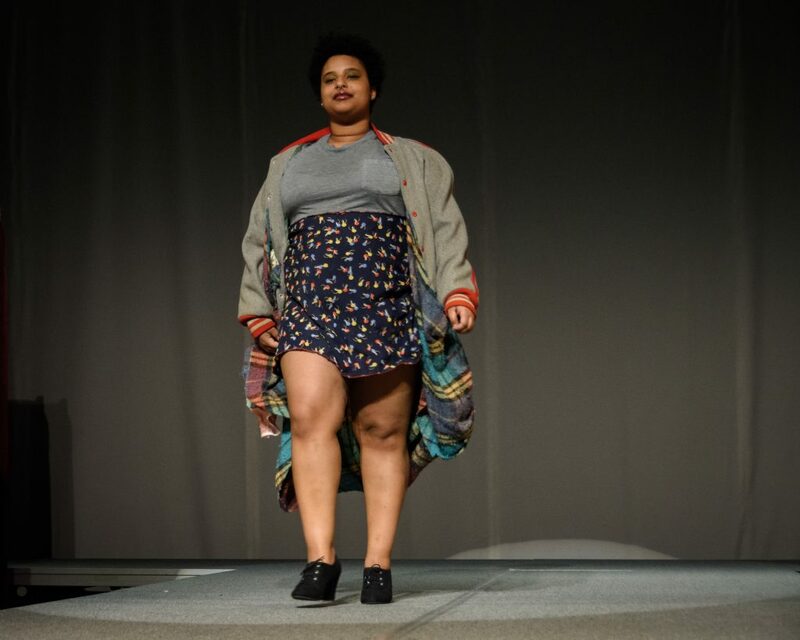 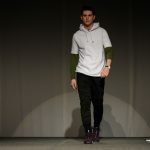 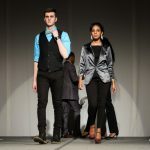 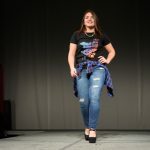 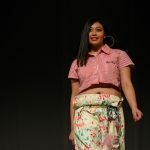 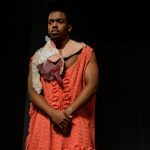 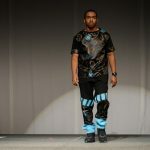 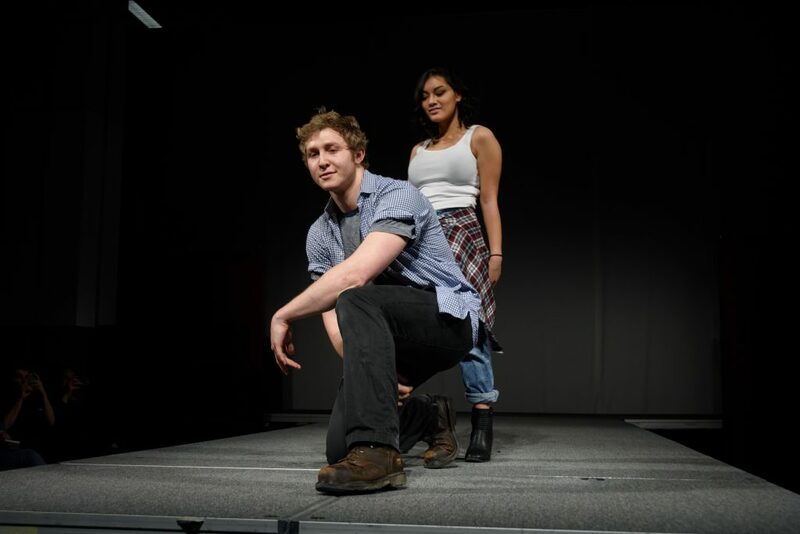 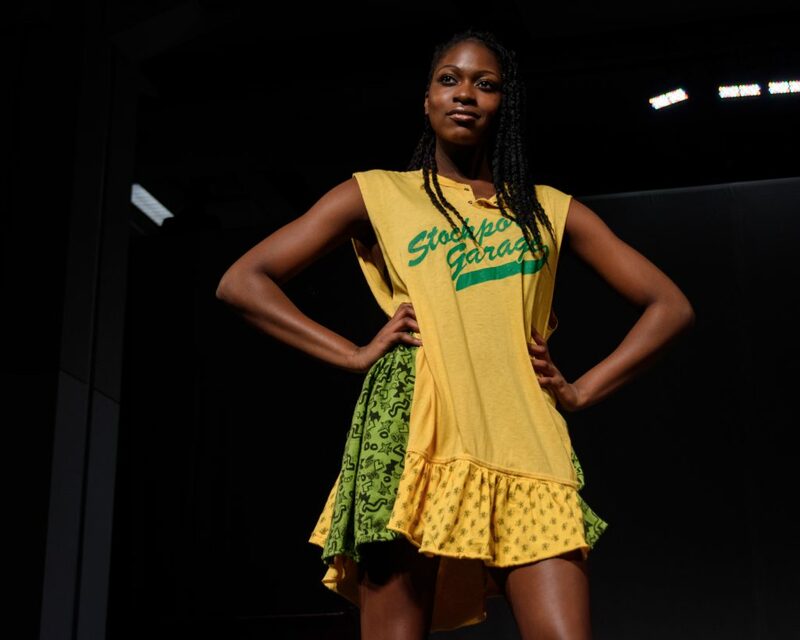 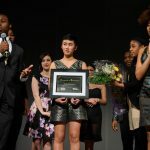 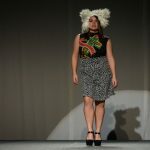 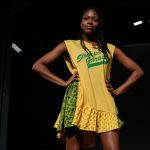 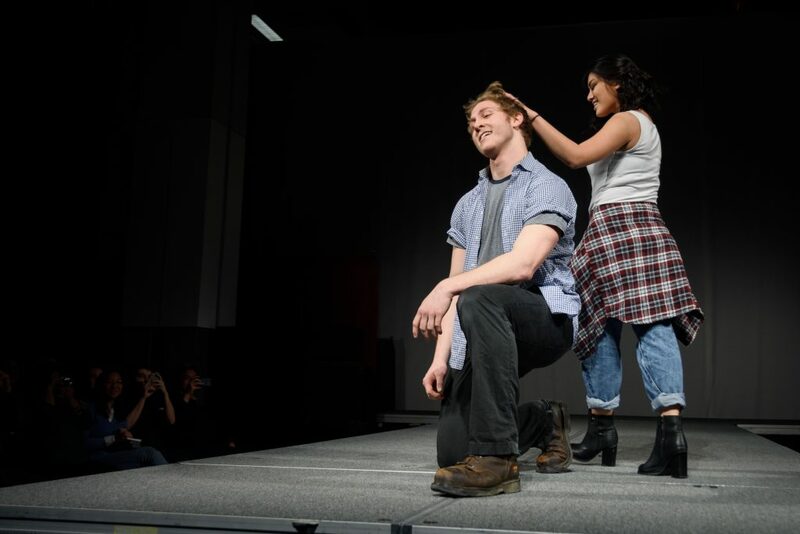 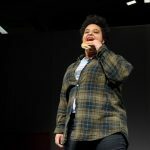 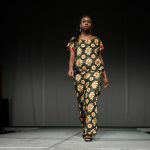 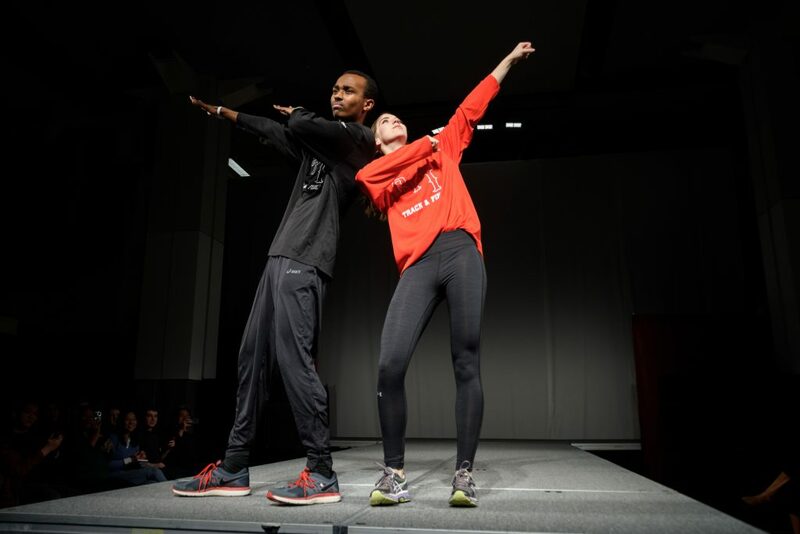 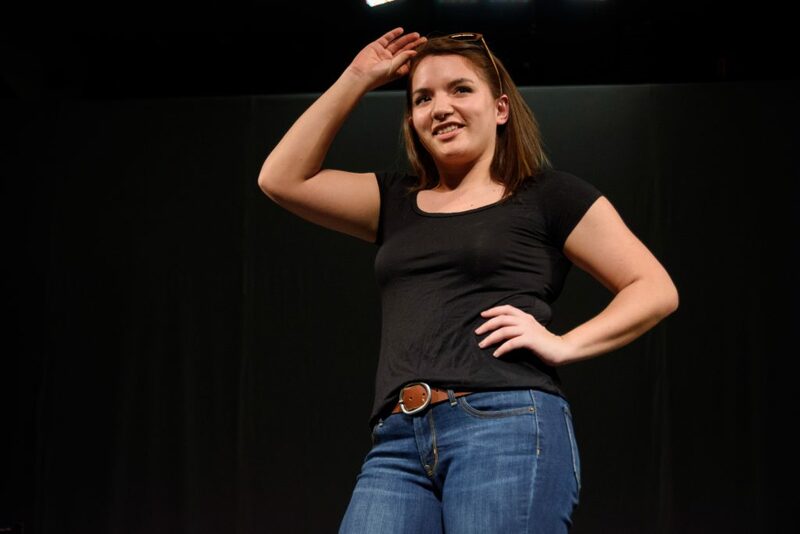 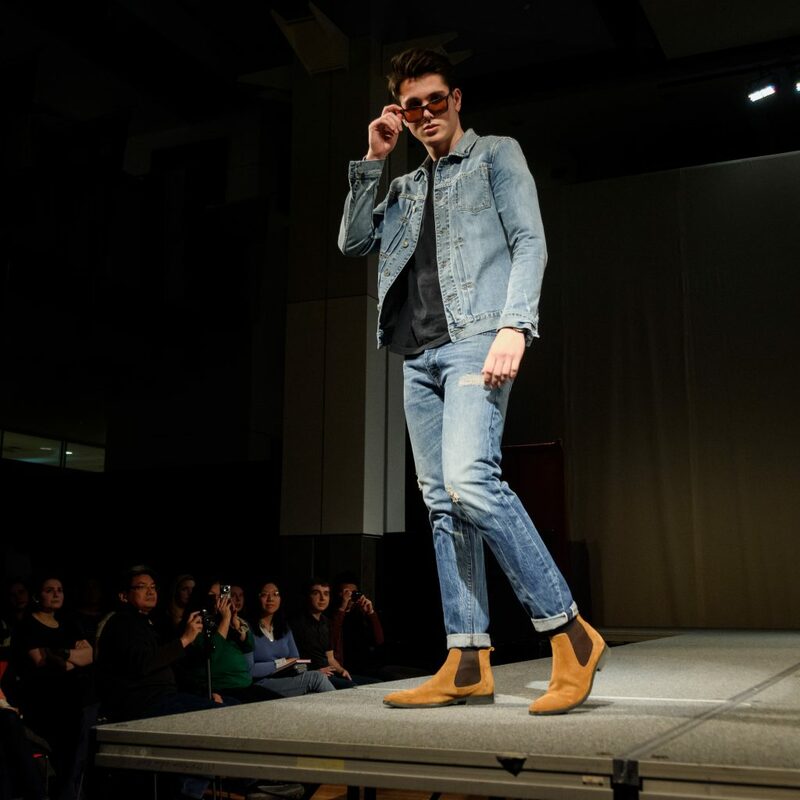 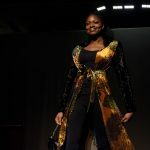 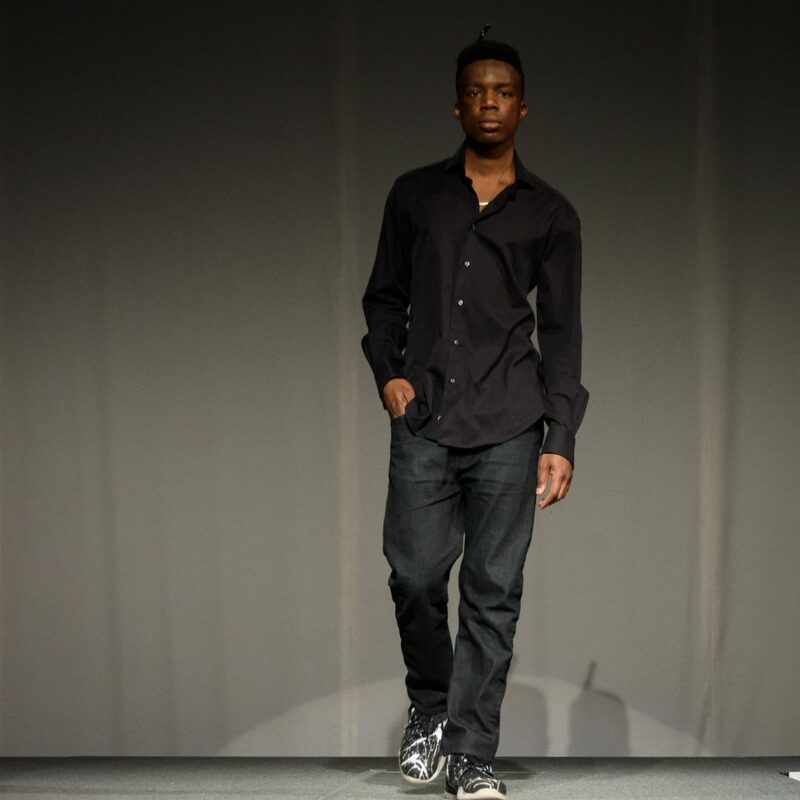 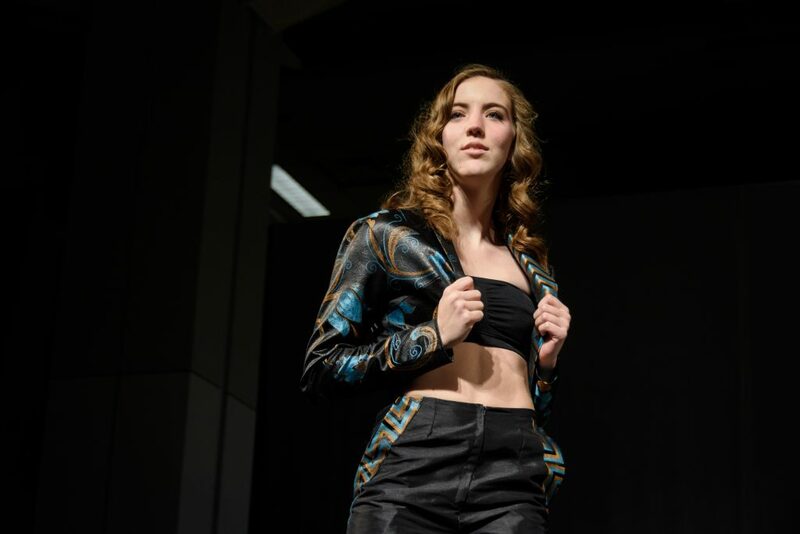 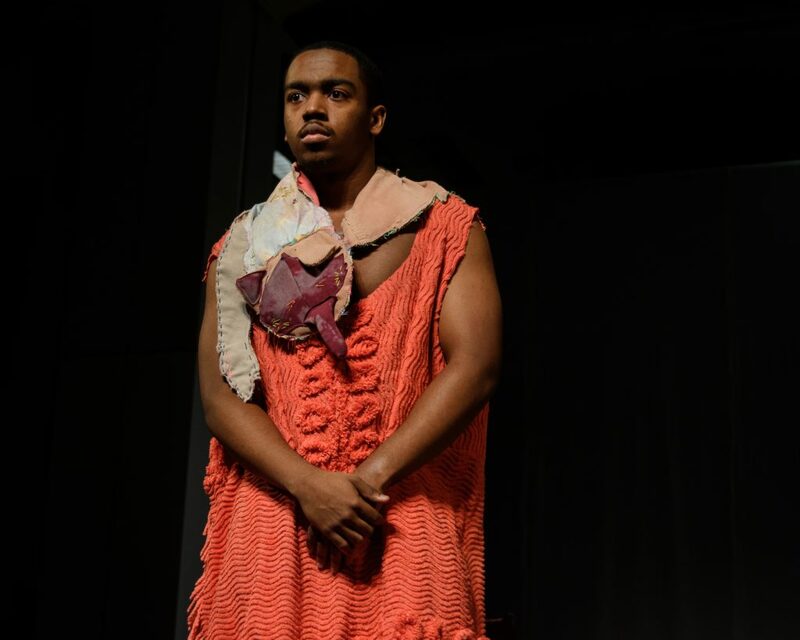 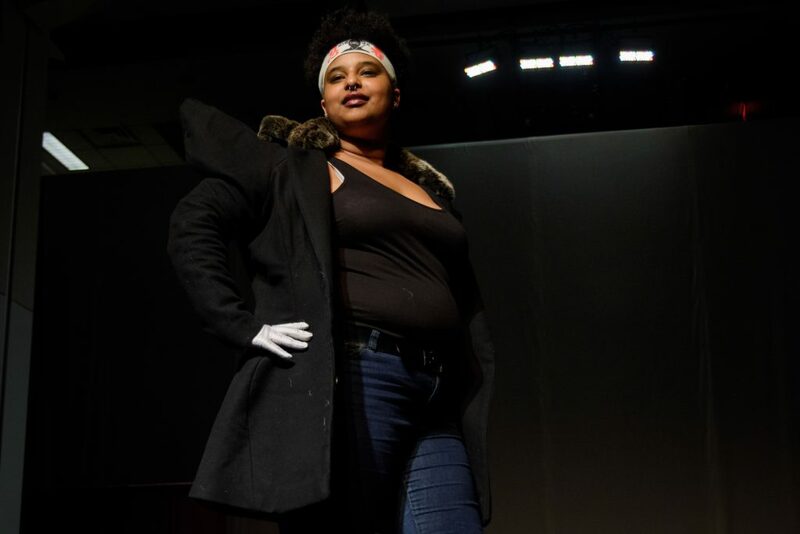 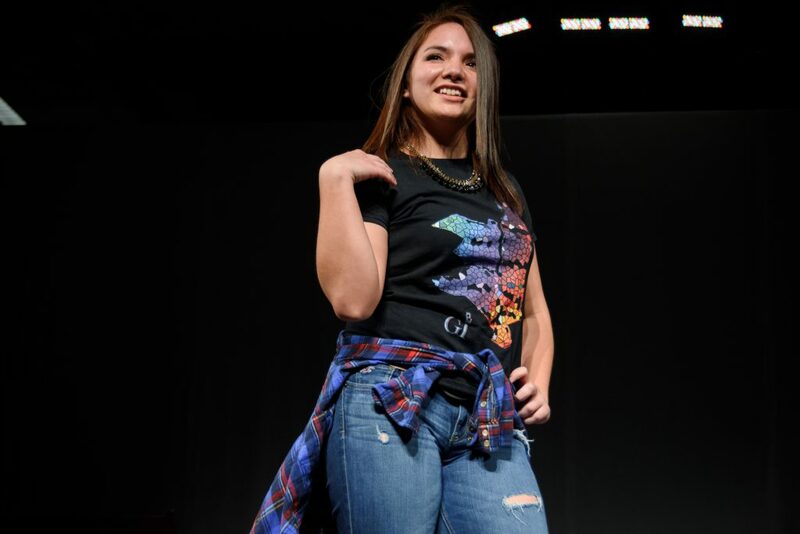 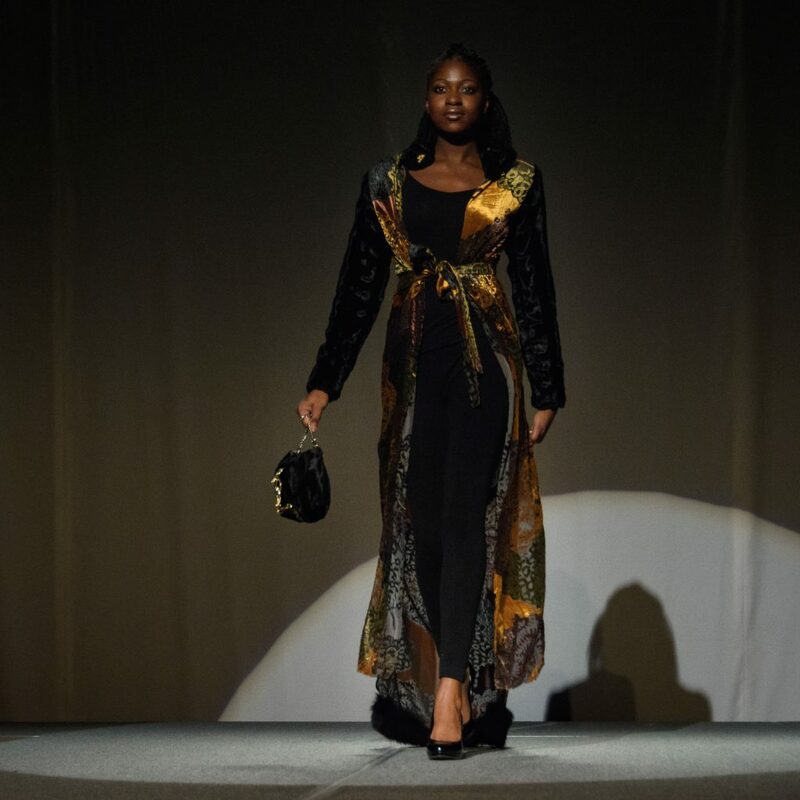 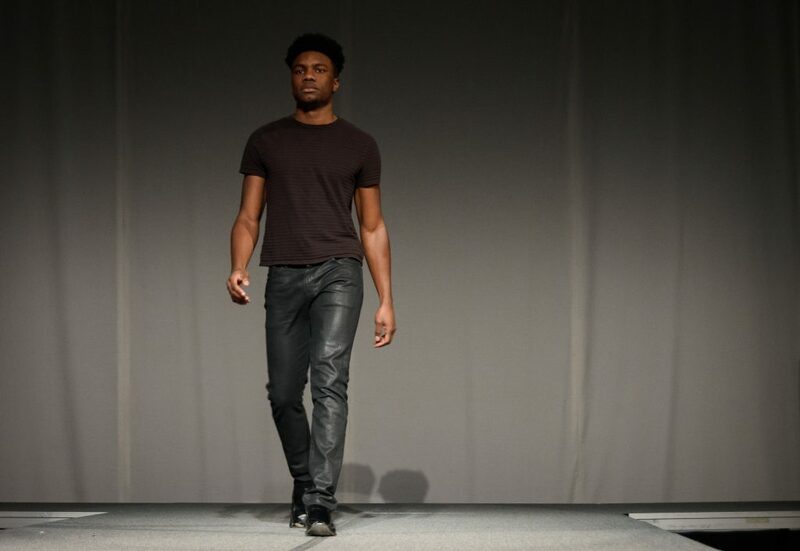 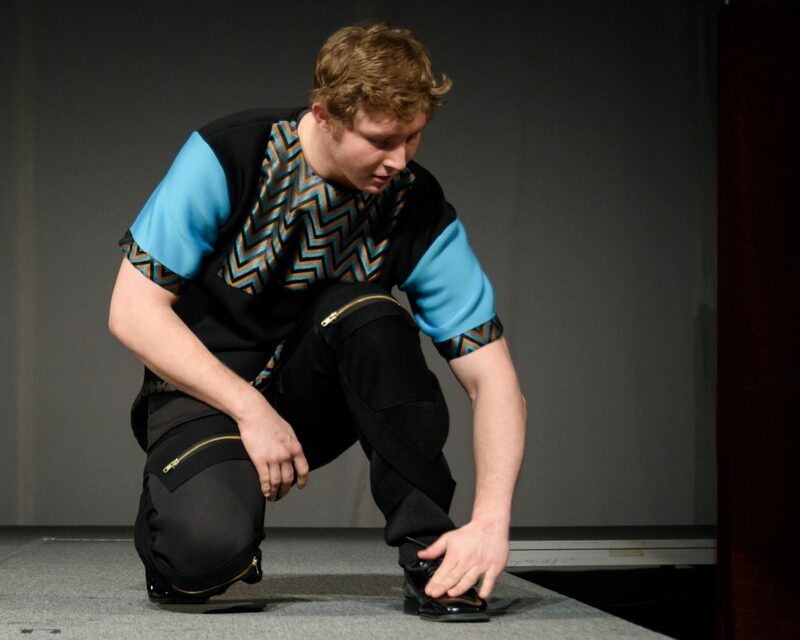 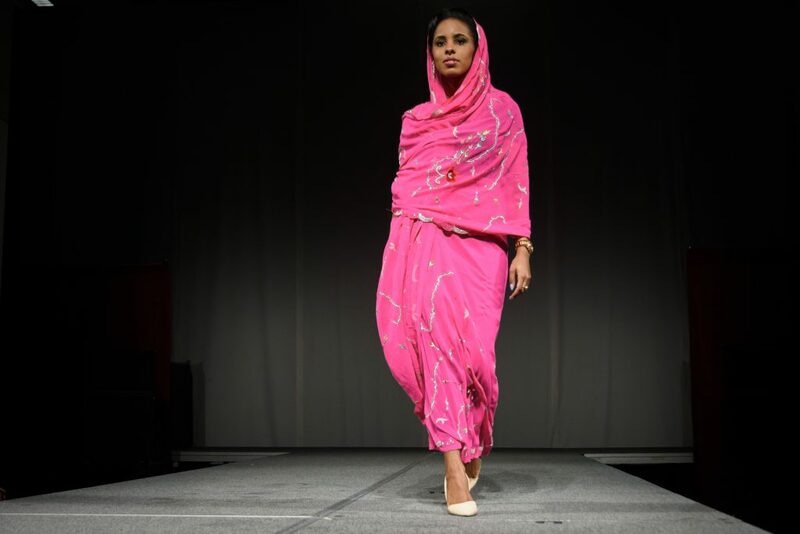 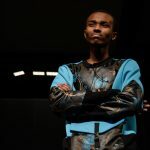 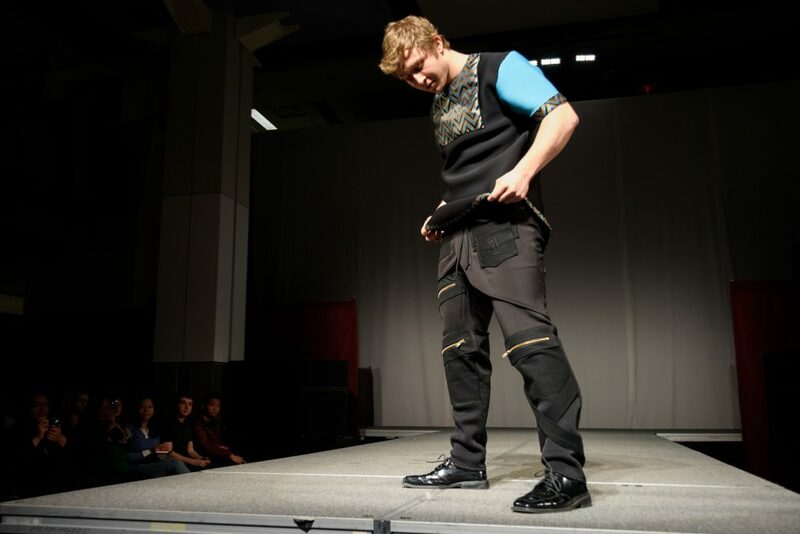 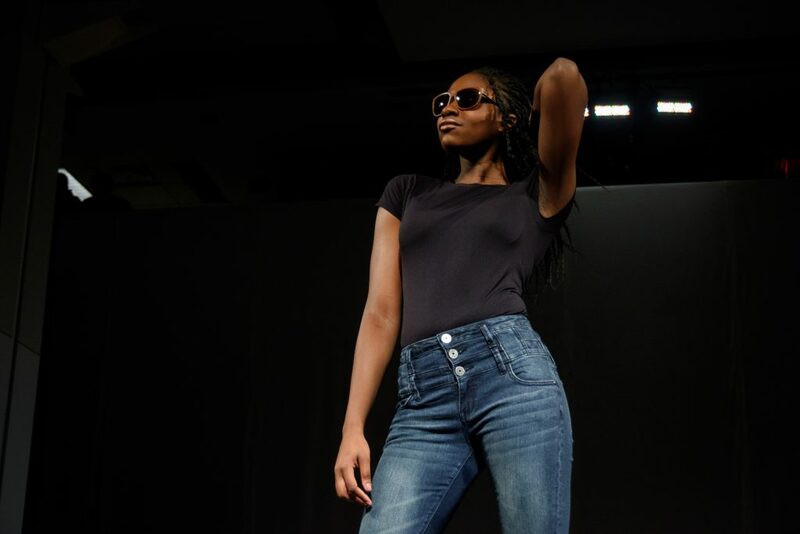 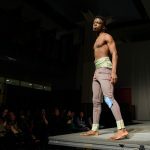 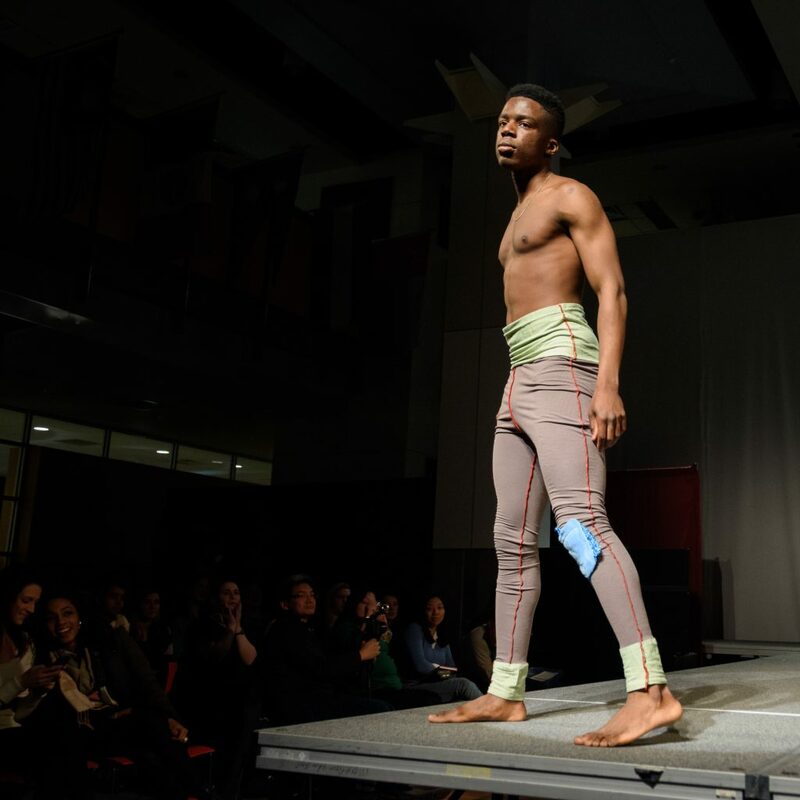 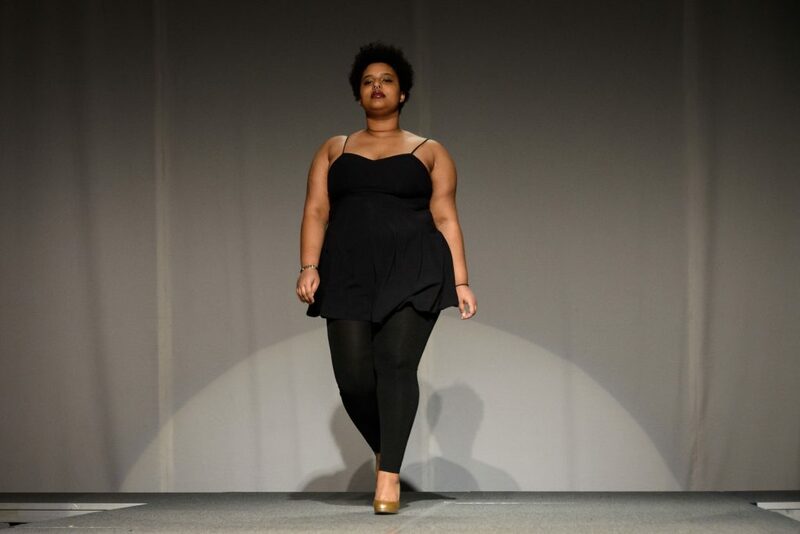 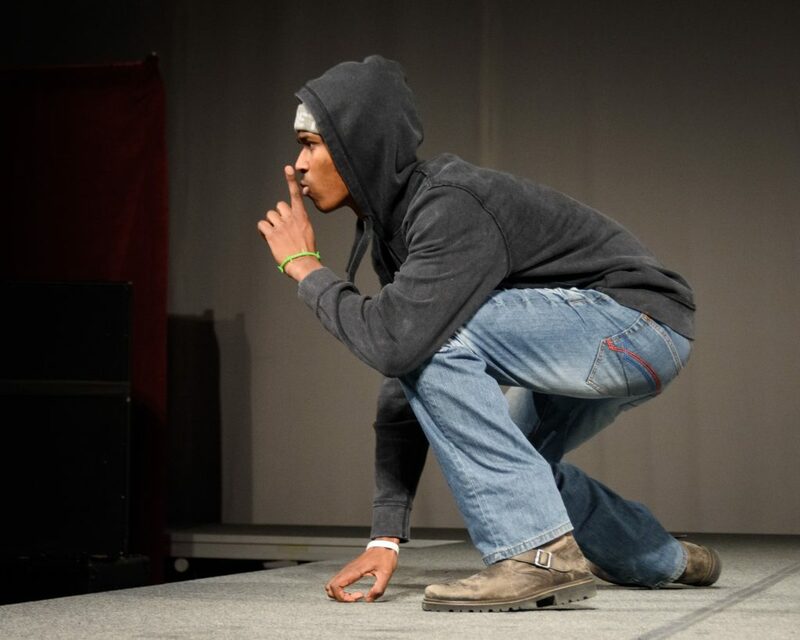 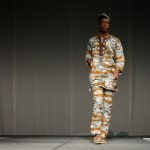 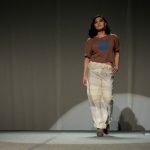 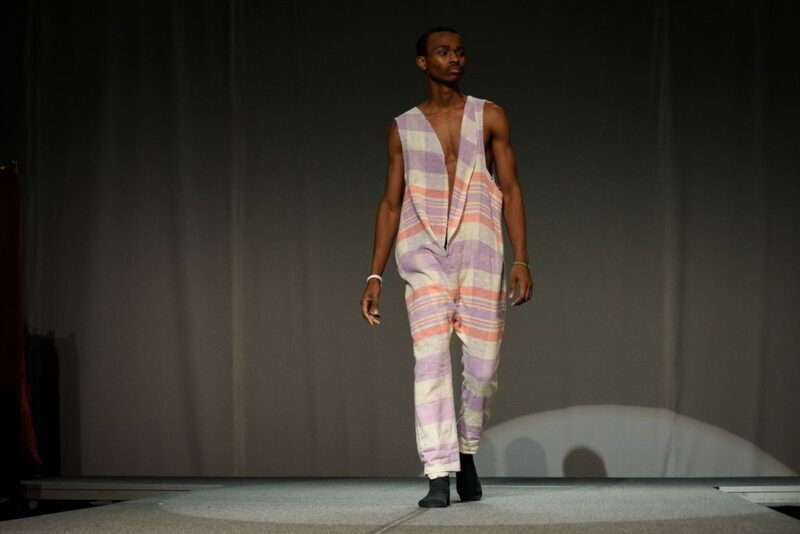 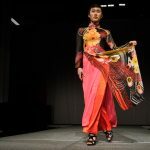 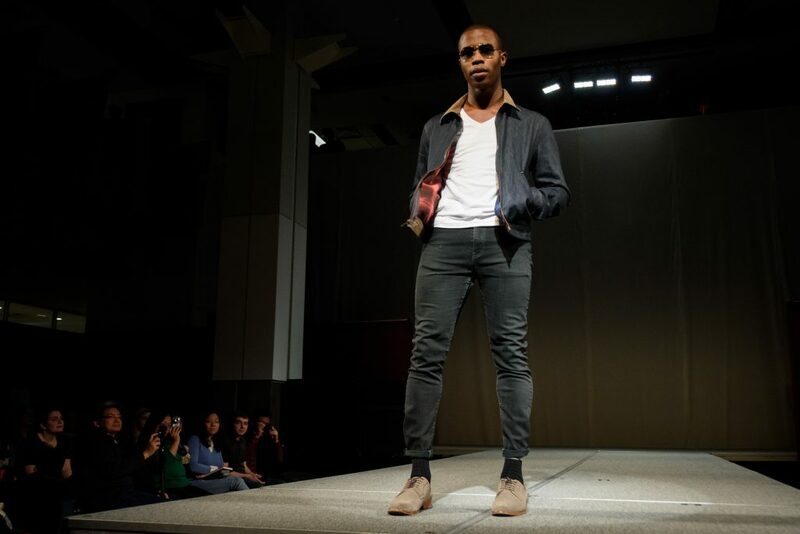 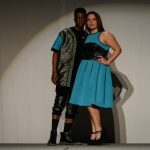 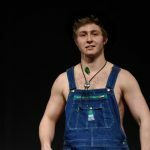 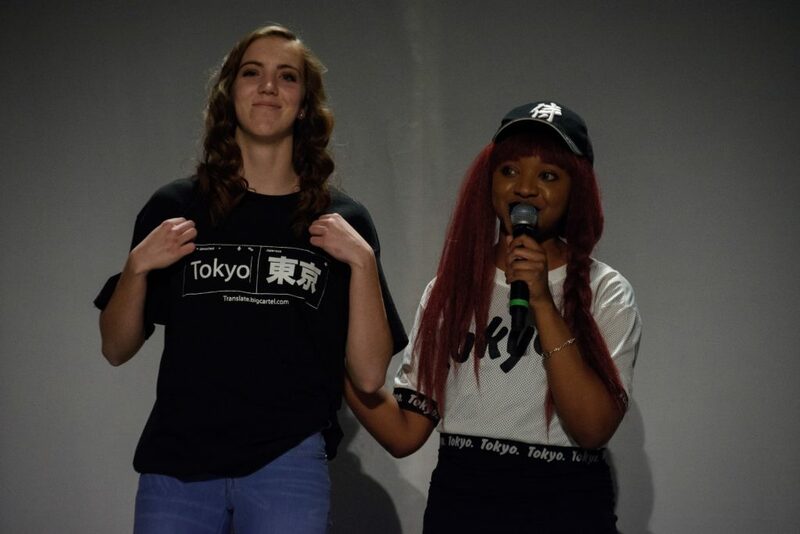 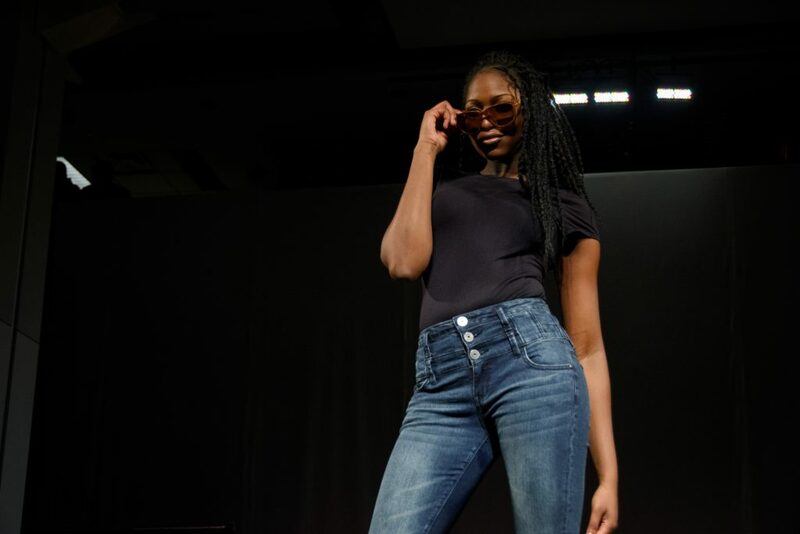 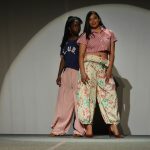 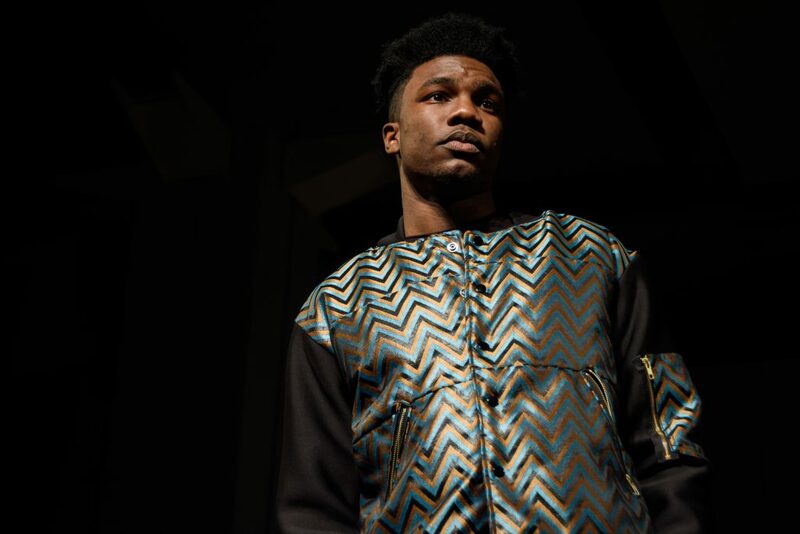 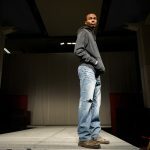 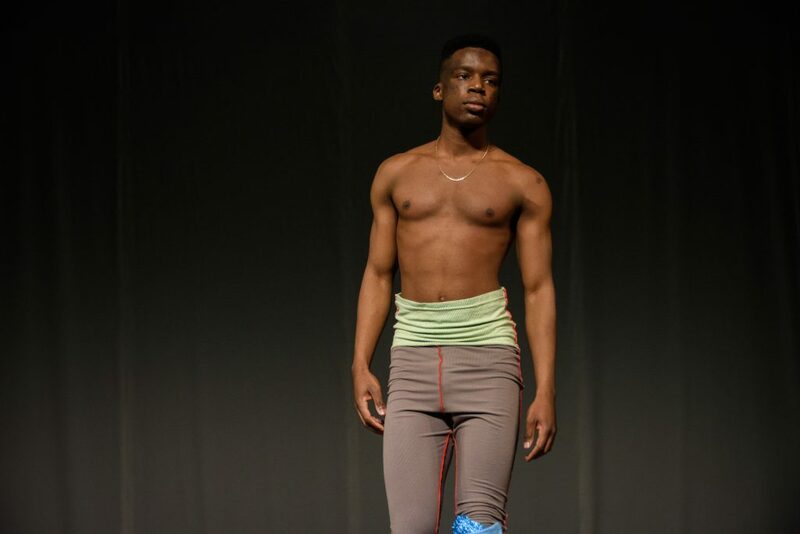 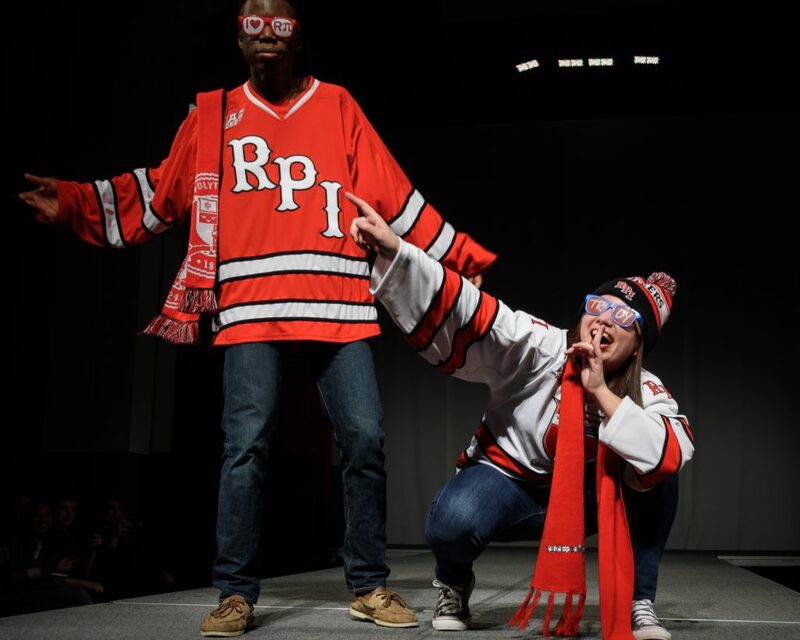 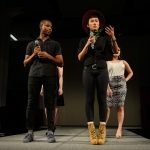 The event, which is held each February to celebrate Black History Month, provides participating students with the opportunity to express themselves through a means that is not commonly celebrated in the RPI community: fashion. 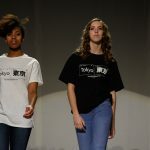 The show opened with welcoming remarks from members of the planning committee for the show, followed by a video presentation. 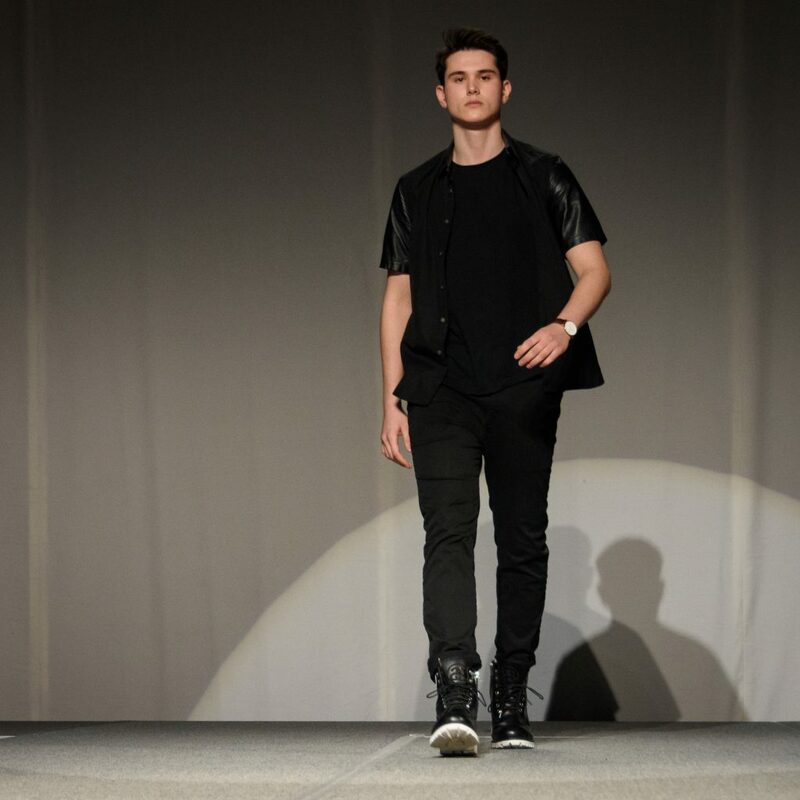 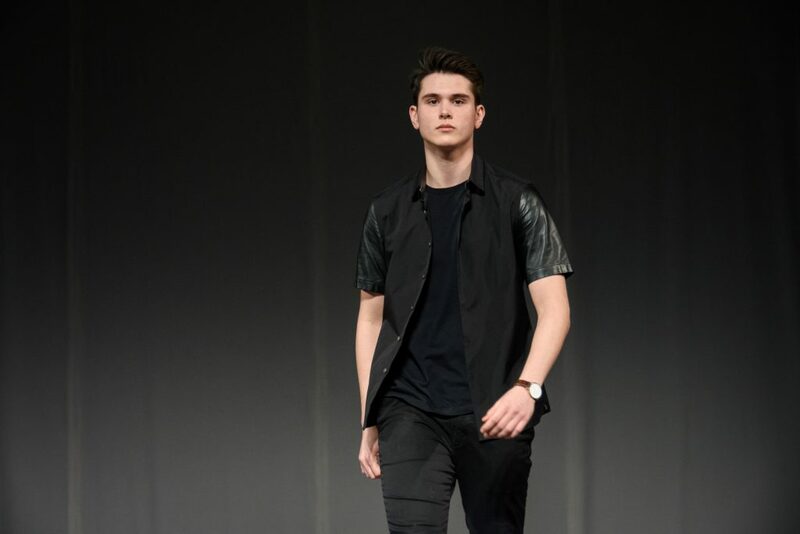 The first line, which the announcer described as “black is the new black,” featured outfits consisting of black clothing items to form chic styles. 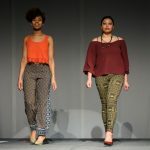 These outfits were definitely well-composed, since I could definitely picture people wearing them in a variety of settings, most prominently cocktail parties. 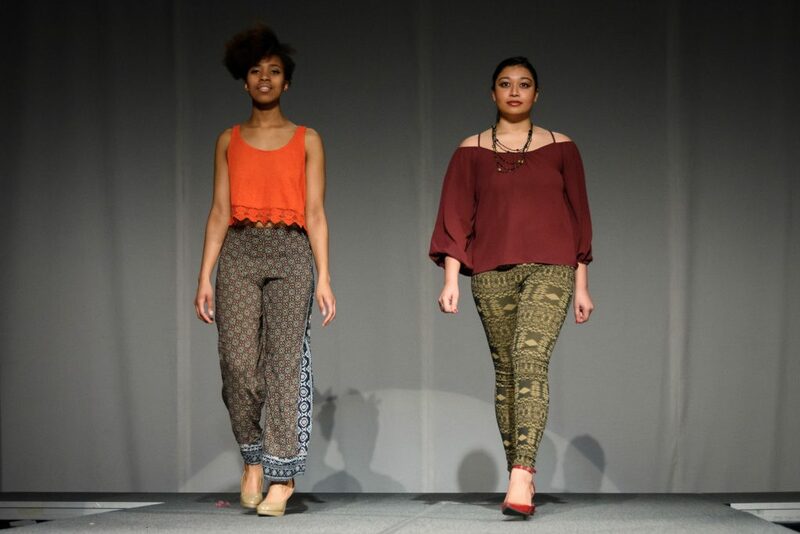 The second line featured styles created by designer Laura Andrighetti. 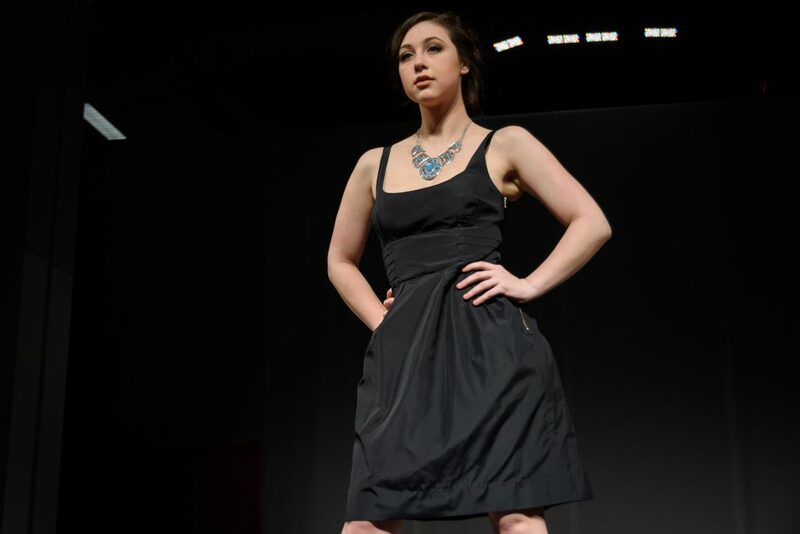 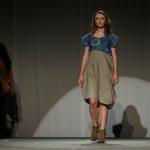 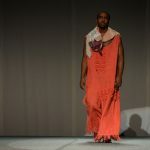 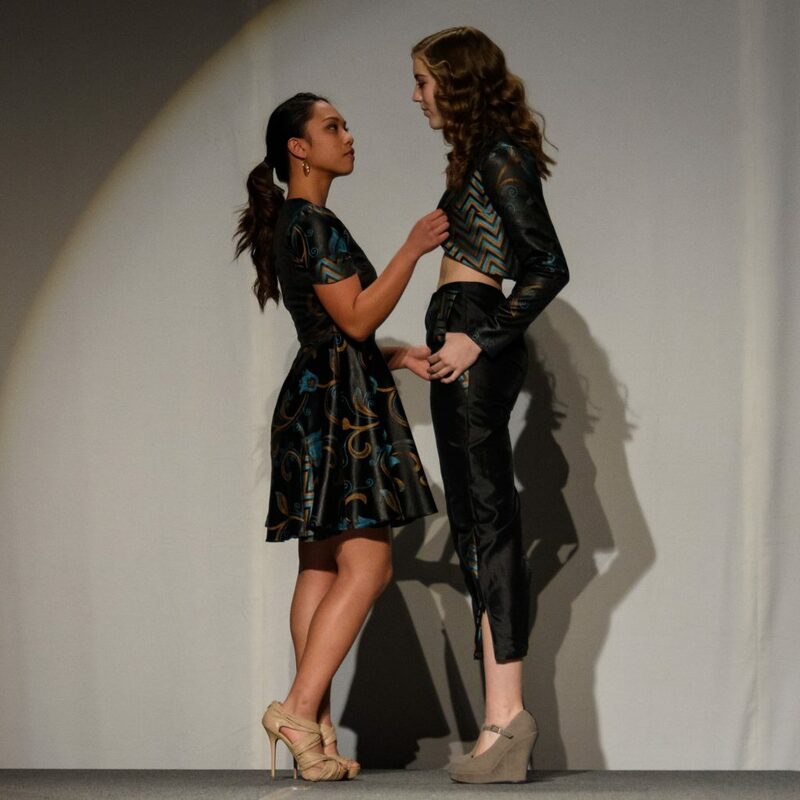 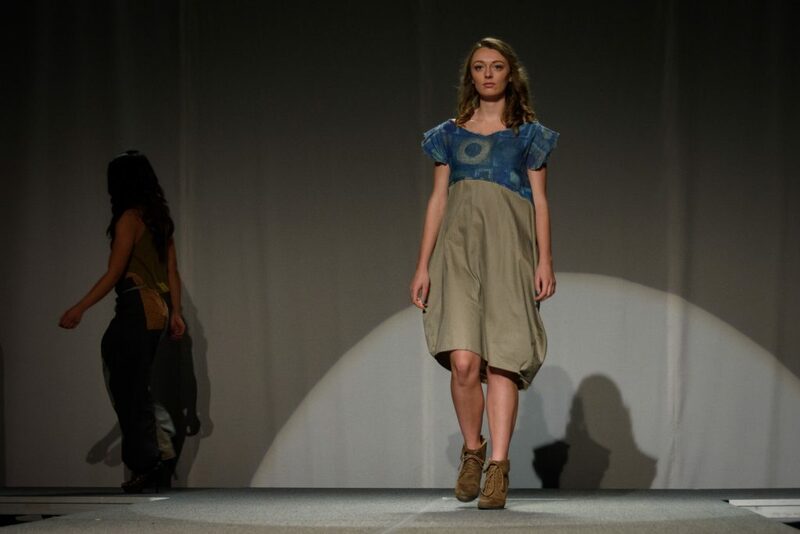 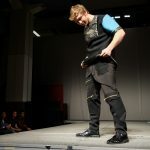 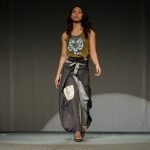 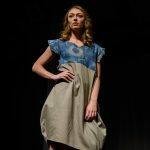 The outfits were created by reusing and repurposing fabrics into creative styles. 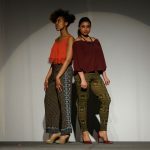 The outfits had a vintage look that featured bold patterns and muted colors that, I believe, were the most unique seen at the show. 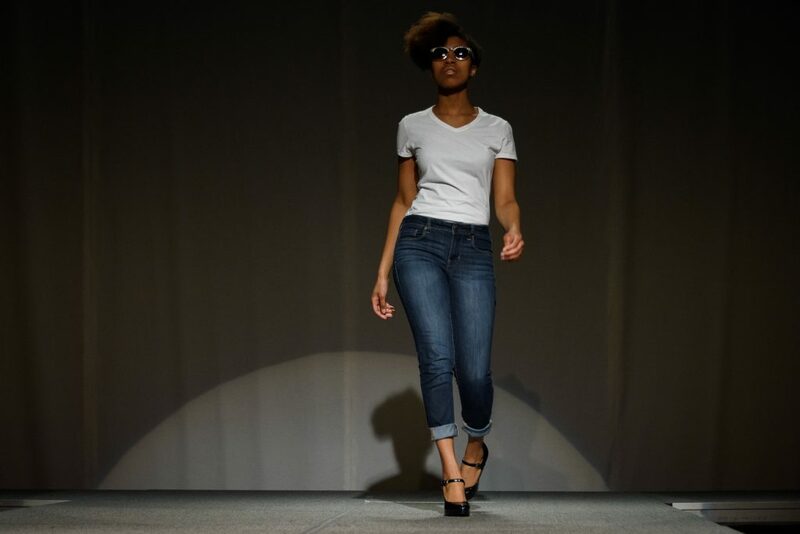 The styles played with the idea of different cuts, and the designer framed each model differently and in ways that best suited them. 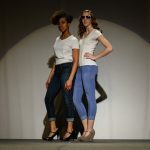 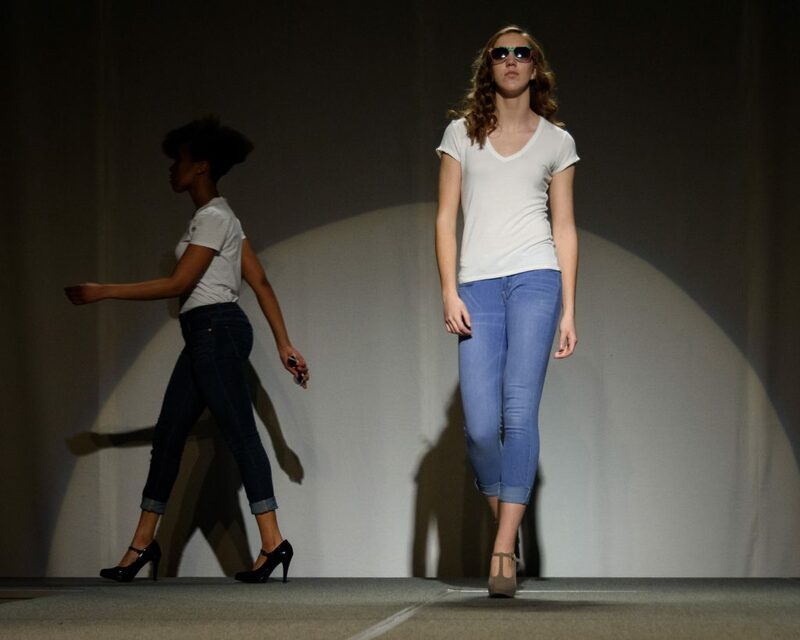 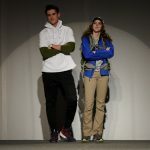 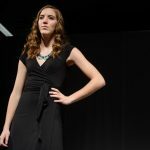 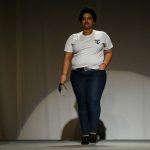 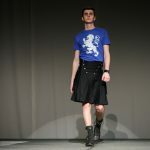 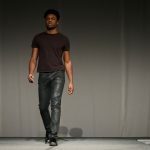 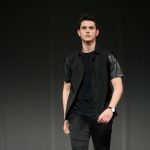 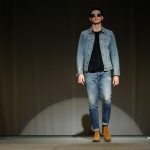 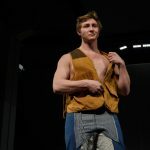 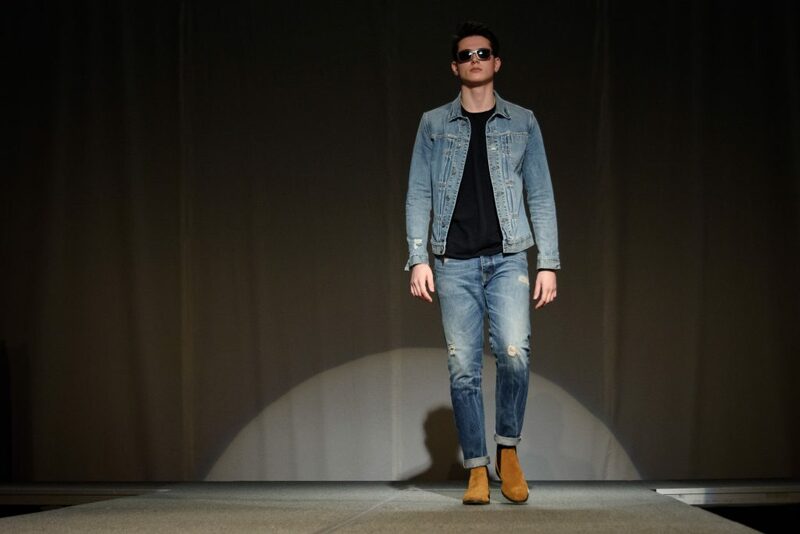 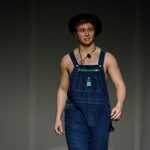 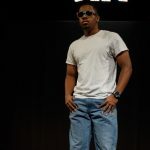 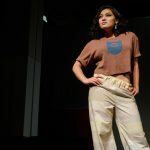 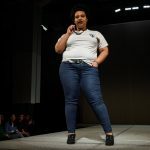 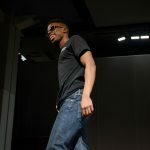 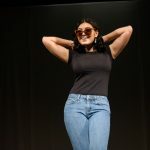 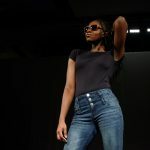 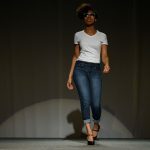 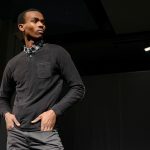 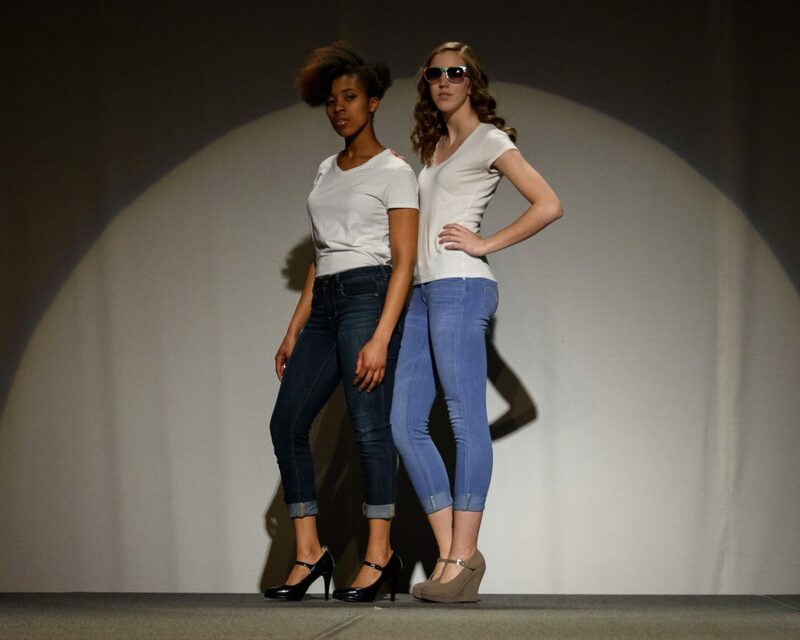 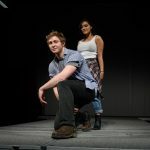 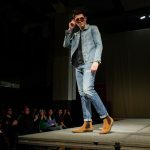 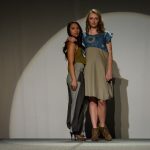 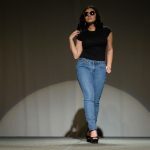 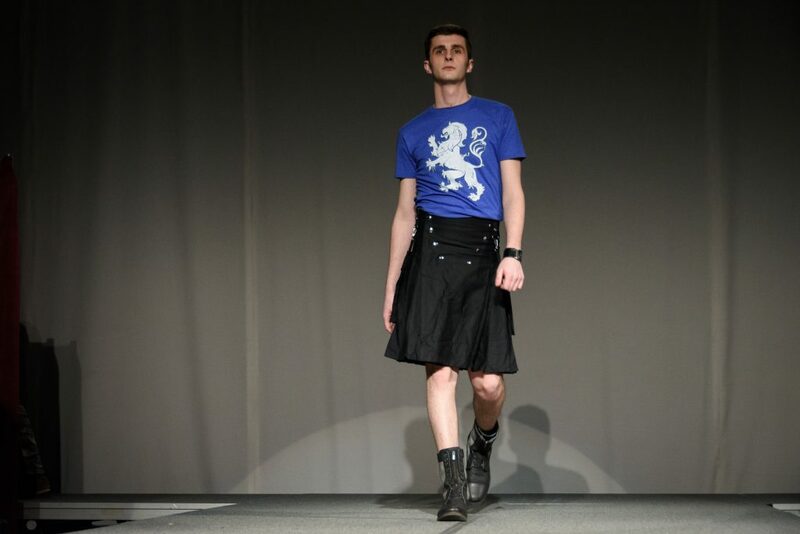 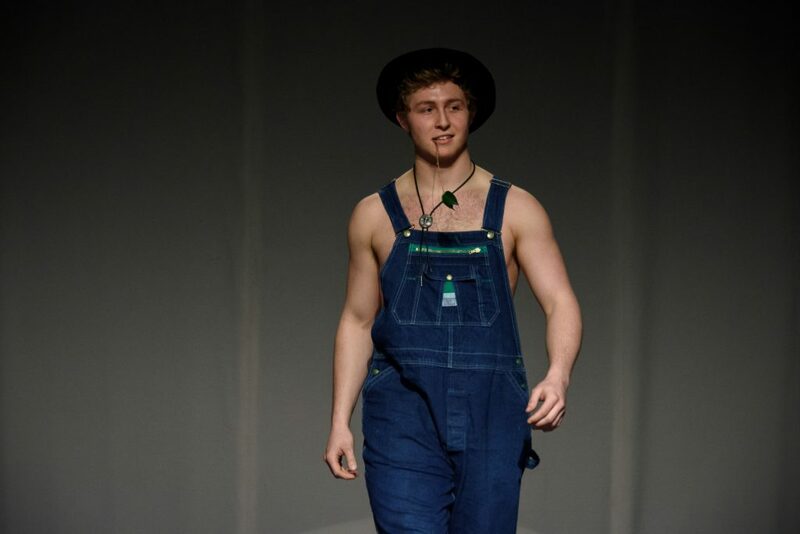 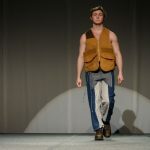 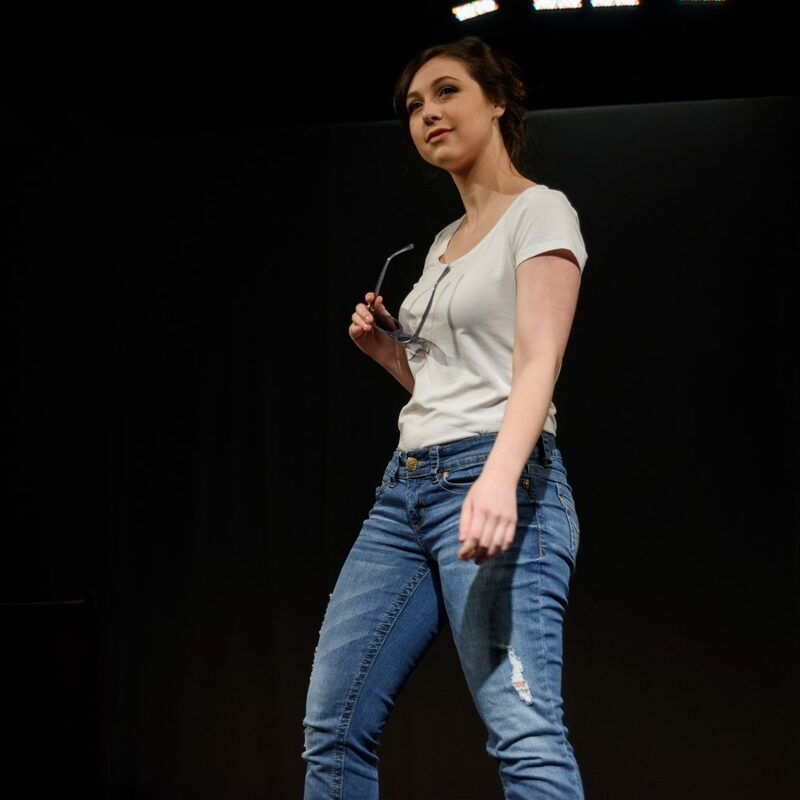 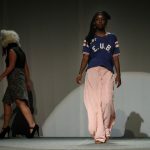 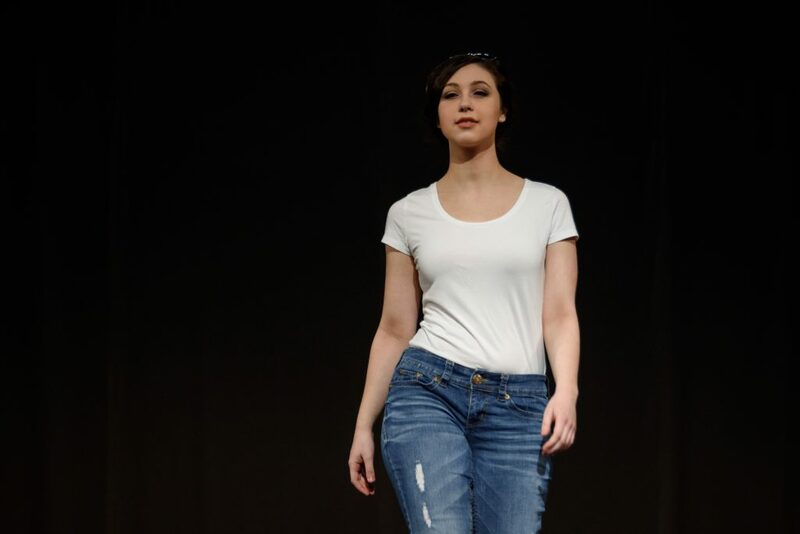 For the first “models’ choice” line of the evening, the models were given the opportunity to choose clothing that fit into the common criteria of blue jeans and a t-shirt. 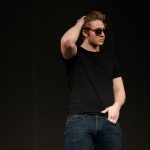 As I said in a tweet during the event, results may—and did—vary. 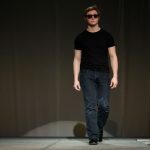 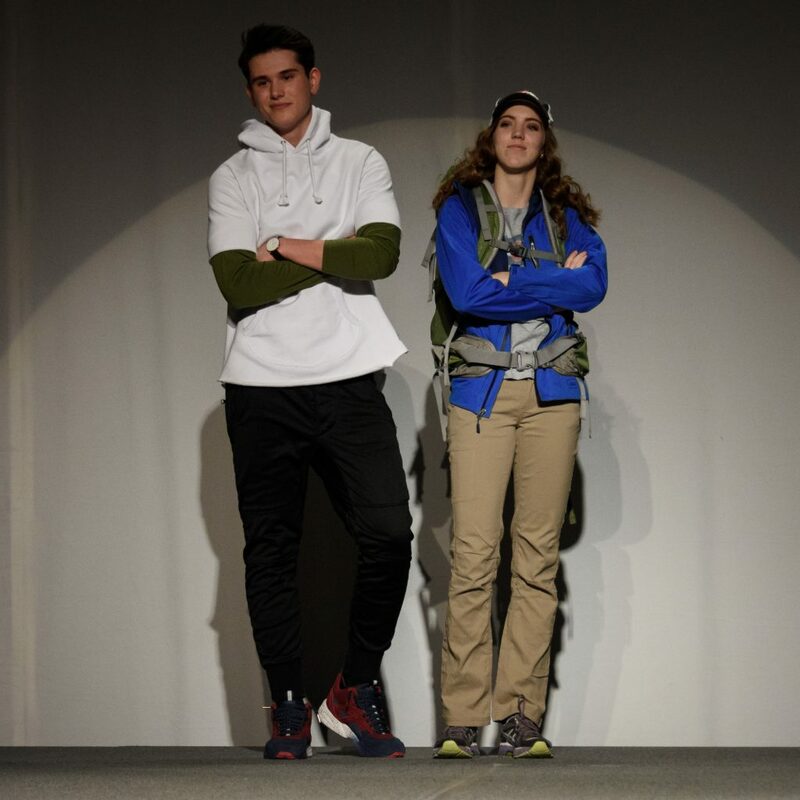 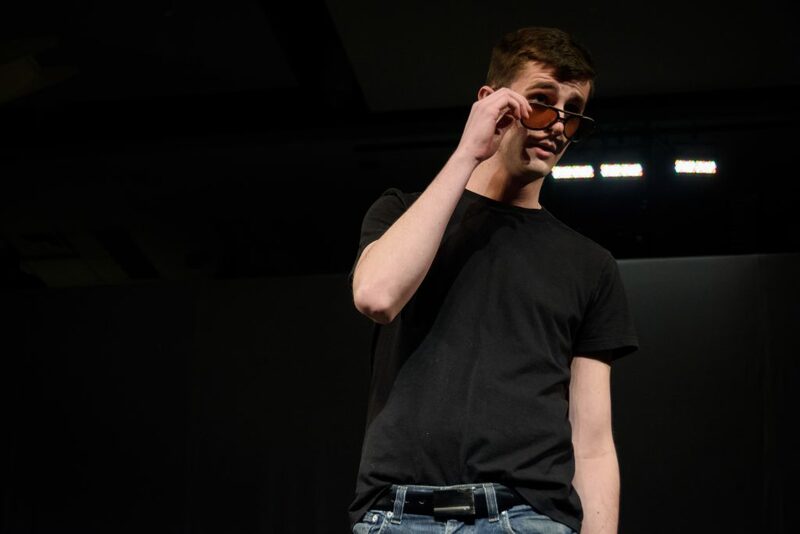 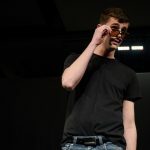 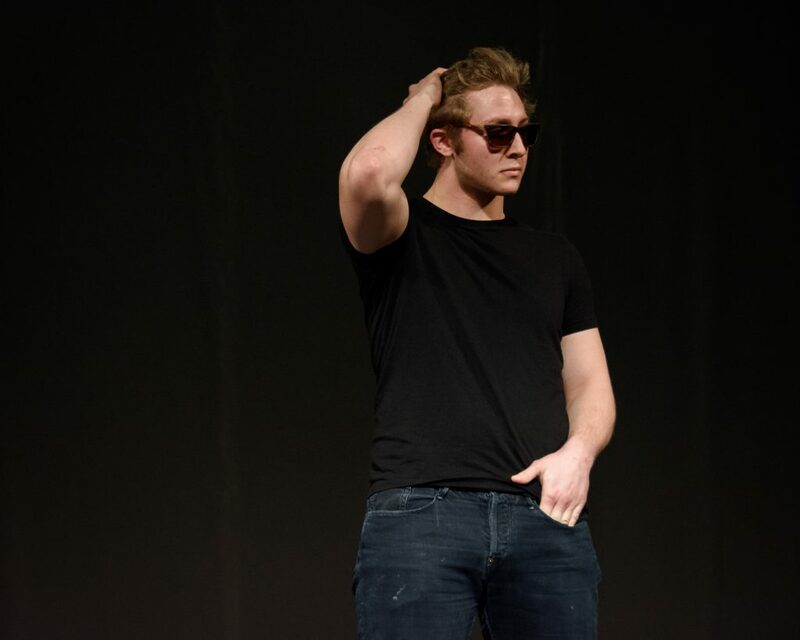 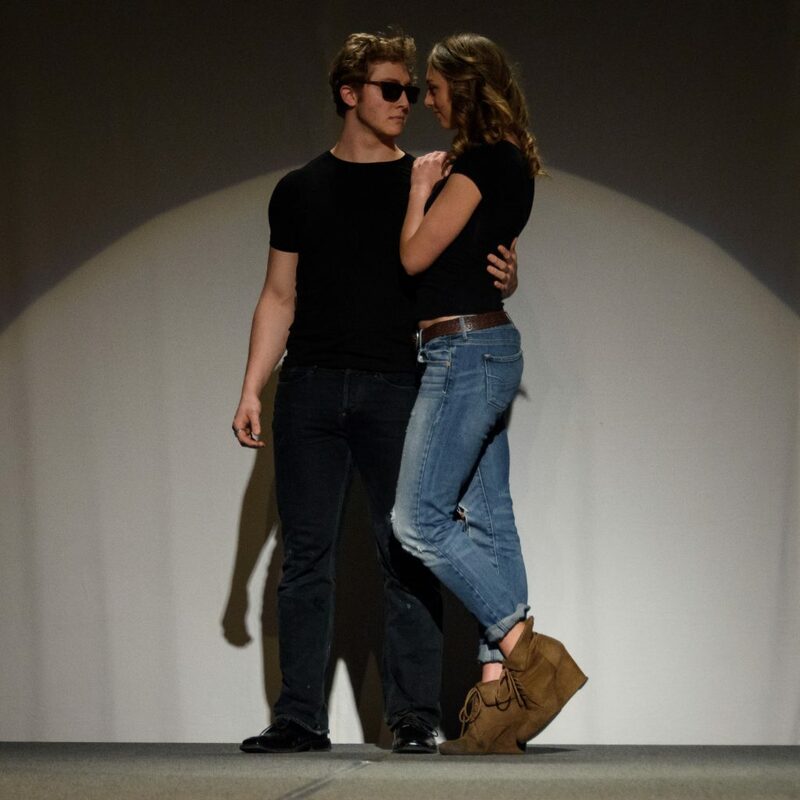 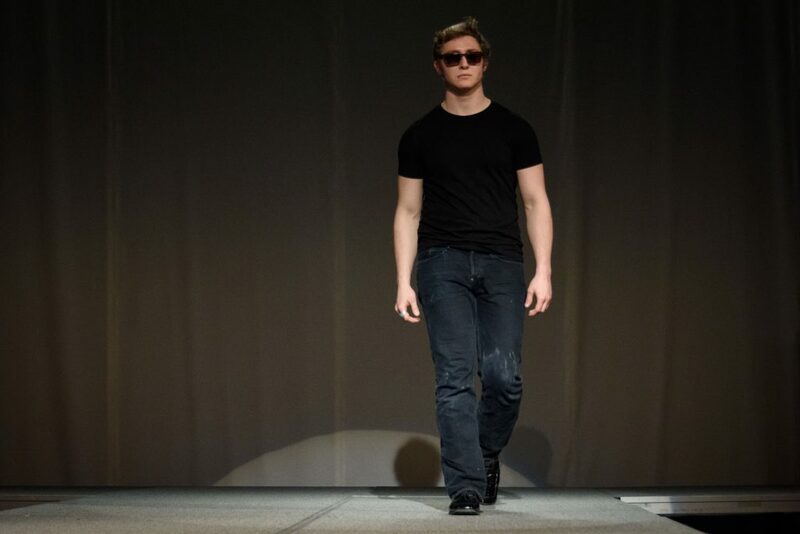 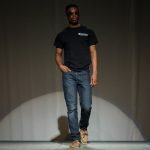 Models also wore a choice of sunglasses made by Coast Designwear, which is run by Glenn Rothwell ’16 and Mark Olivier ’16. 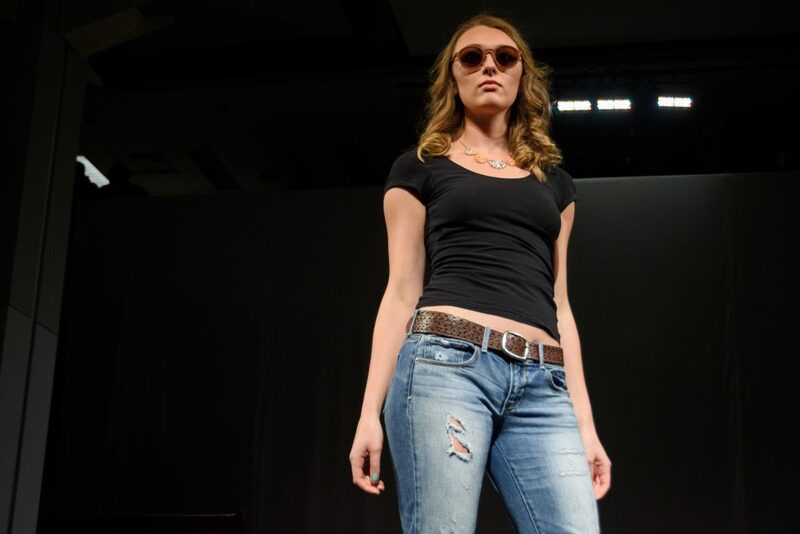 The glasses were stylish and complemented the models’ clothing choices. 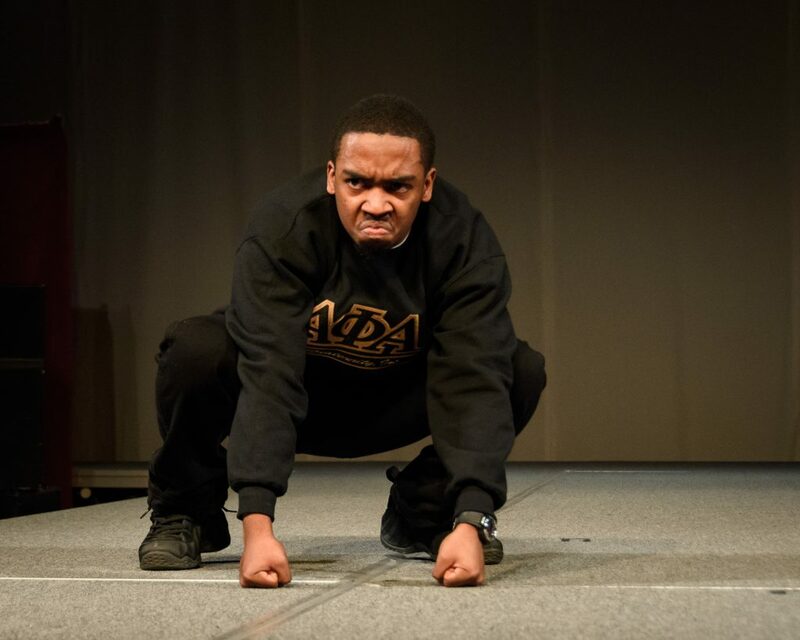 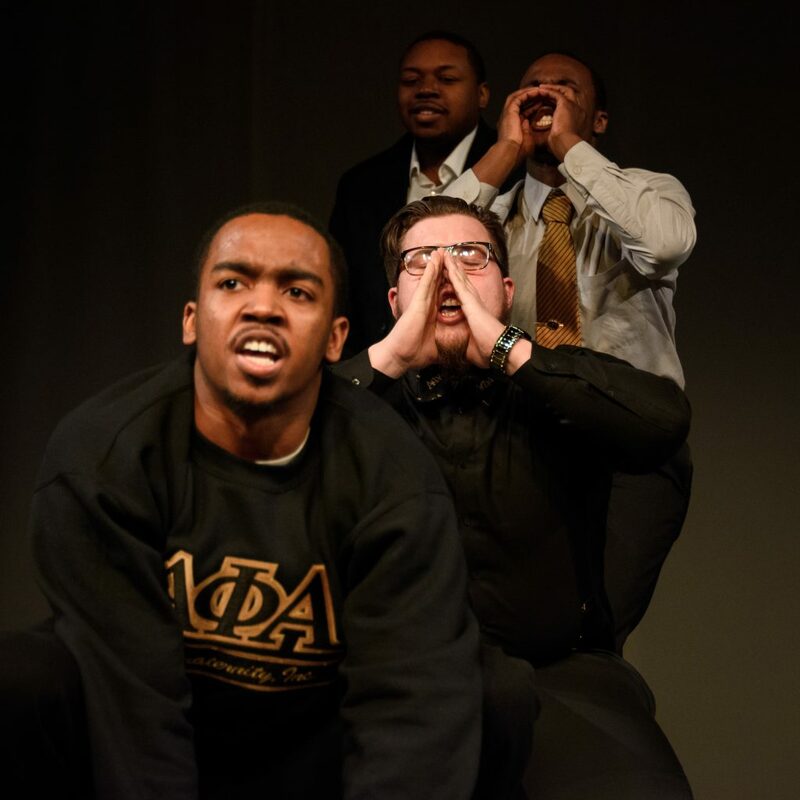 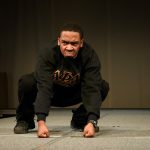 Following a brief intermission, brothers from the Alpha Phi Alpha fraternity took the stage for a special presentation. 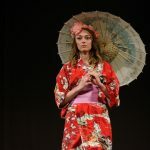 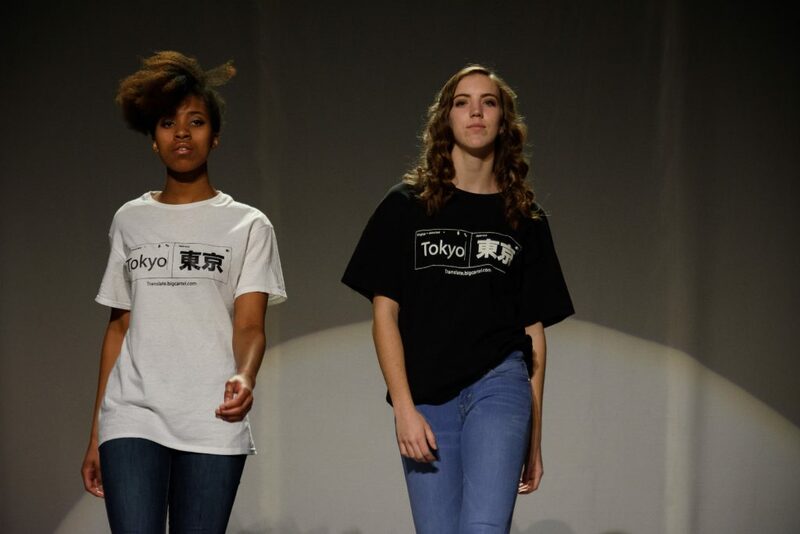 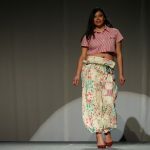 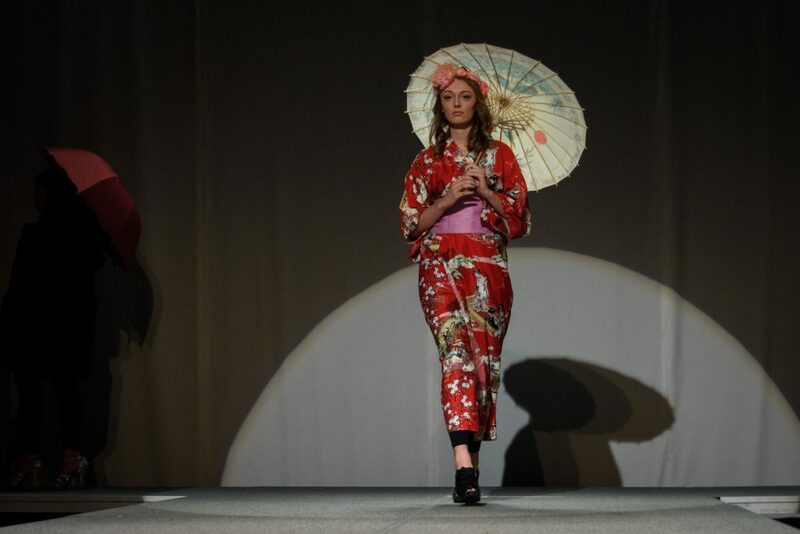 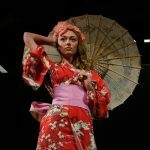 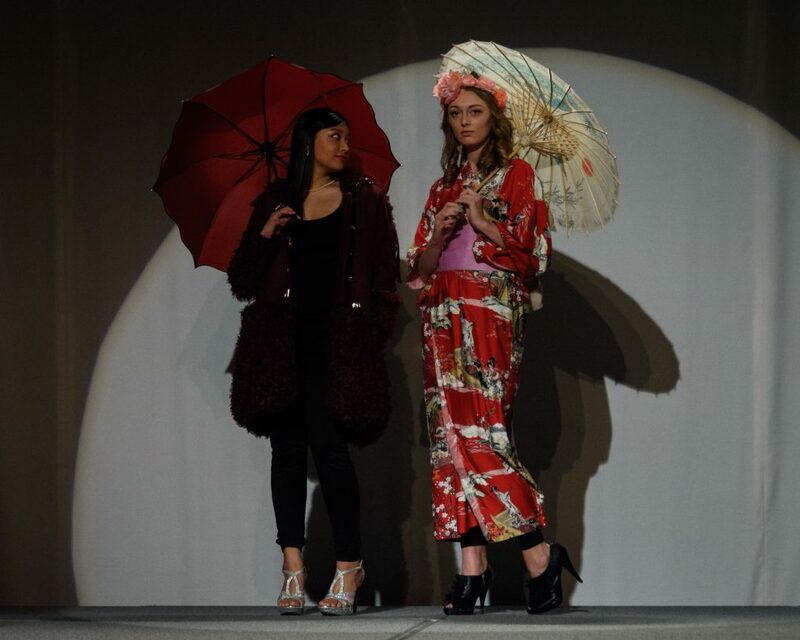 Following that, models showed off a line of Japanese-inspired outfits. 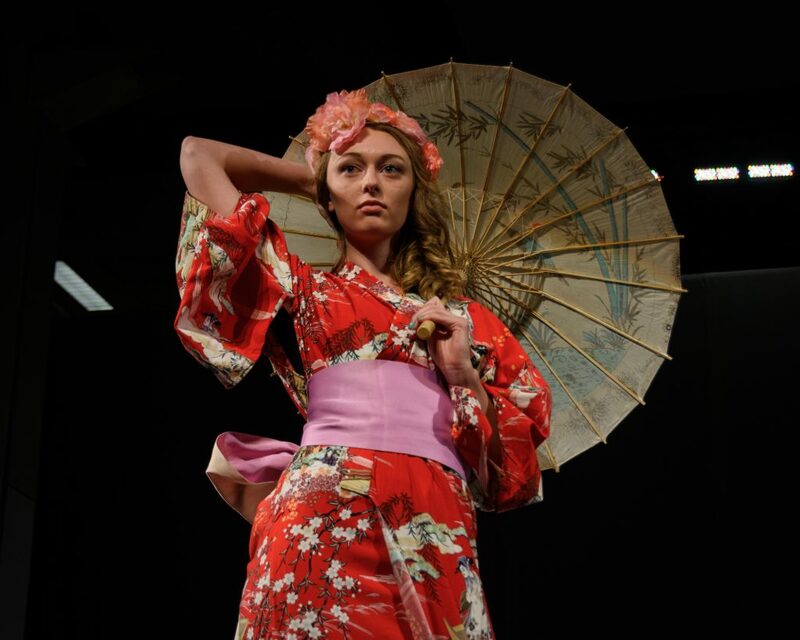 I was very impressed by the diverse styles found just within the Japanese culture. 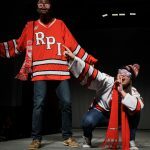 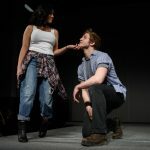 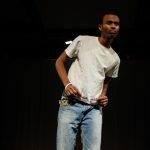 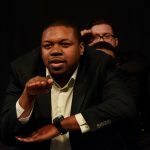 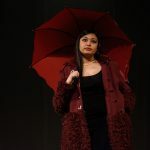 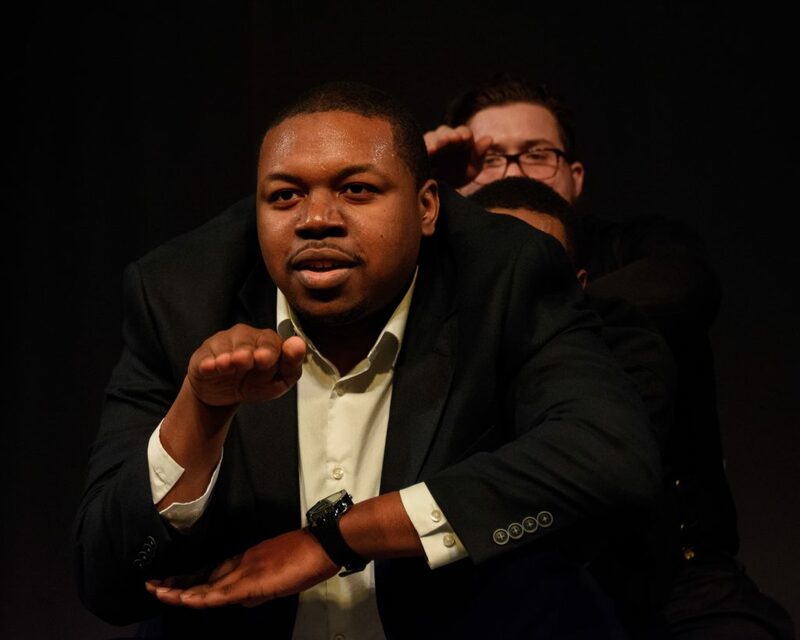 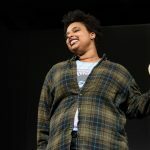 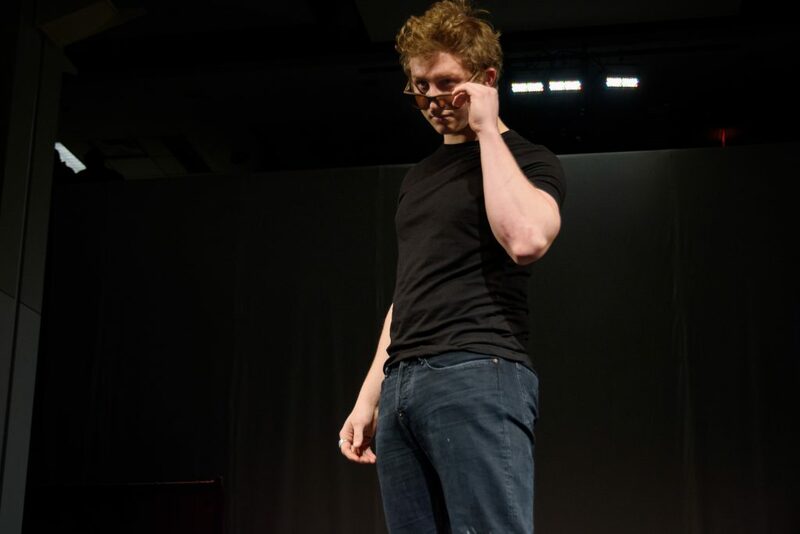 The organizers must have agreed with me because the following line exhibited the wide range of cultures in a show of RPI’s diverse student body. 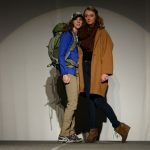 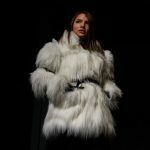 Every inhabited continent was represented in this line—sorry, Antarctica—and a couple of outfits paid homage to popular American trends, including Starbucks coffee and selfies. 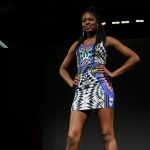 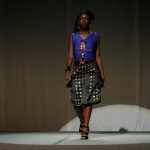 This theme carried through to the next “model’s choice” line, which allowed models to express their cultural creativity. 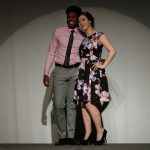 The final line of the night focused on couples and had models come out in pairs wearing matching or complementary outfits. 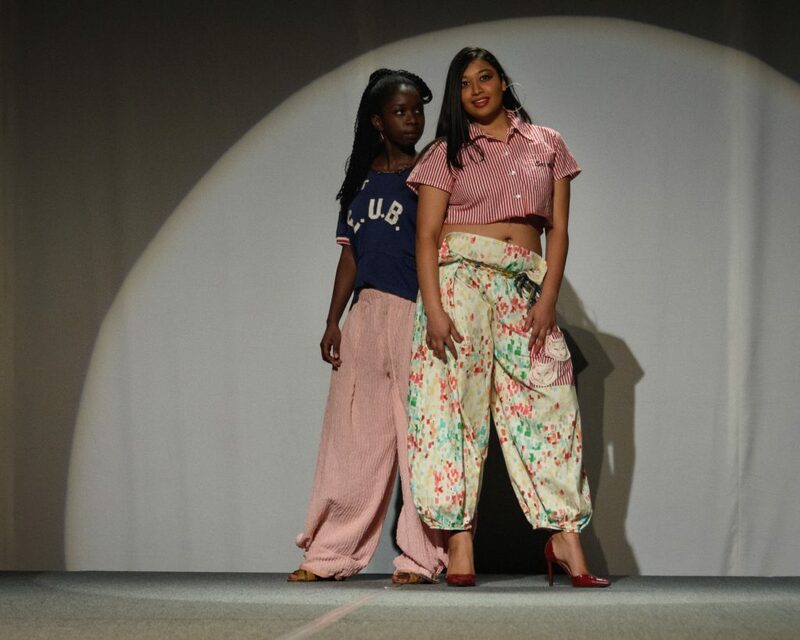 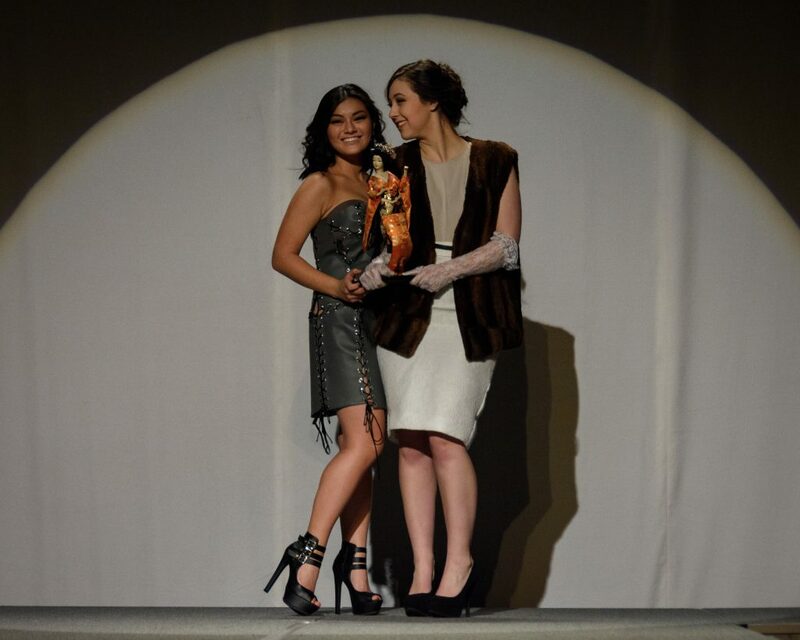 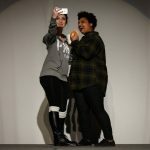 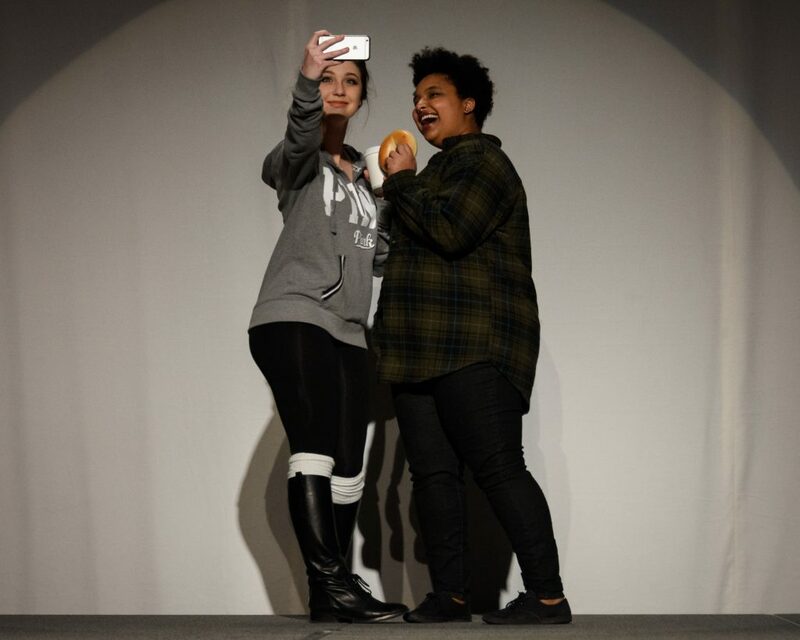 I thought the themes conceived were creative and showed off the playful personalities of students. 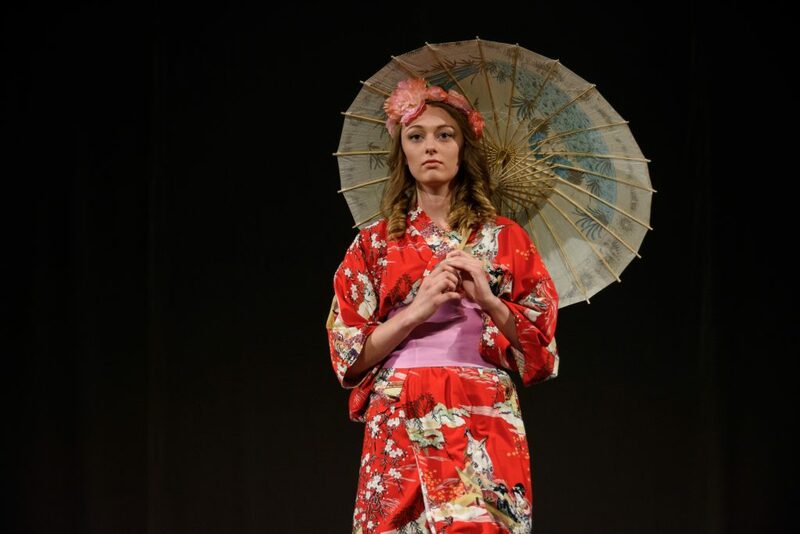 Overall, the show was definitely entertaining and run well. 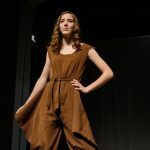 I would have loved to see more details about the lines and the designers in the program, but the descriptions provided prior to each line also did the job well. 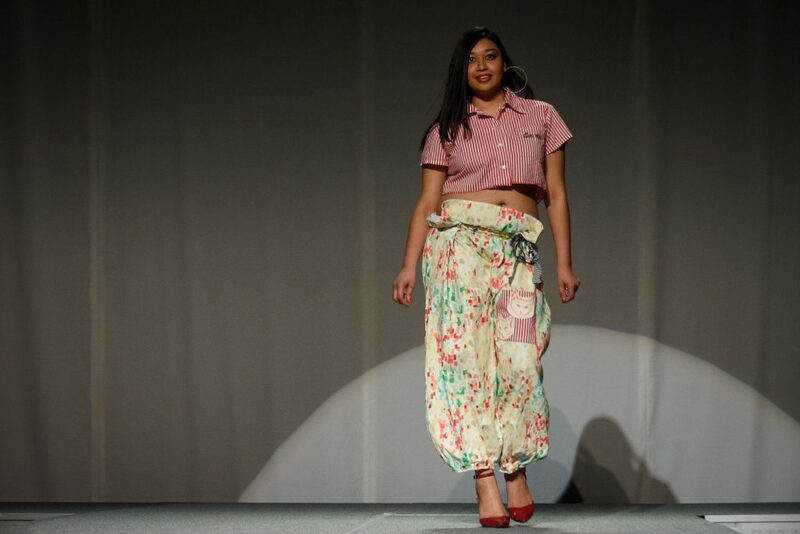 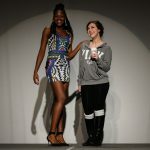 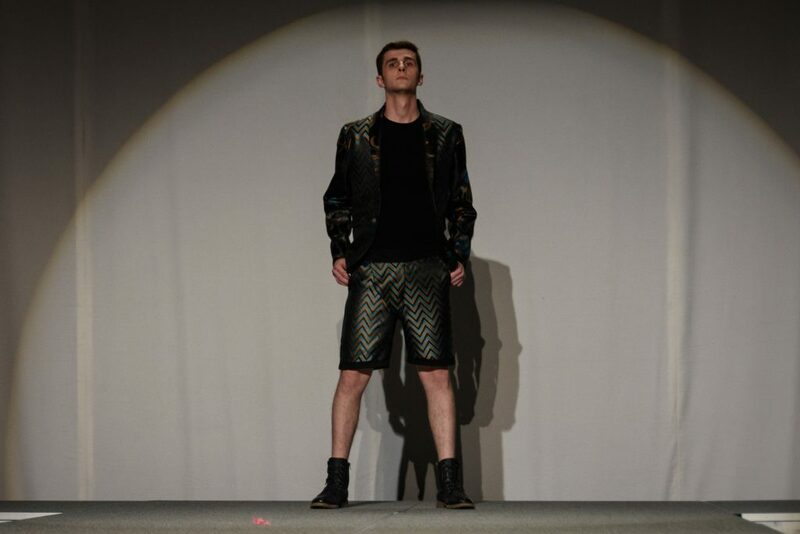 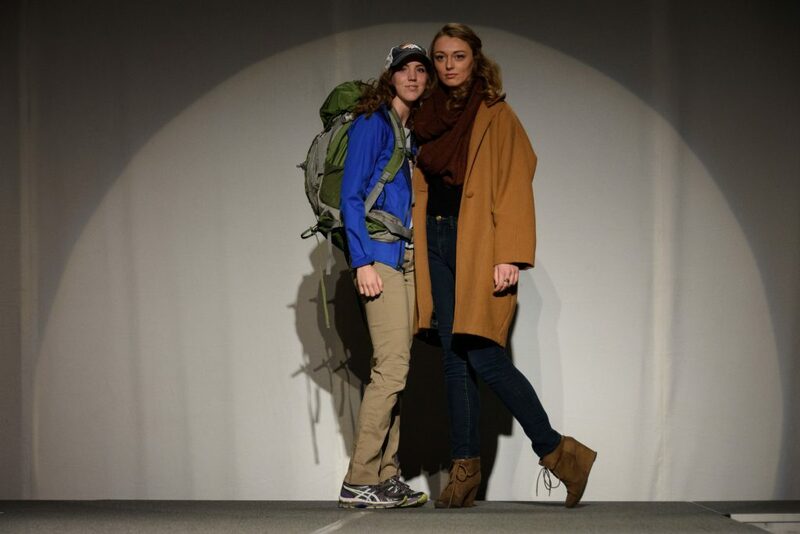 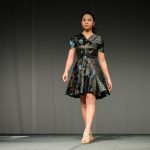 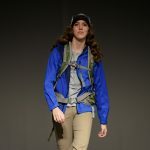 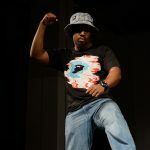 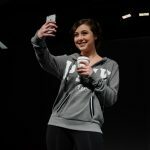 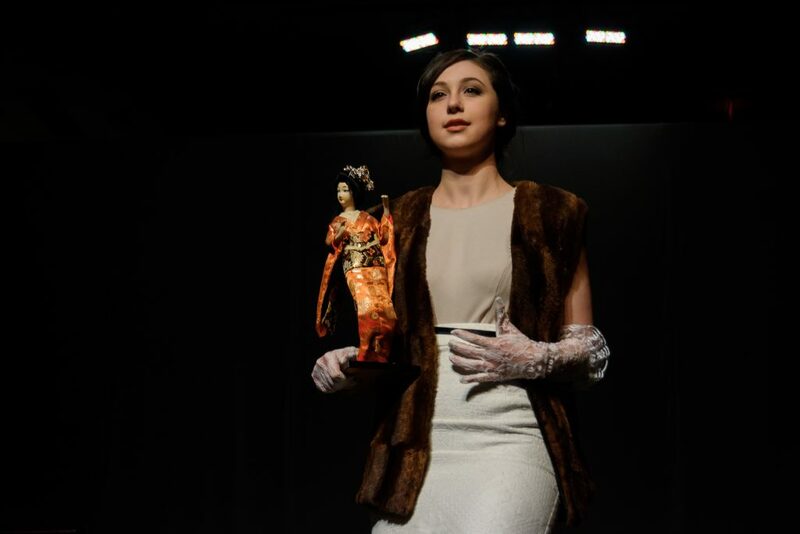 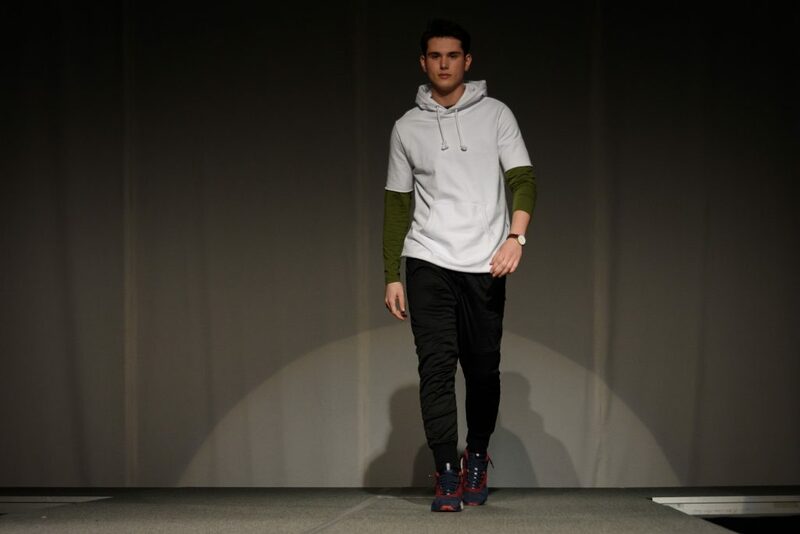 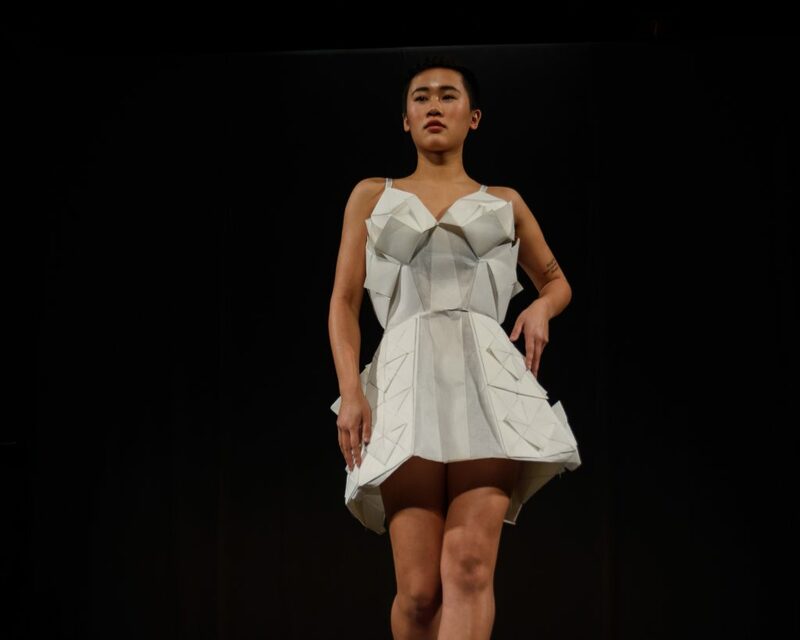 Throughout the event, The Poly posted photos of the models and presentations live to our Twitter account. 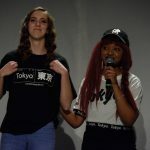 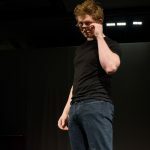 These tweets can be found on our profile at http://poly.news/s/0r473/.